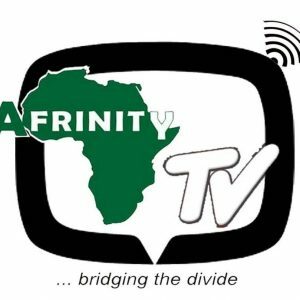 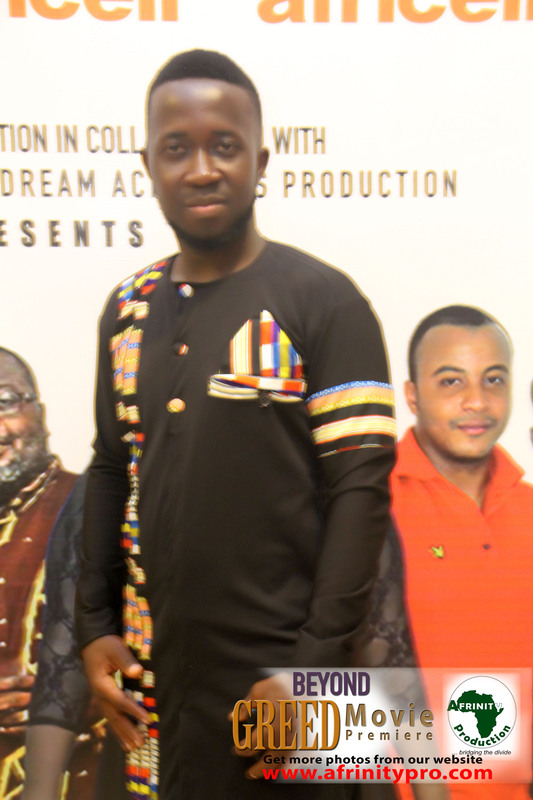 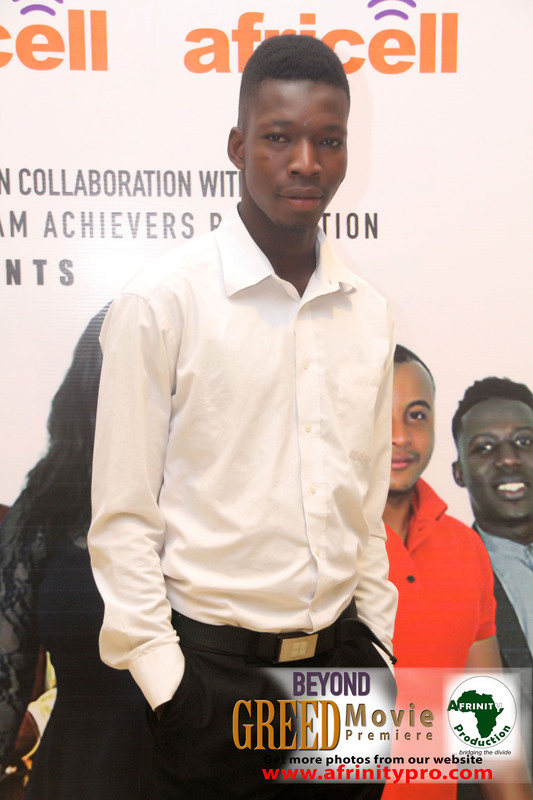 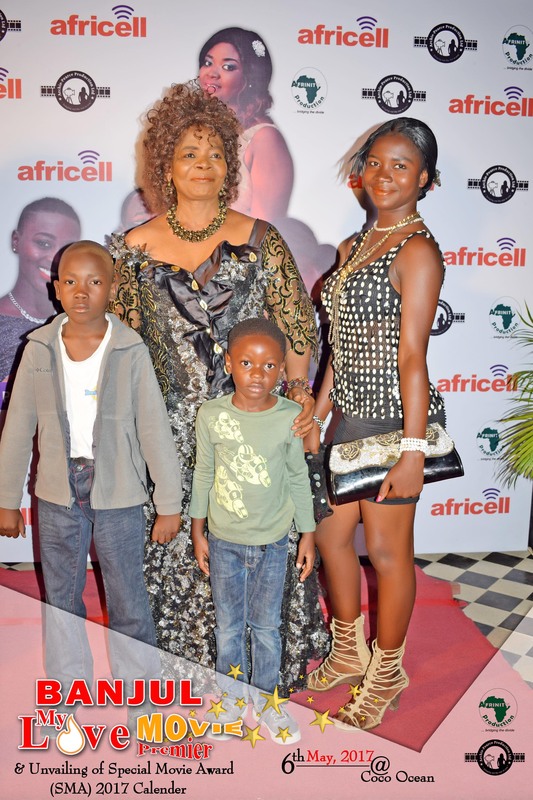 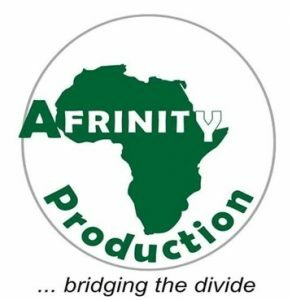 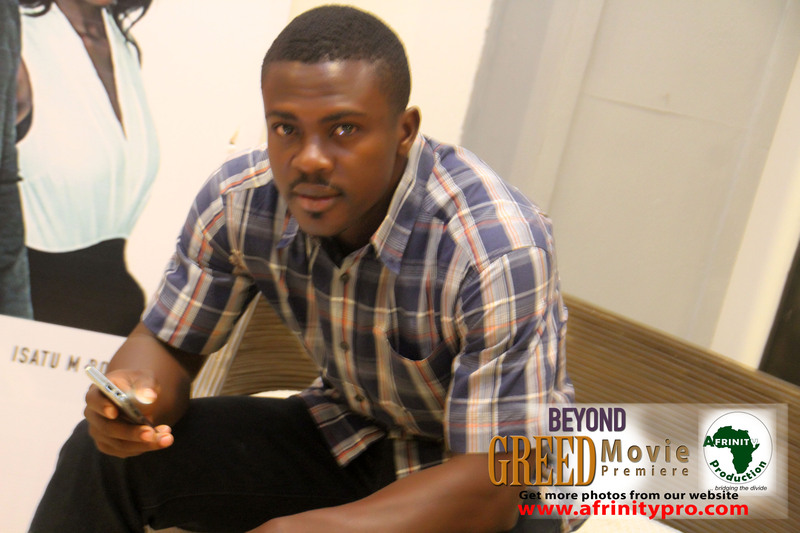 Desmond B. Finney is a multi award winning Sierra Leonean actor who has featured in numerous African movies. 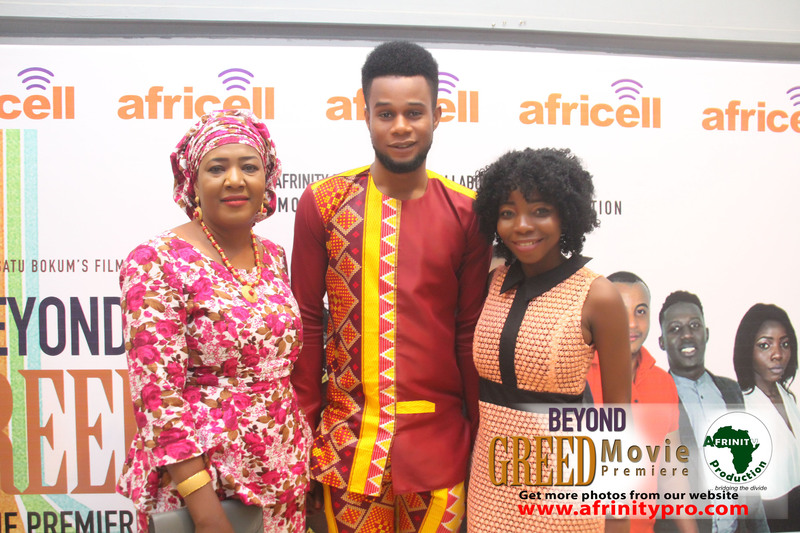 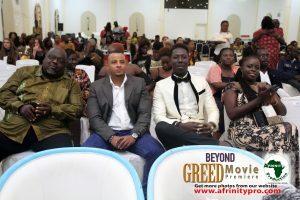 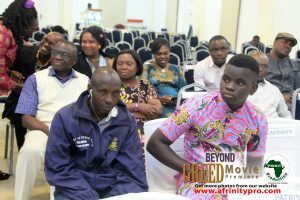 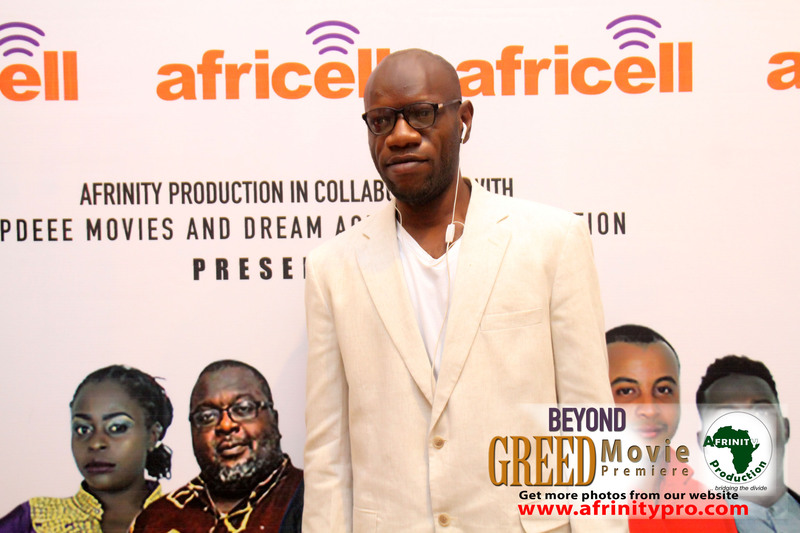 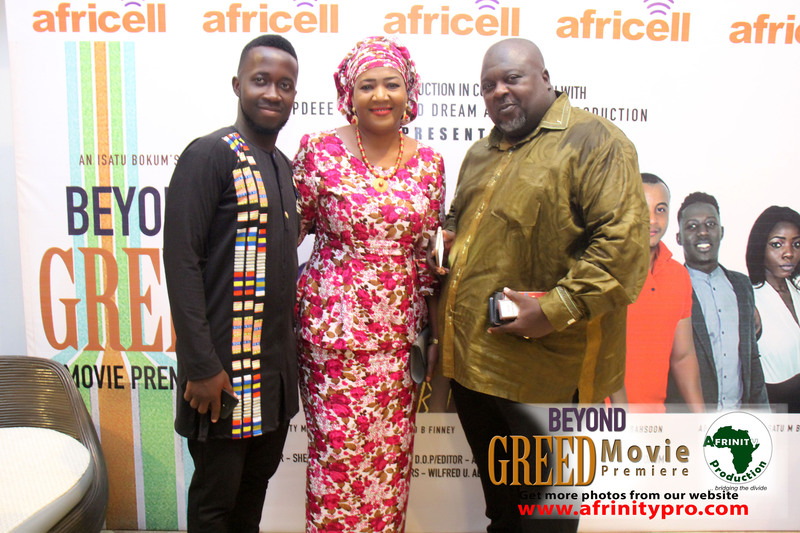 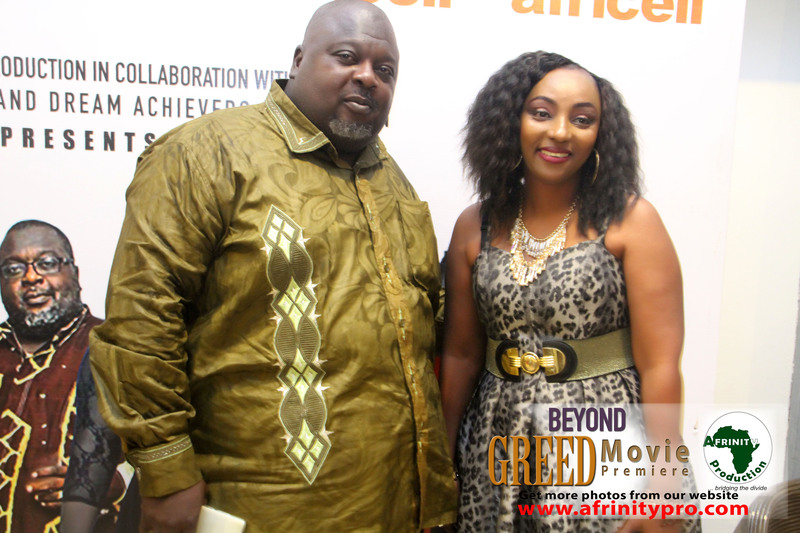 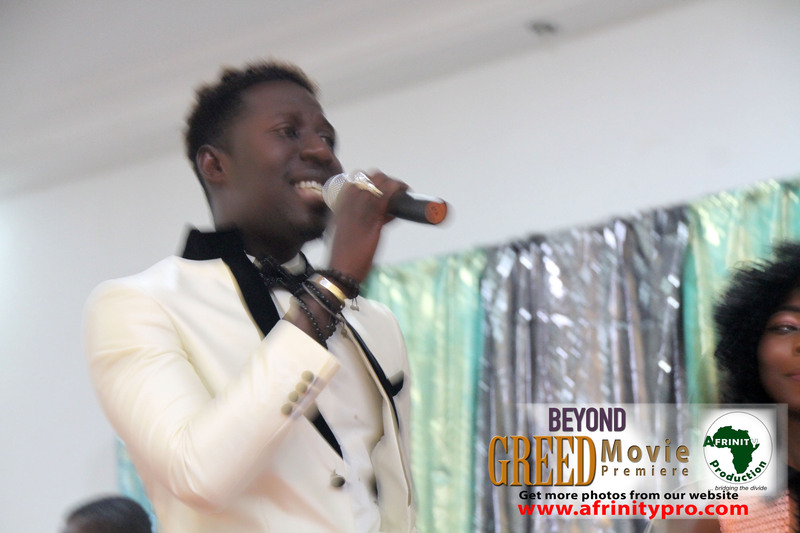 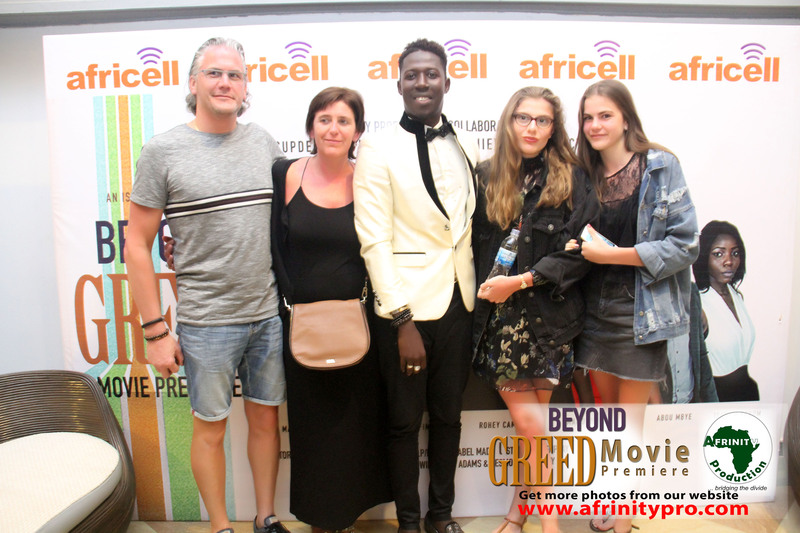 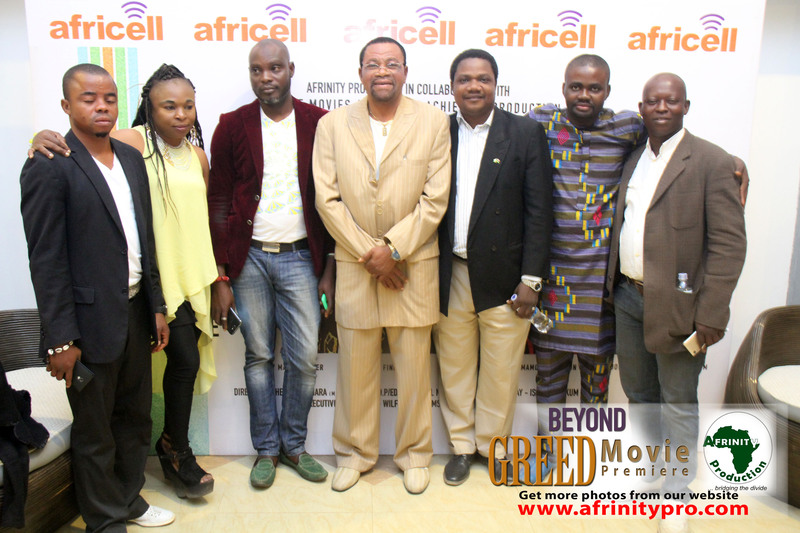 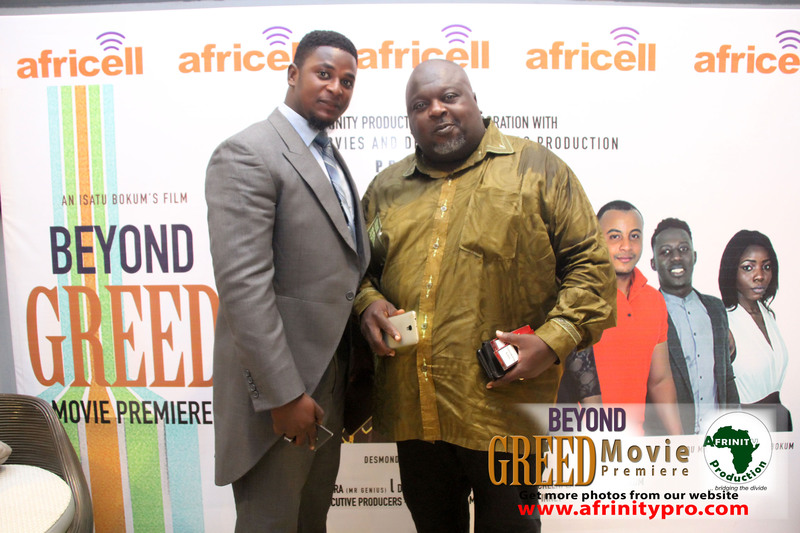 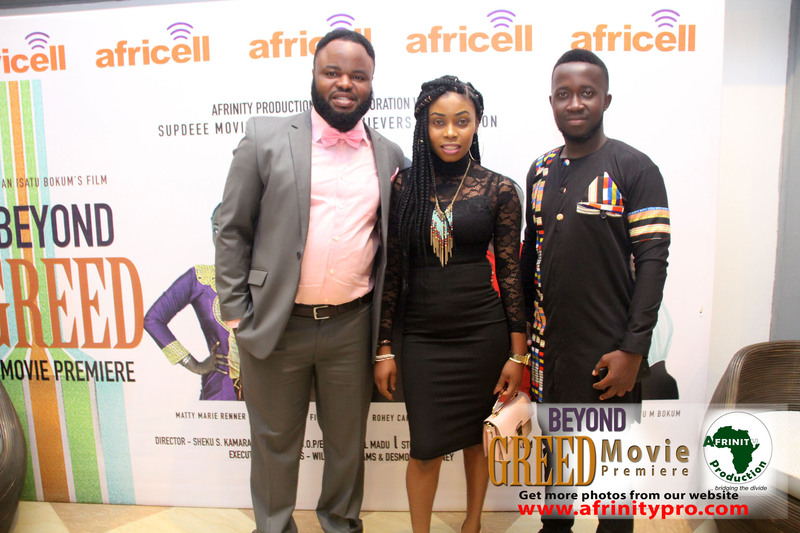 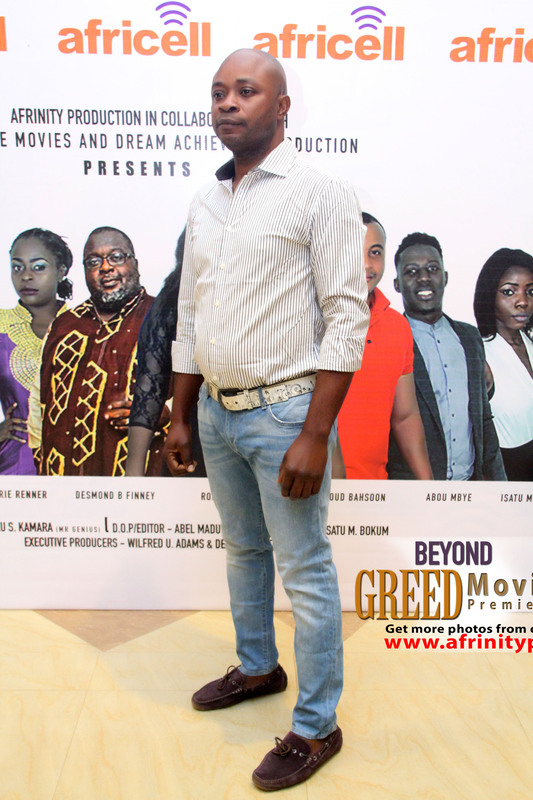 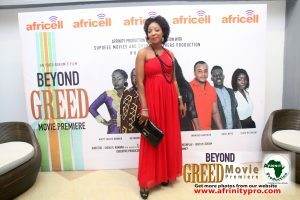 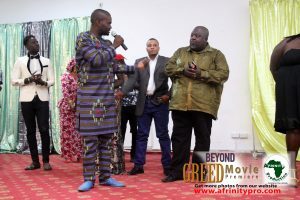 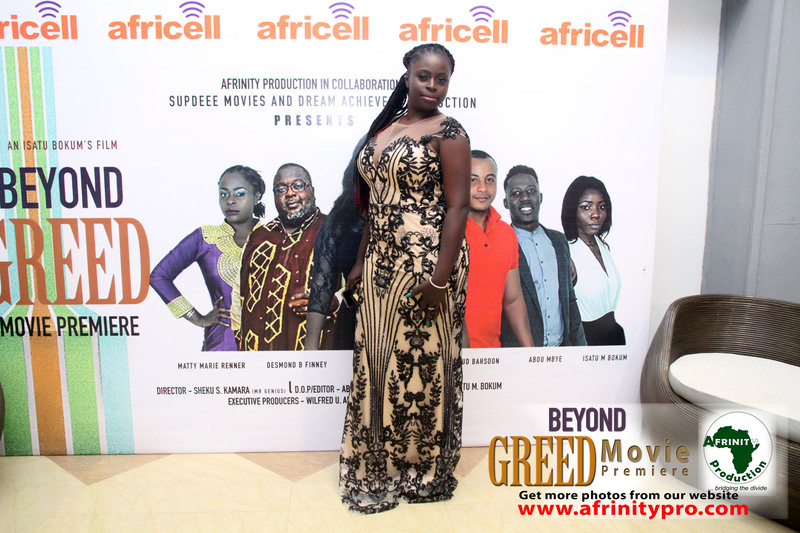 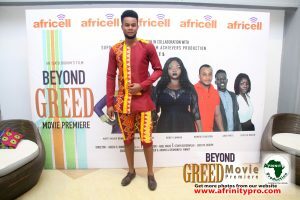 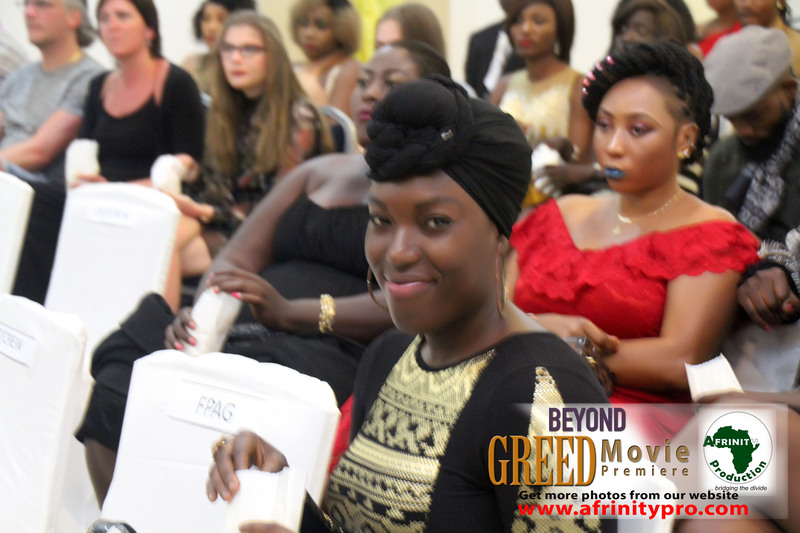 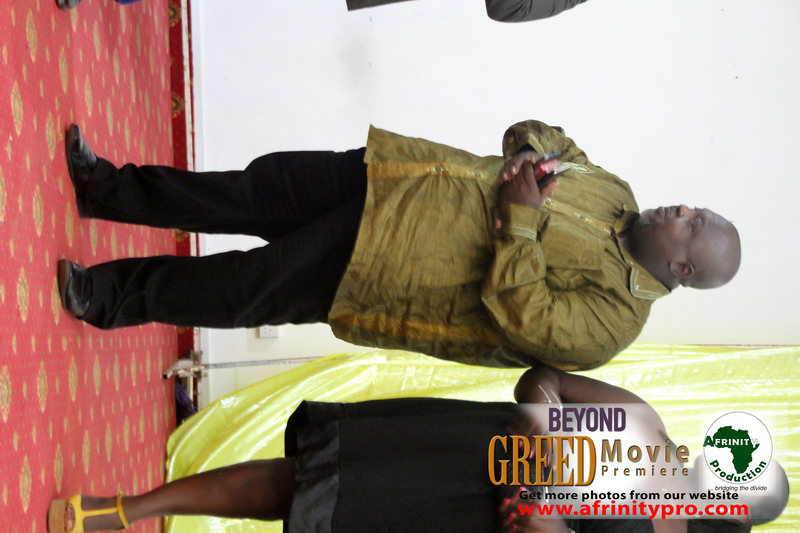 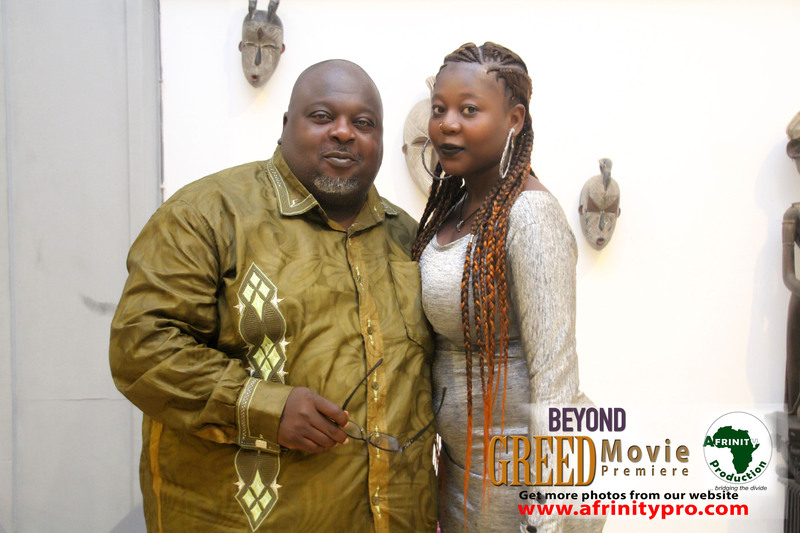 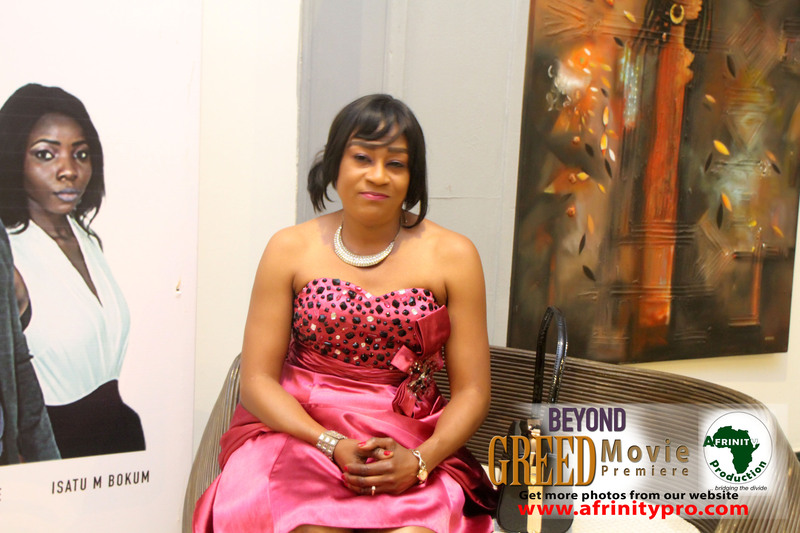 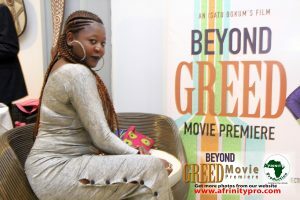 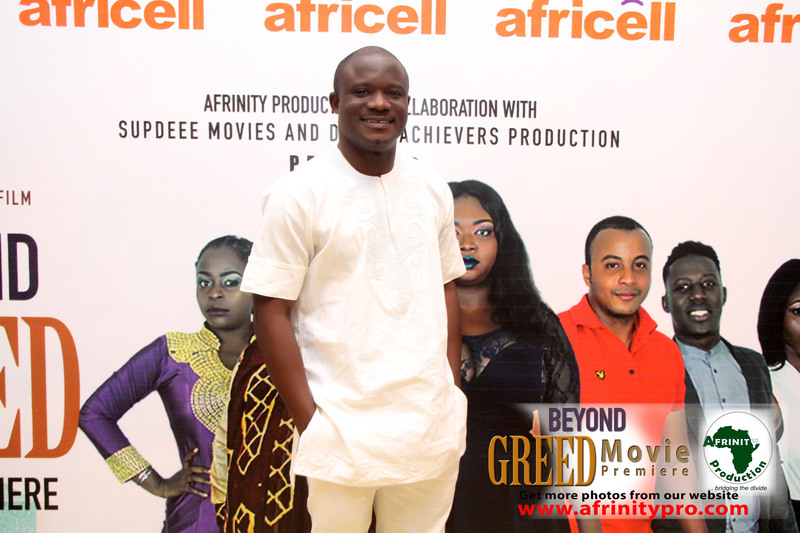 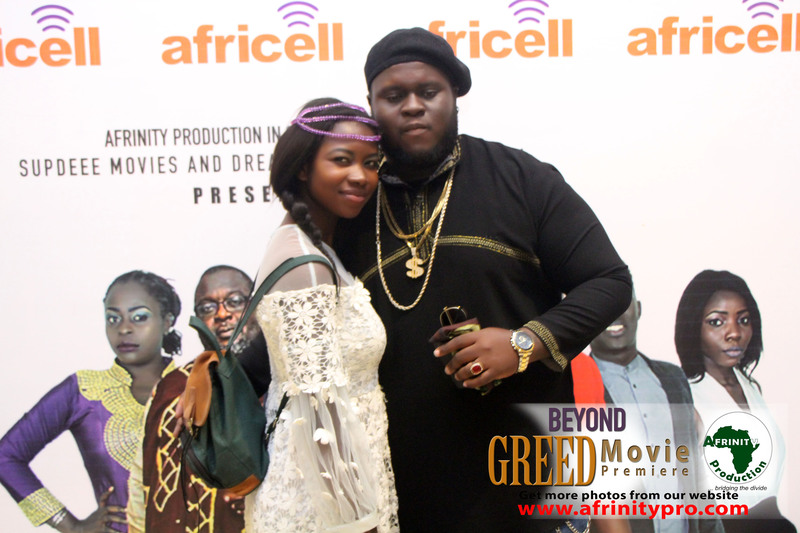 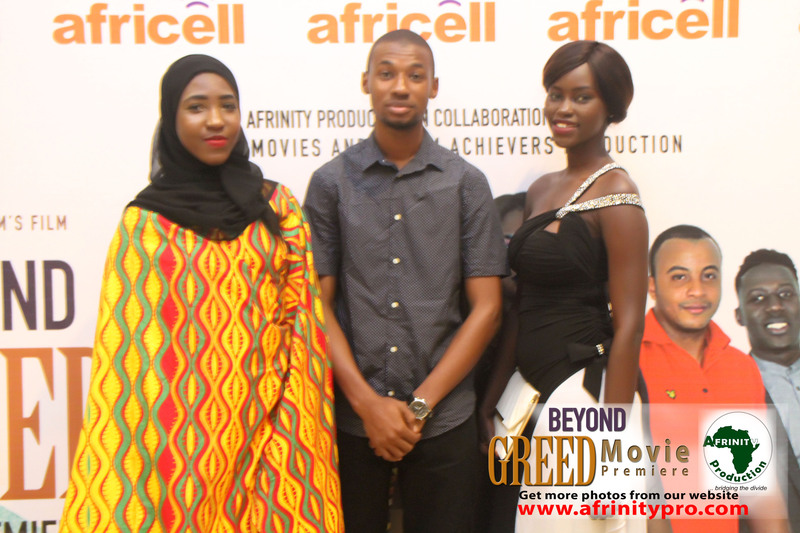 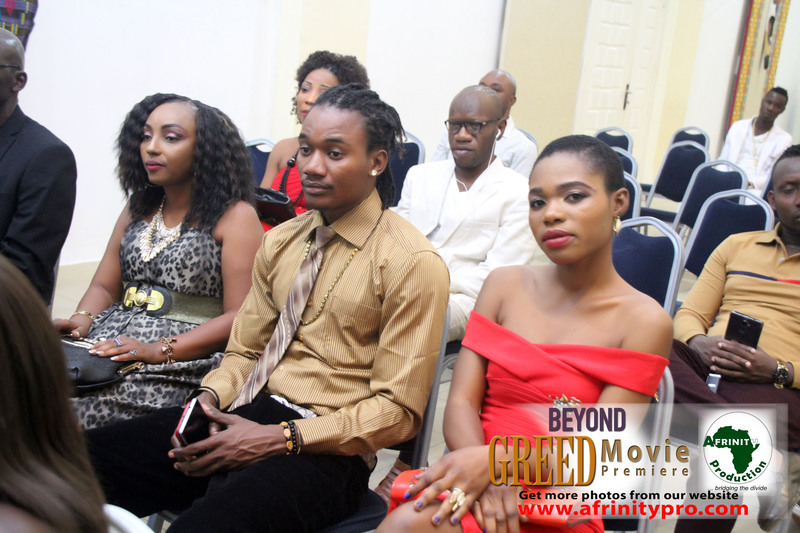 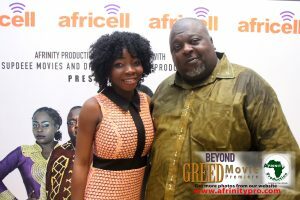 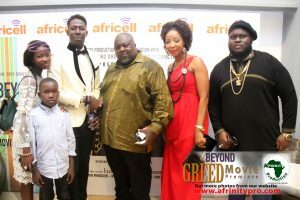 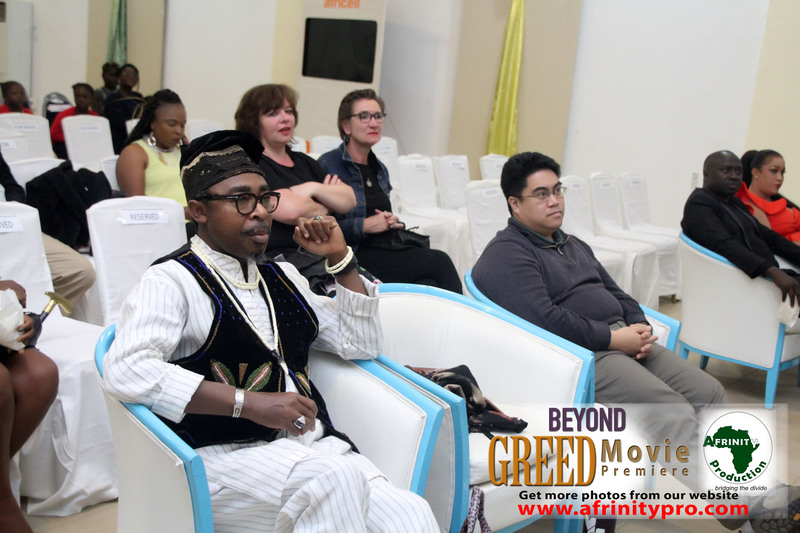 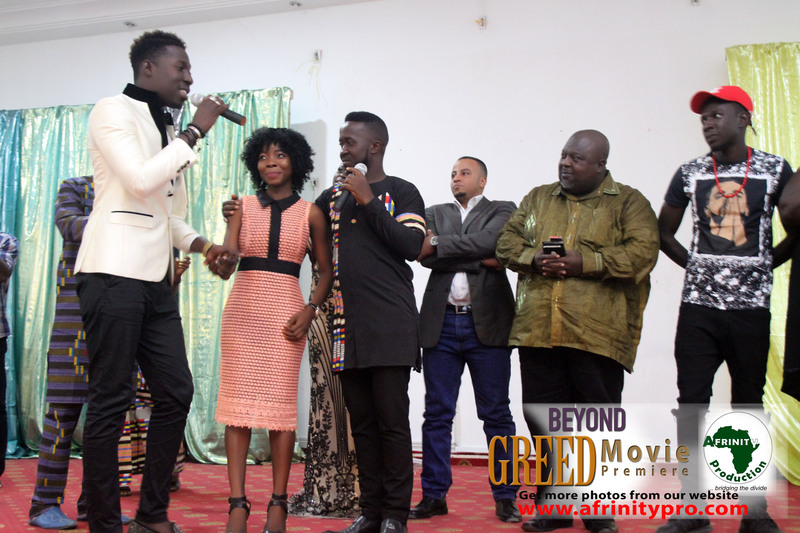 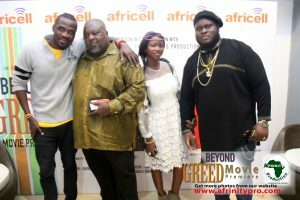 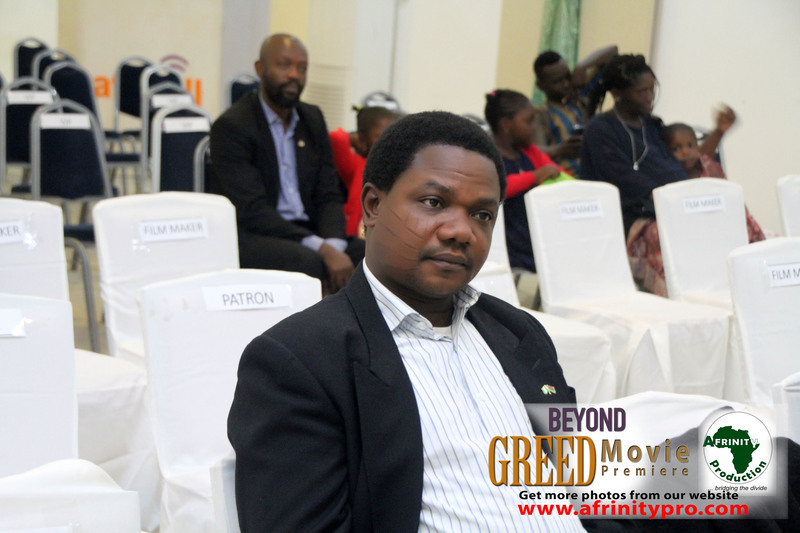 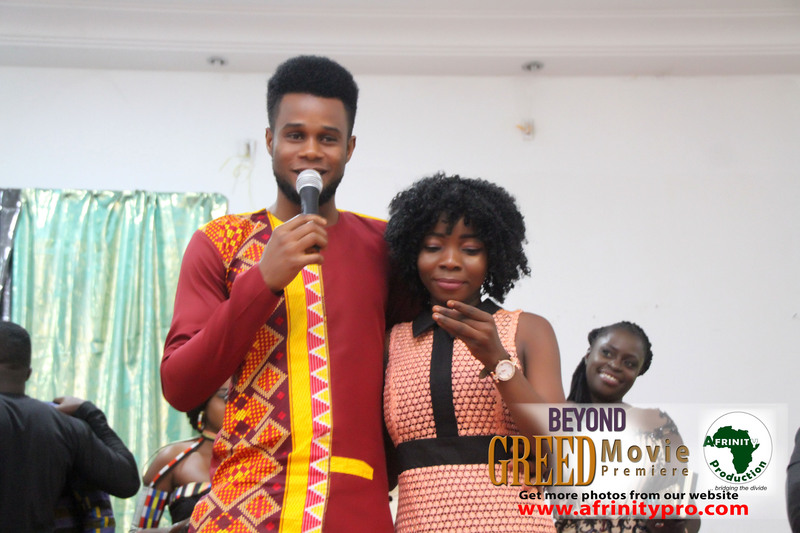 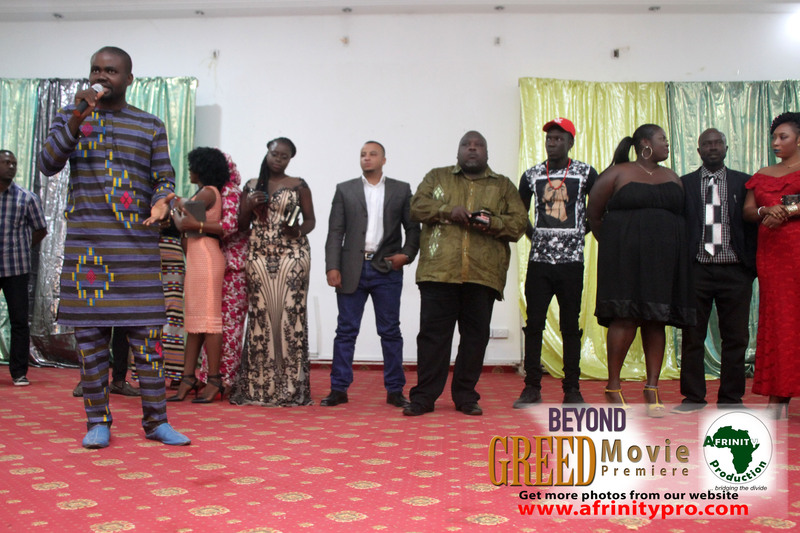 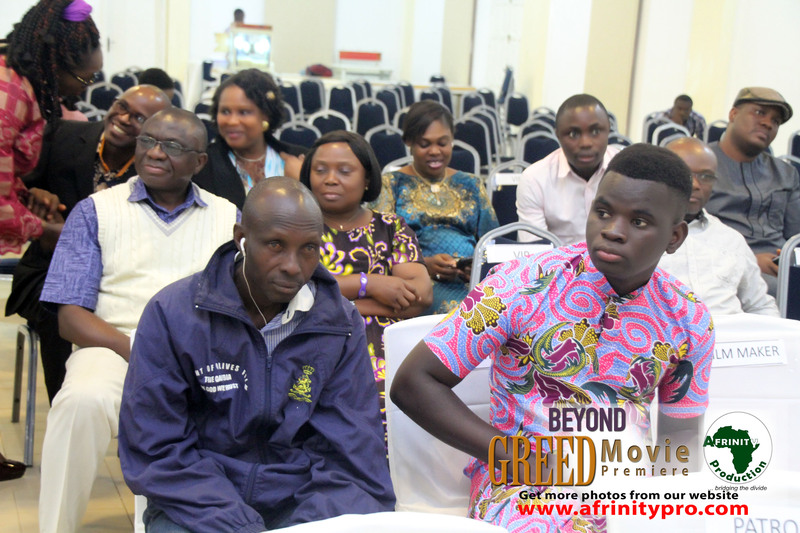 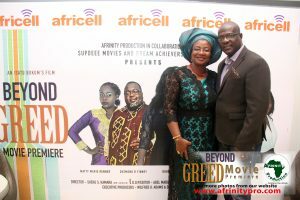 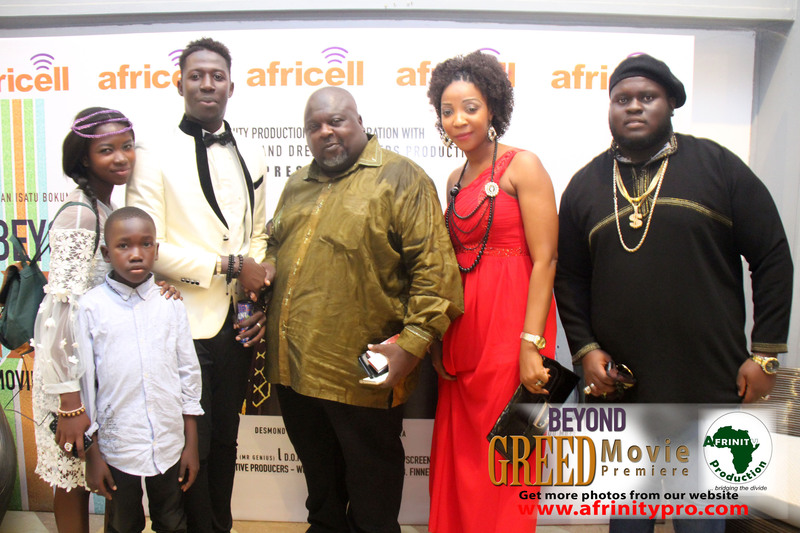 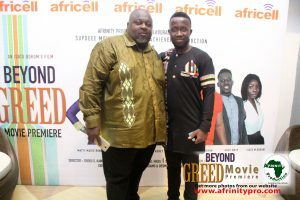 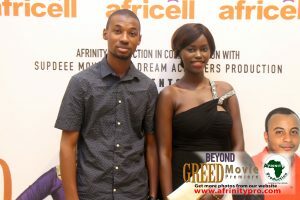 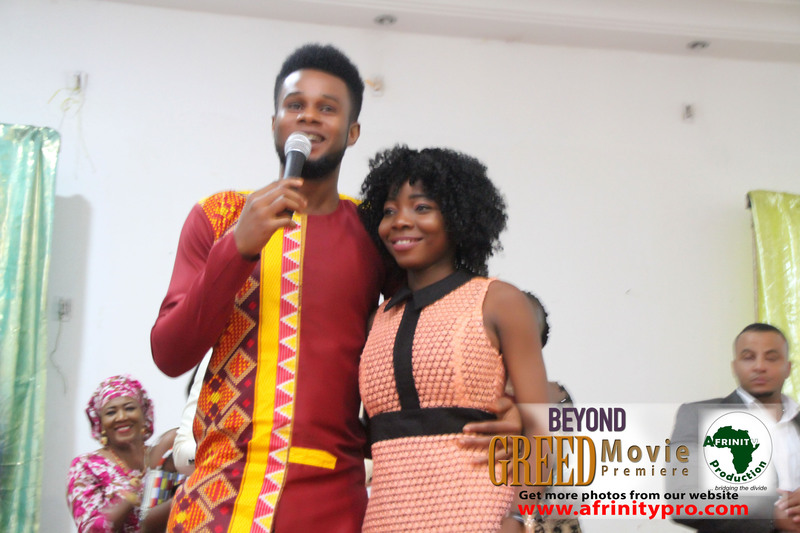 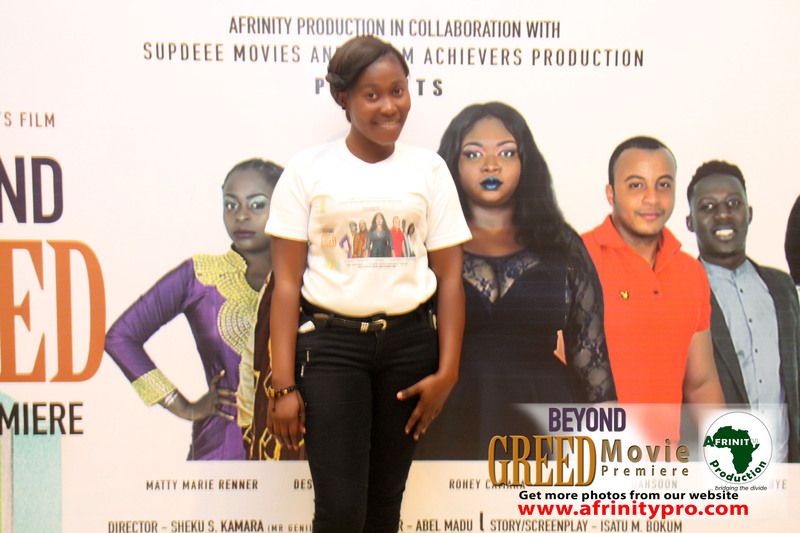 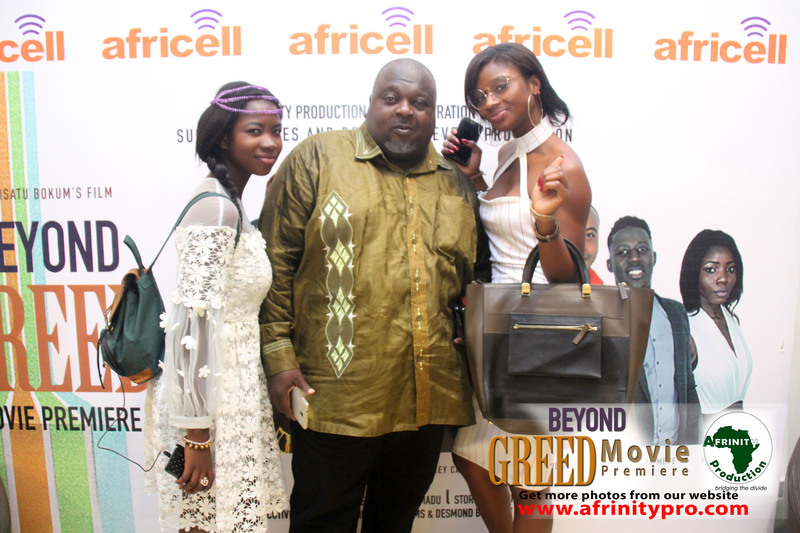 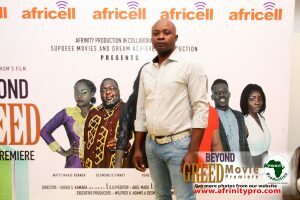 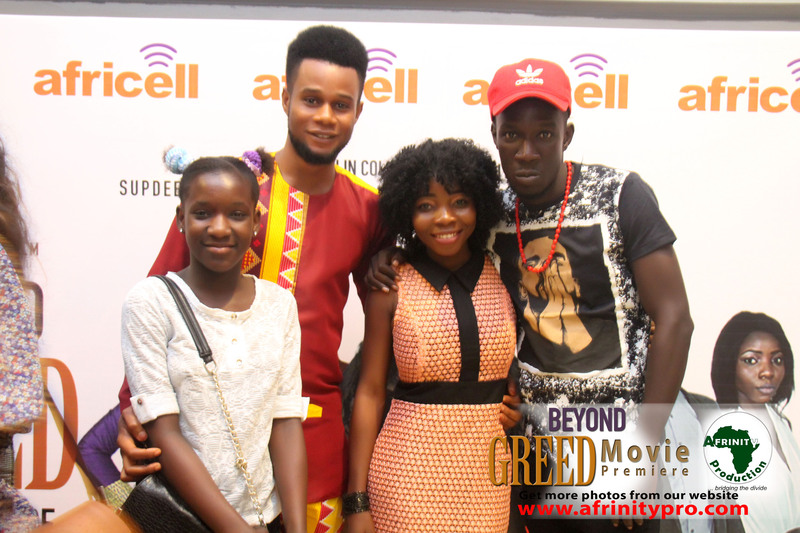 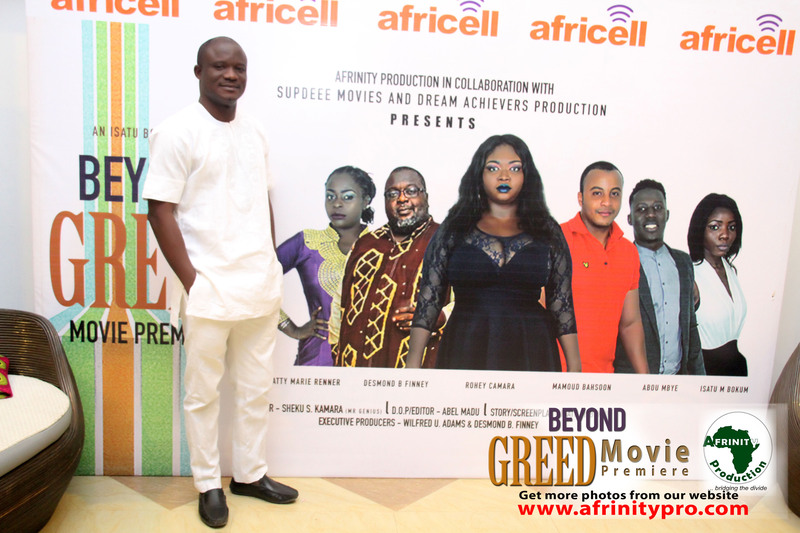 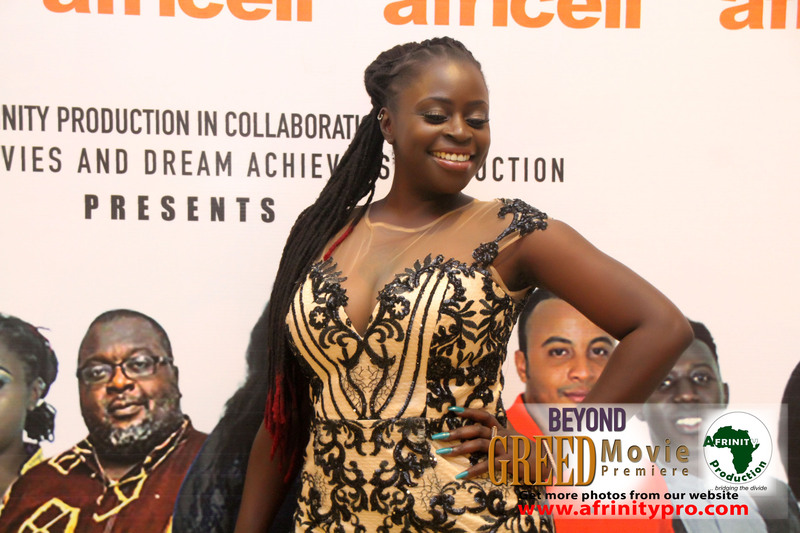 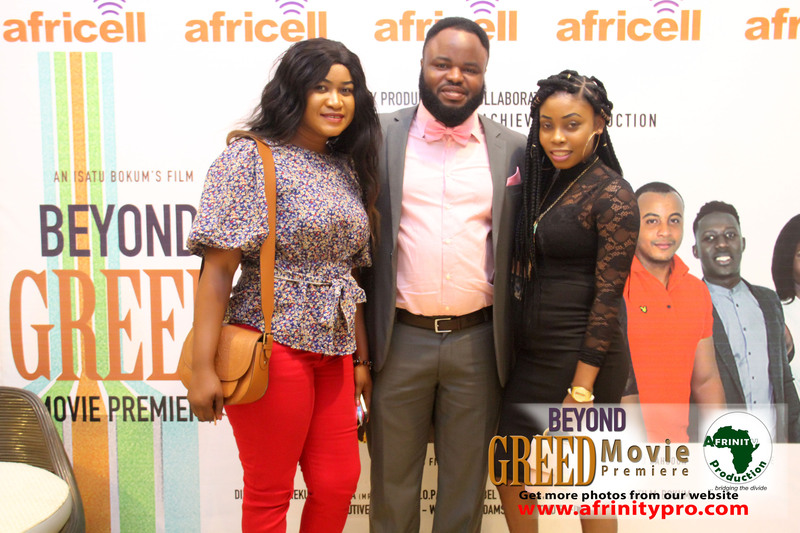 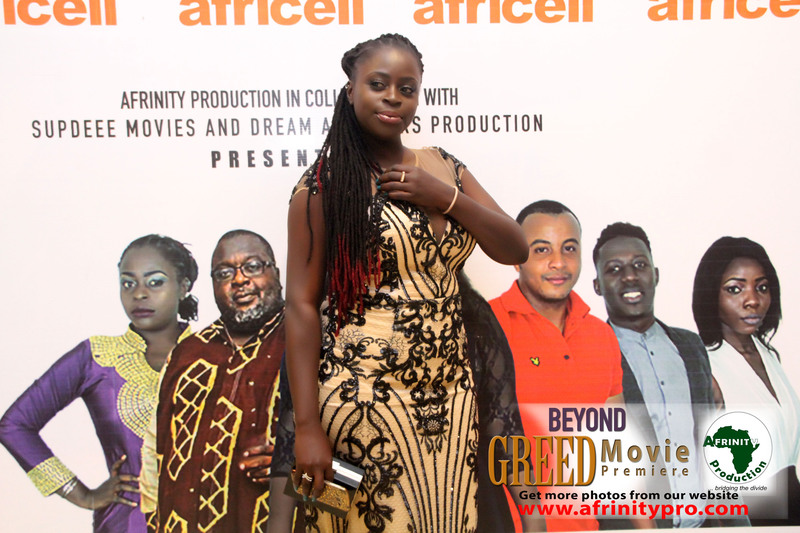 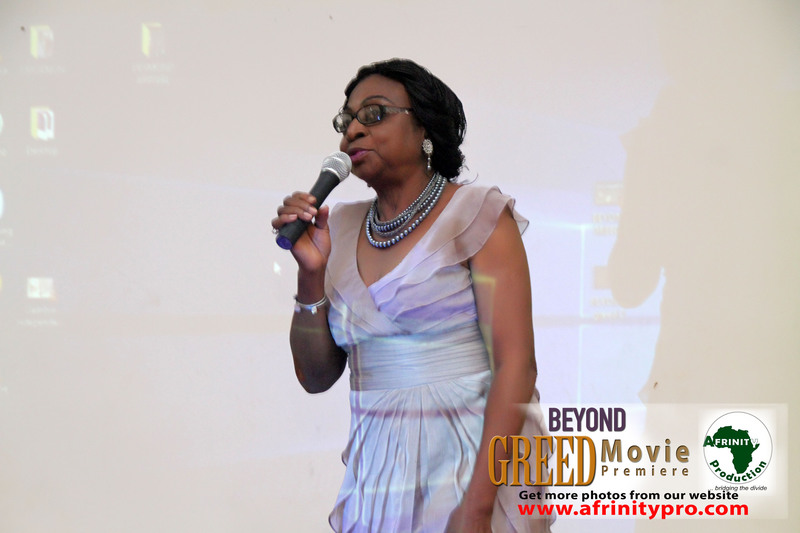 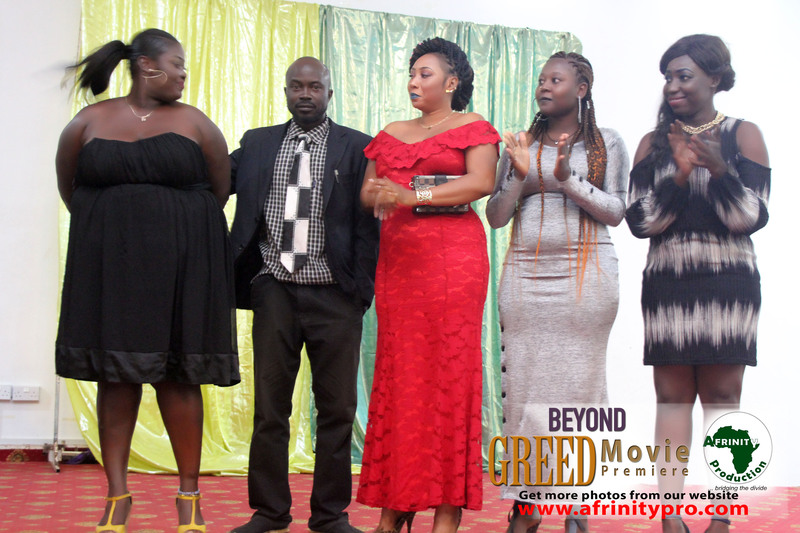 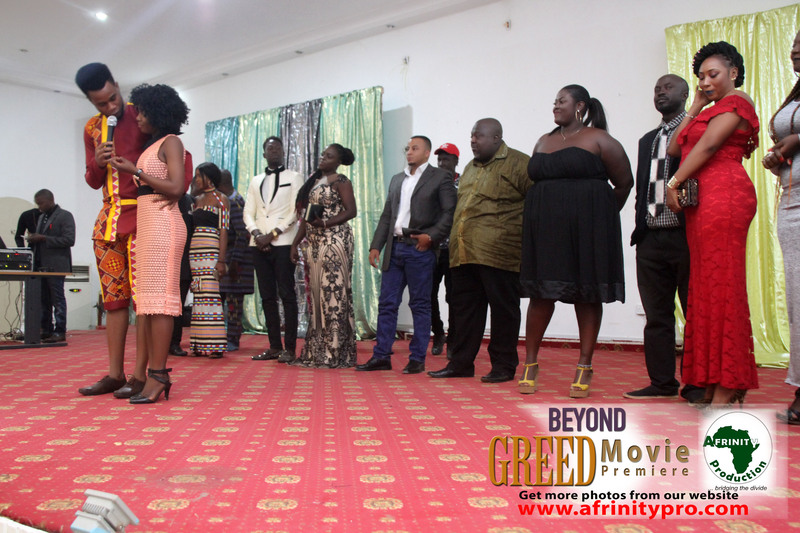 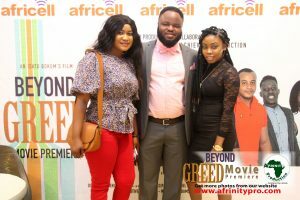 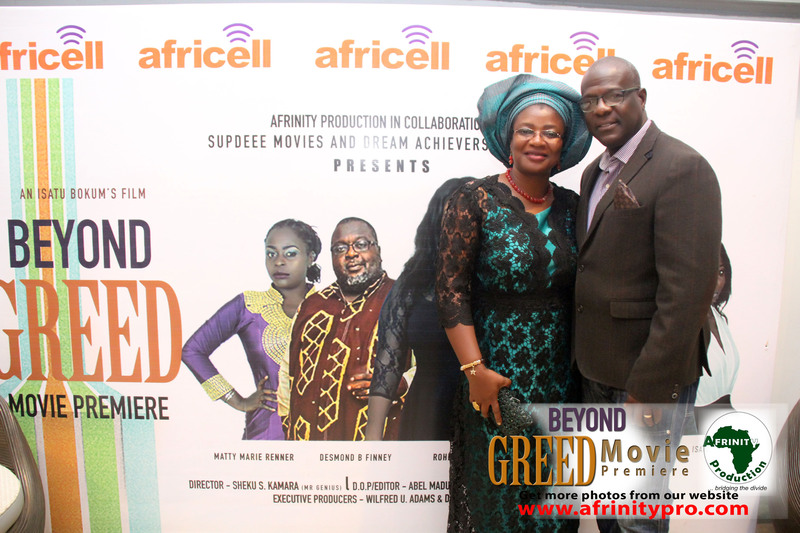 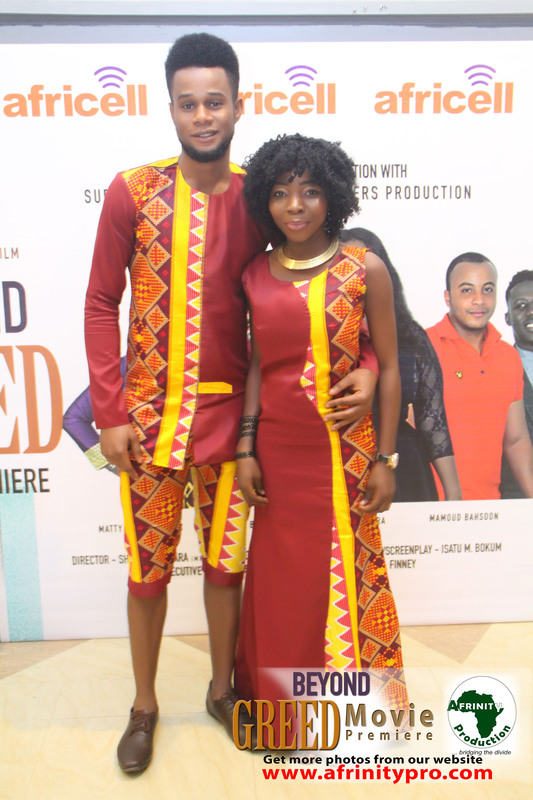 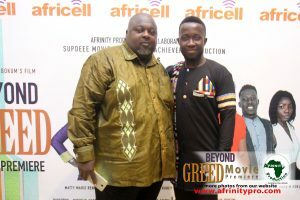 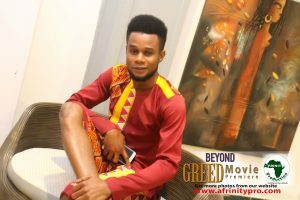 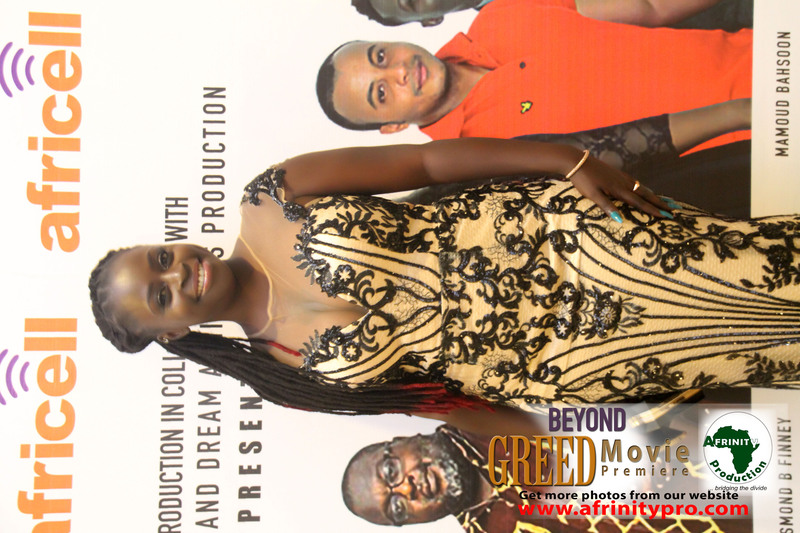 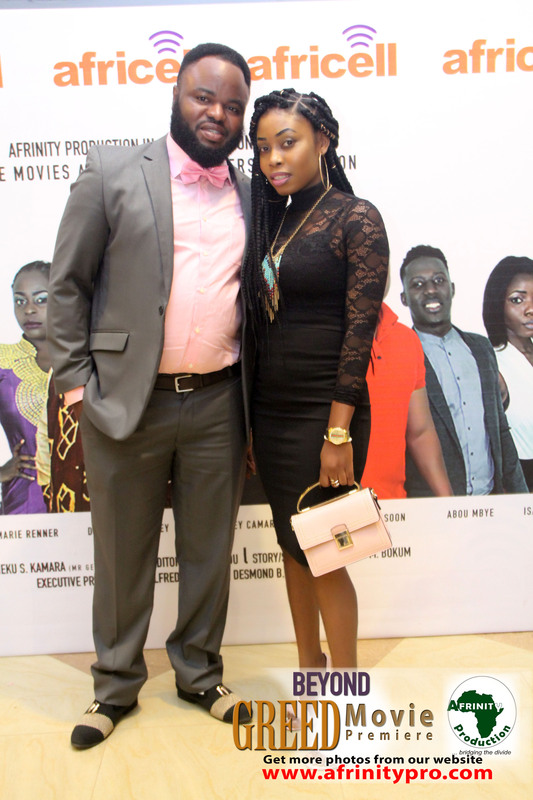 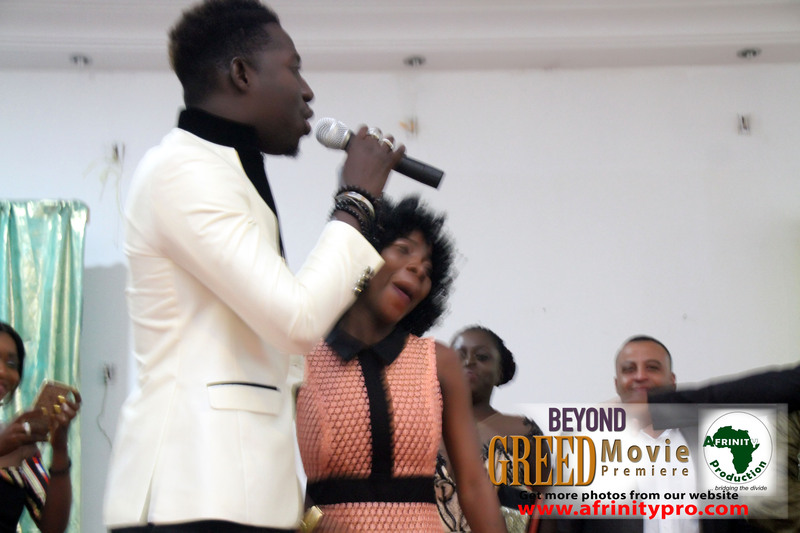 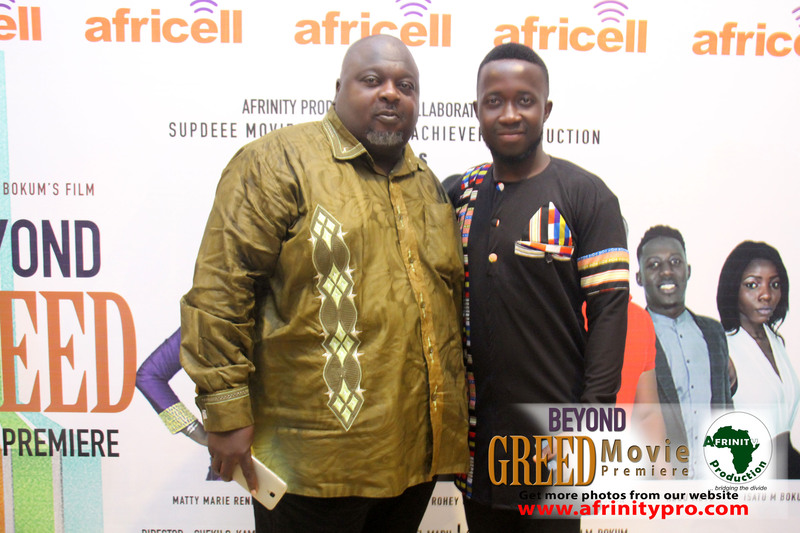 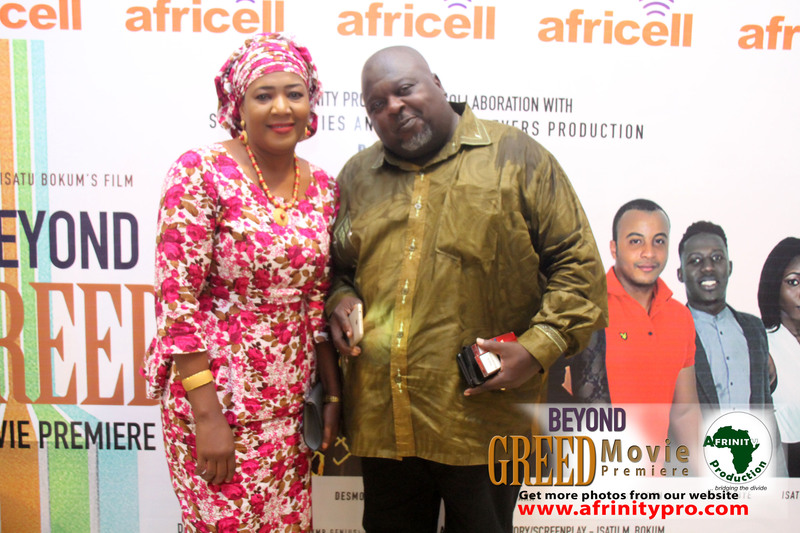 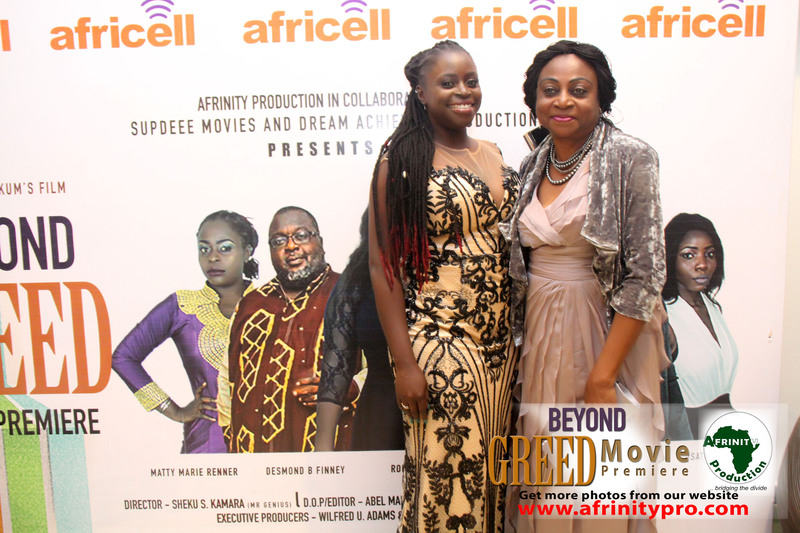 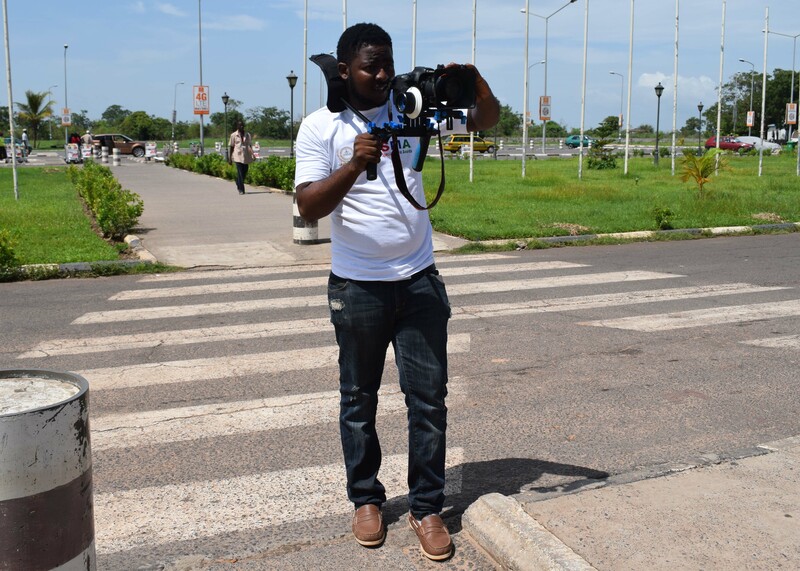 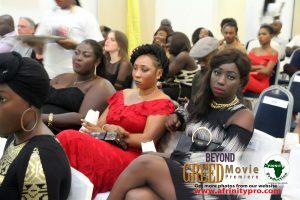 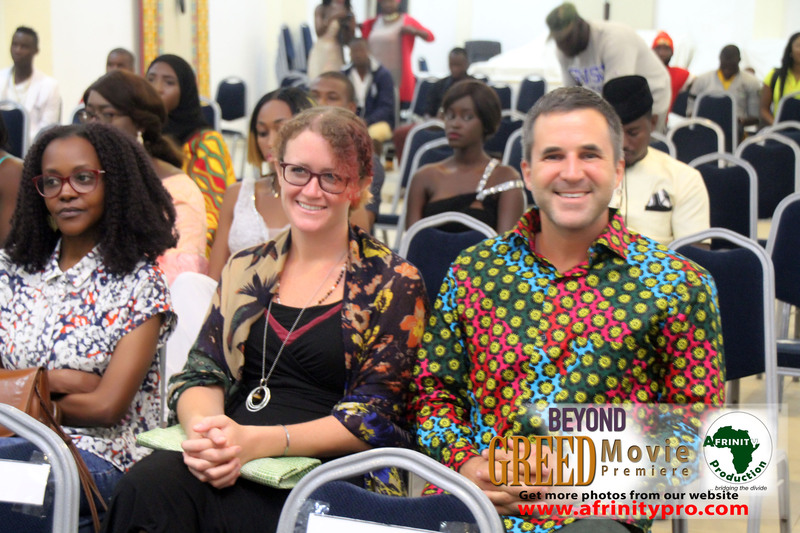 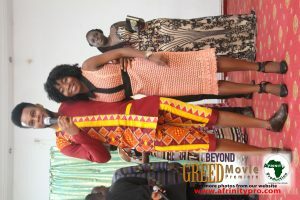 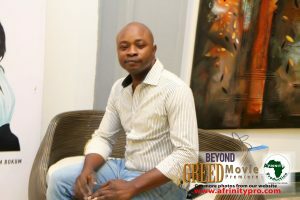 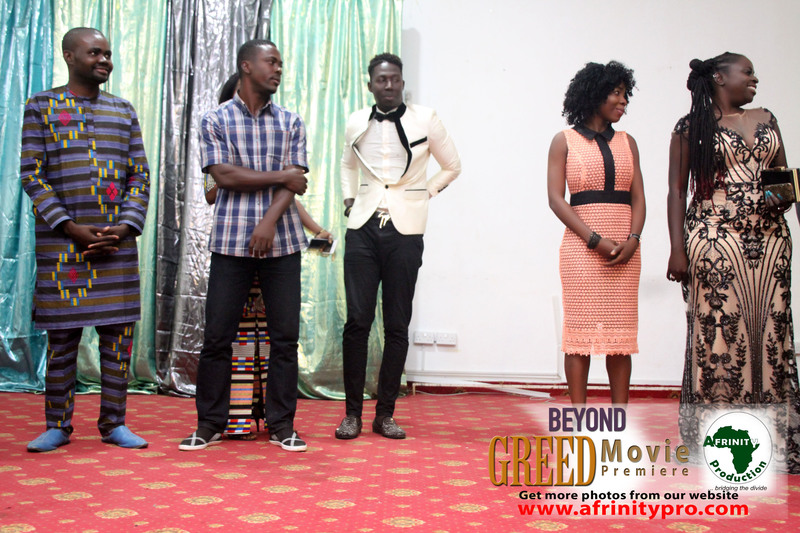 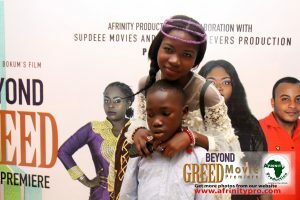 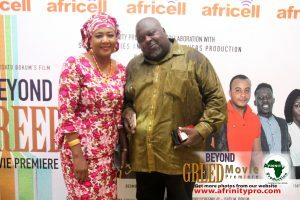 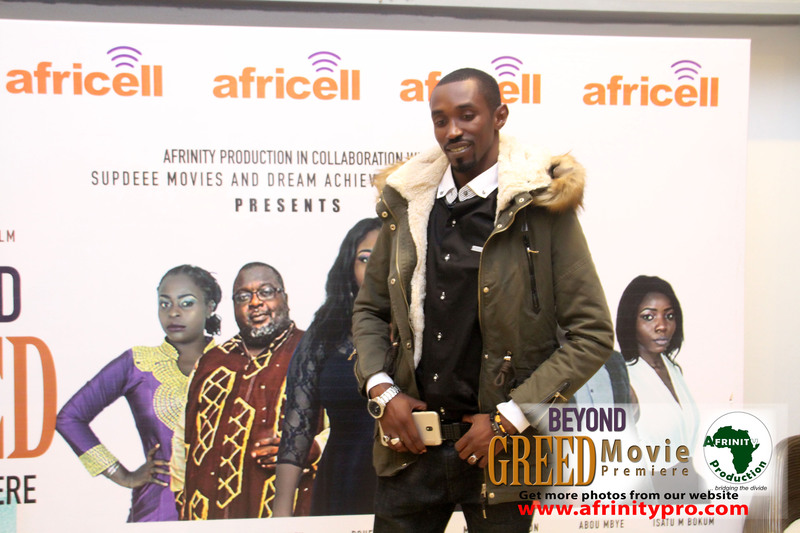 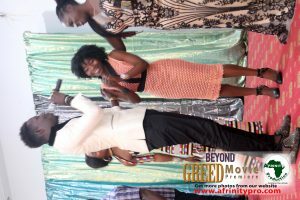 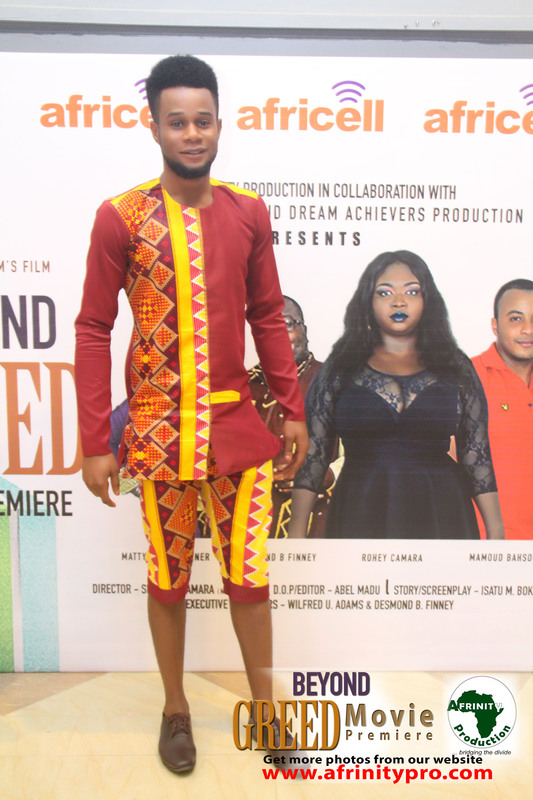 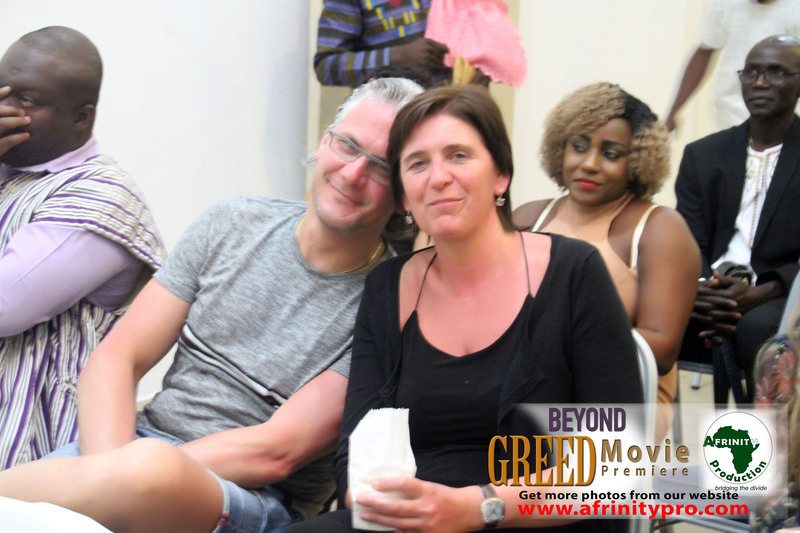 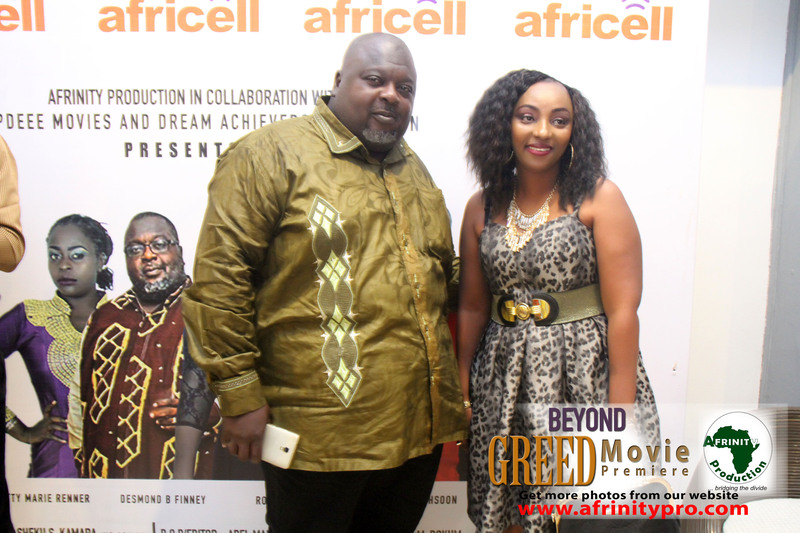 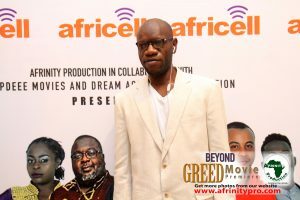 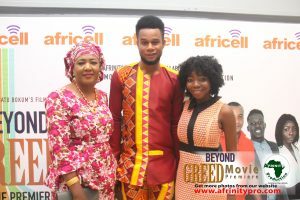 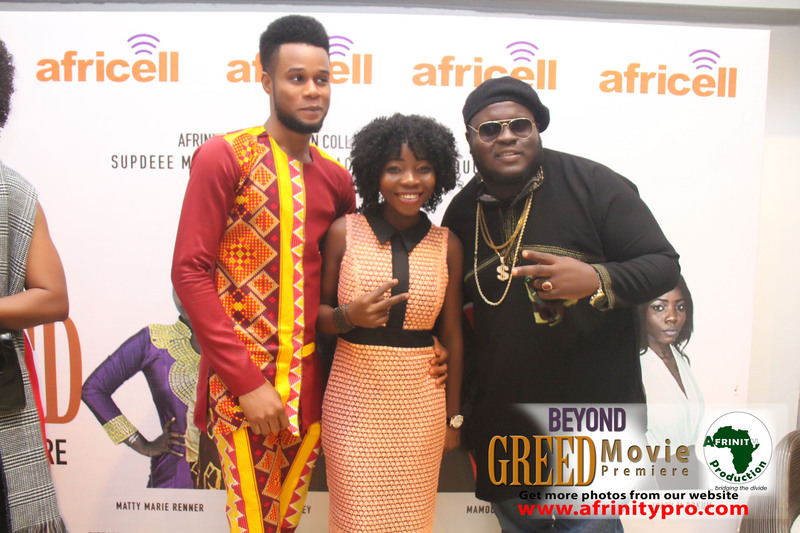 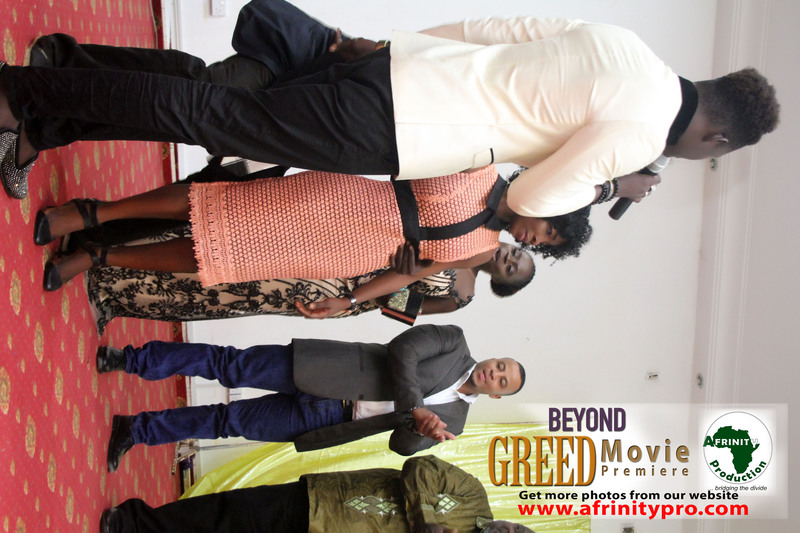 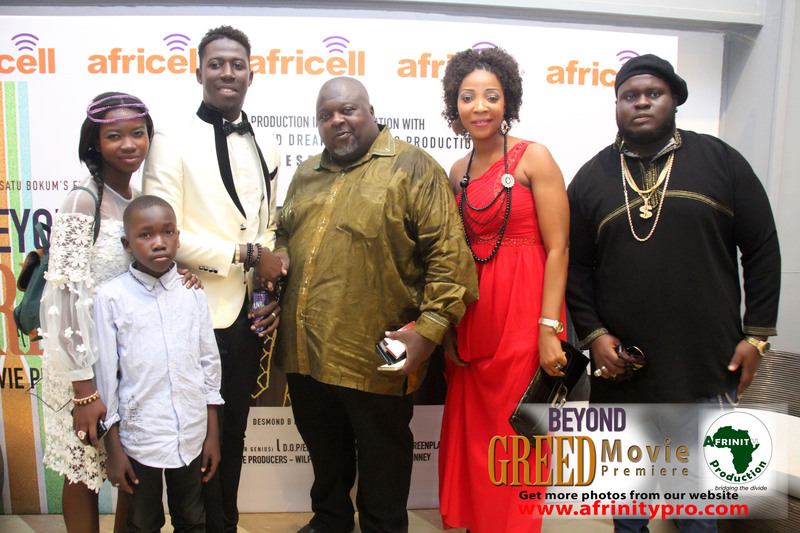 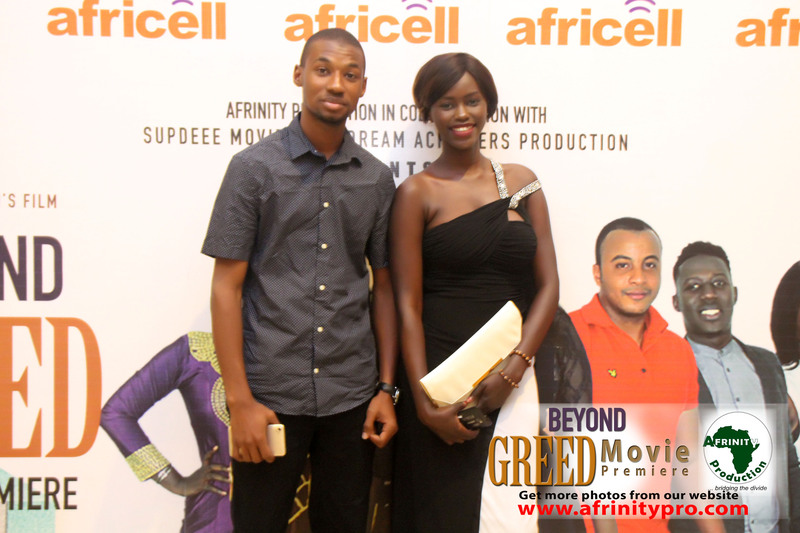 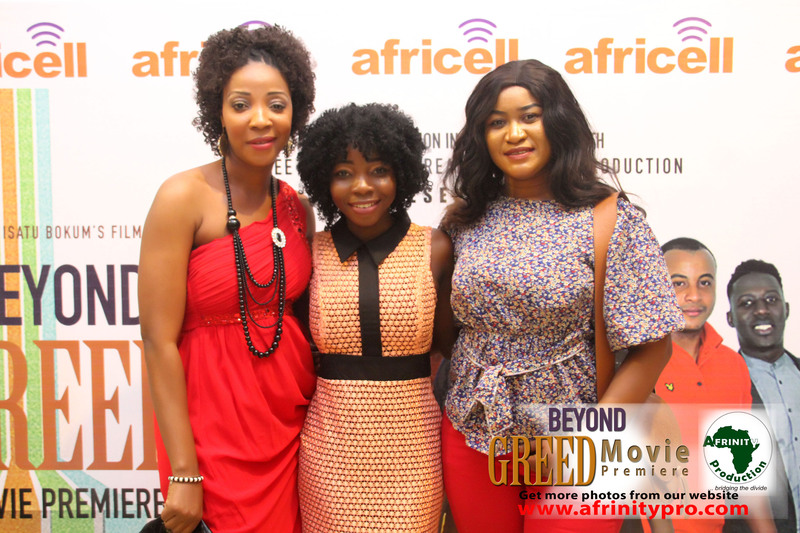 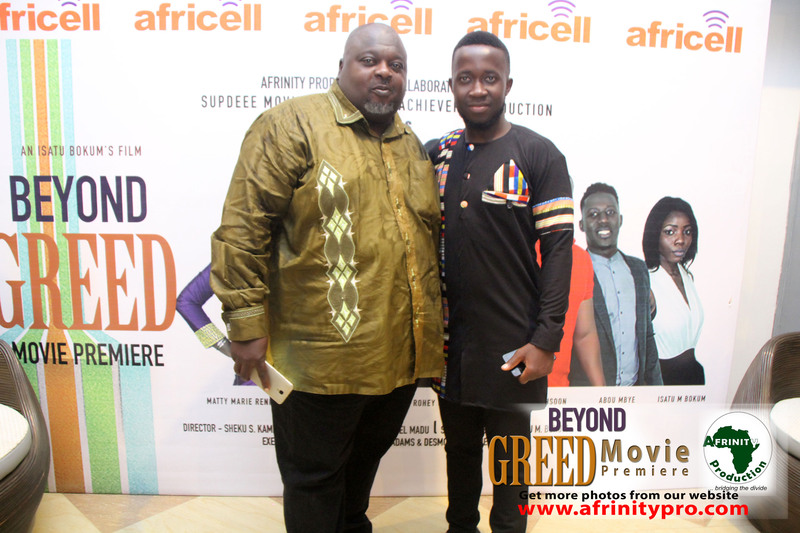 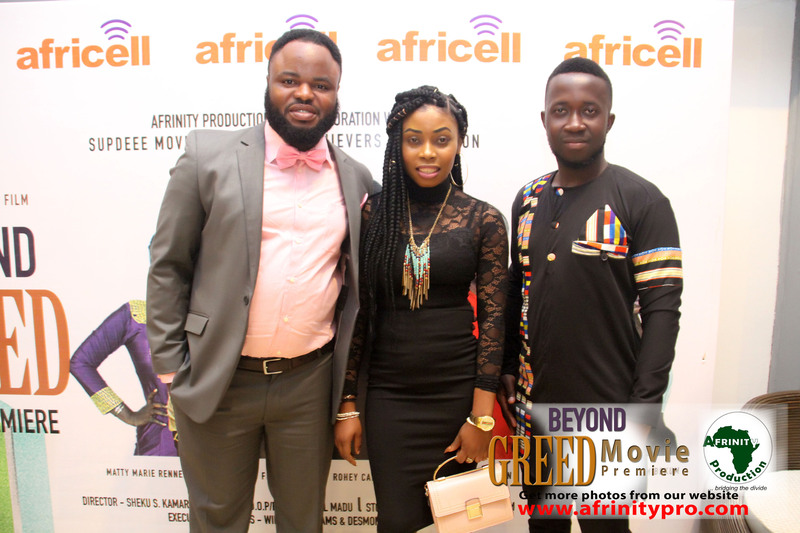 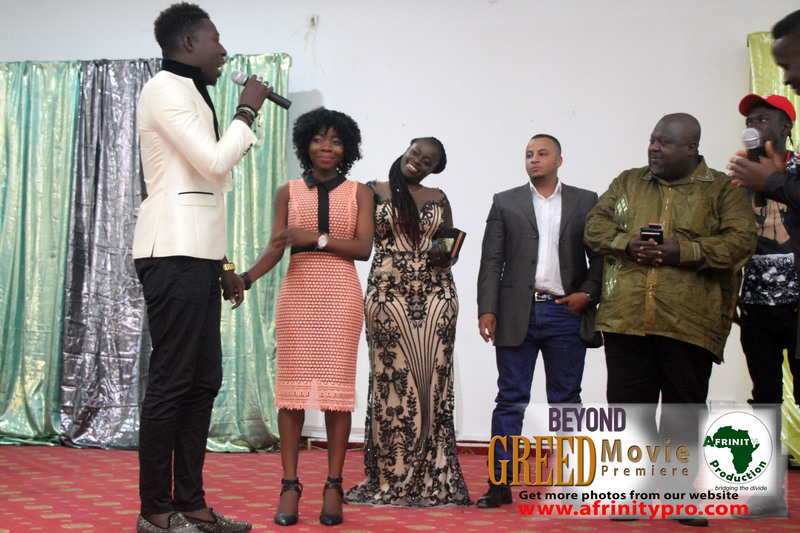 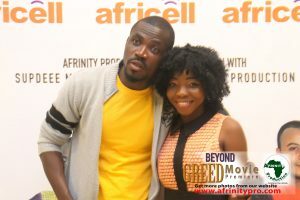 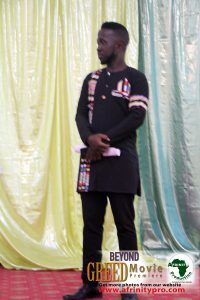 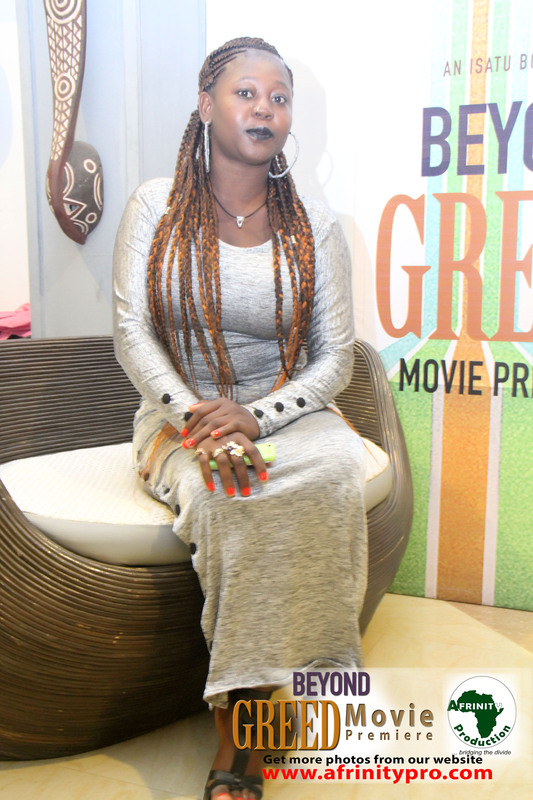 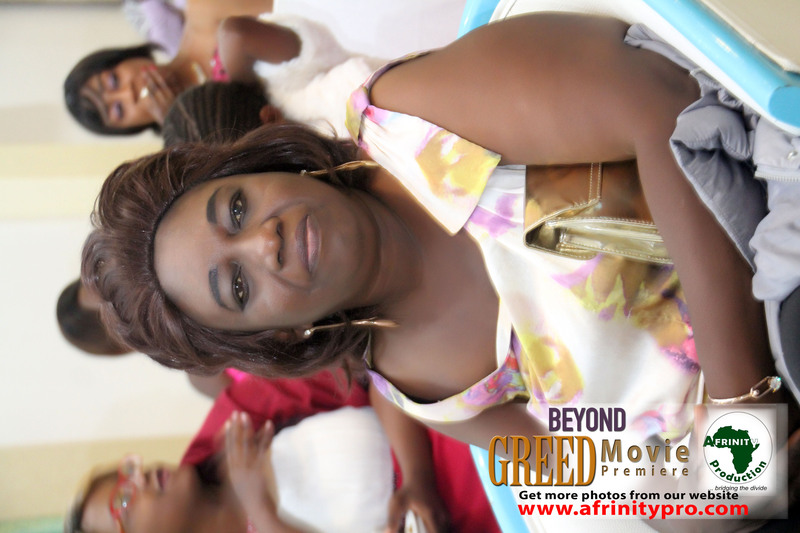 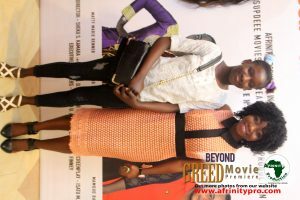 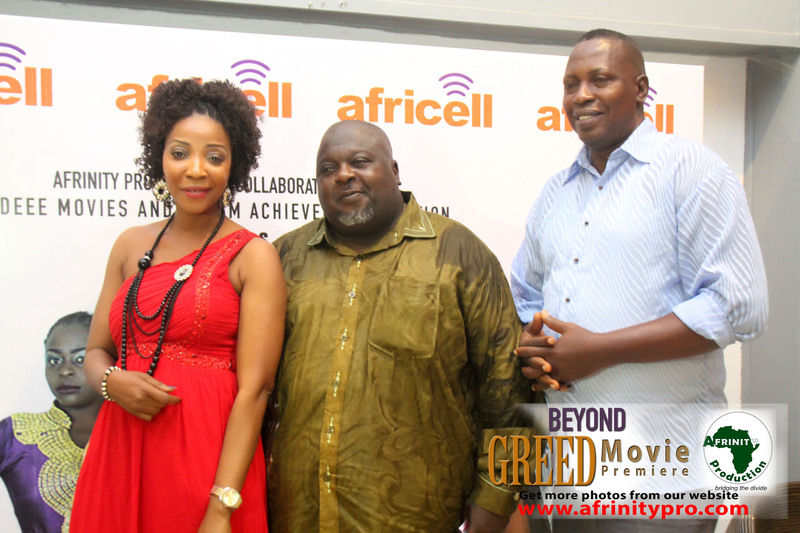 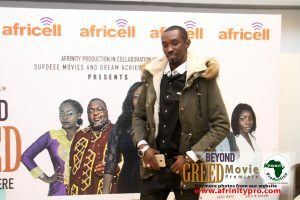 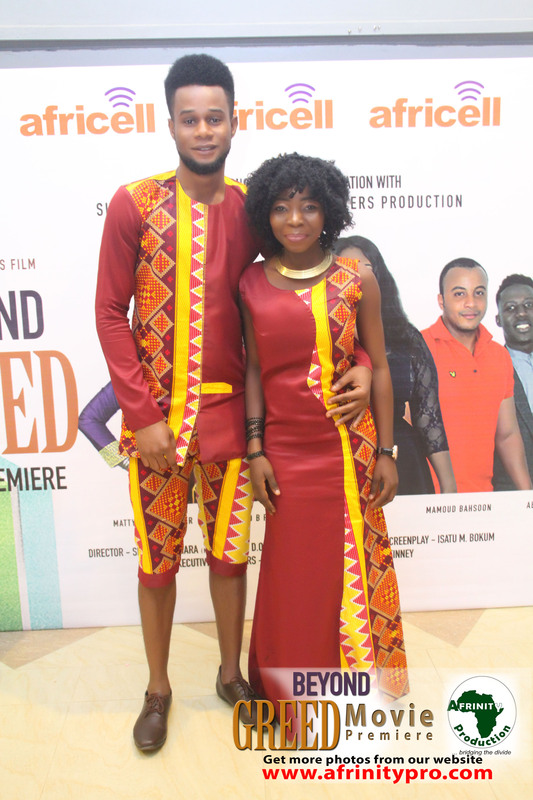 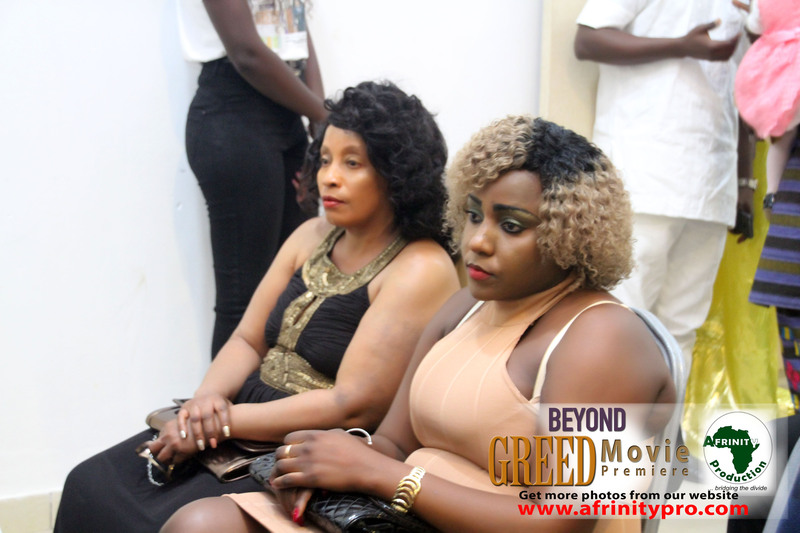 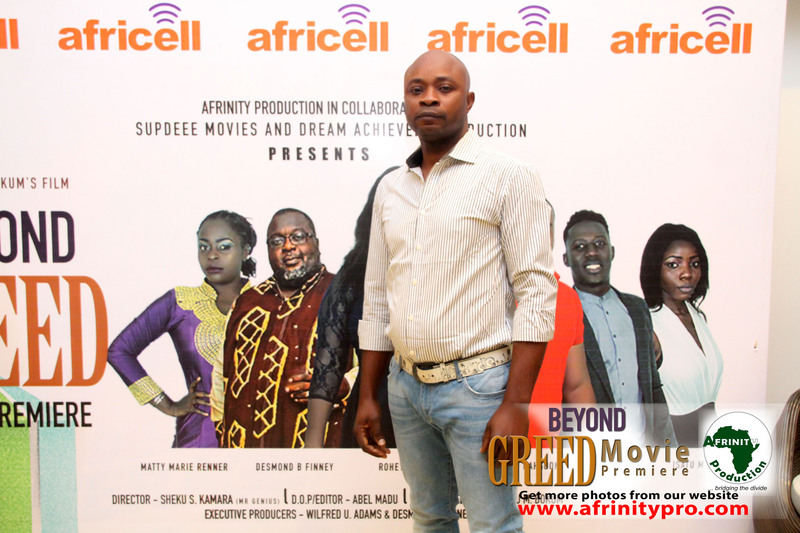 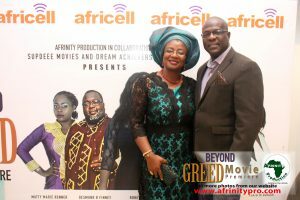 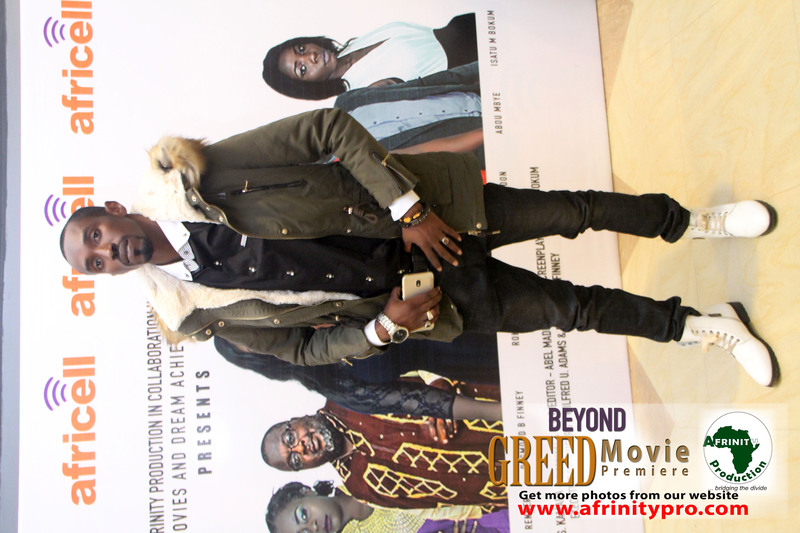 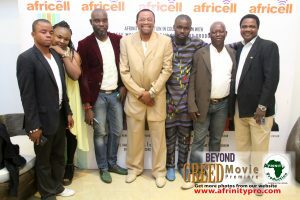 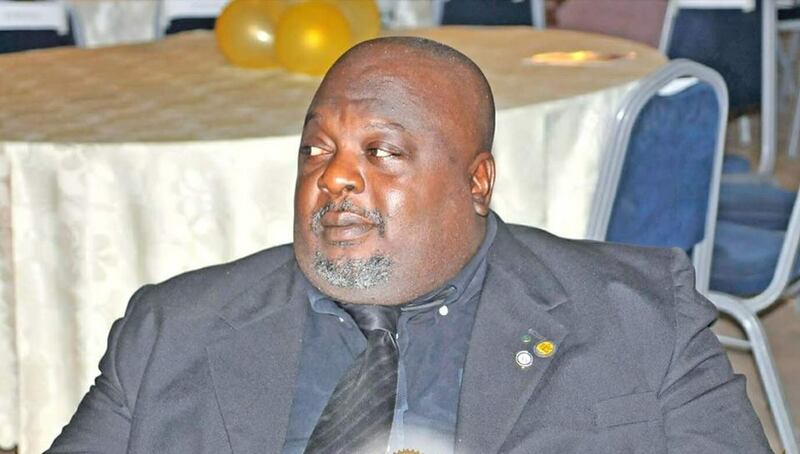 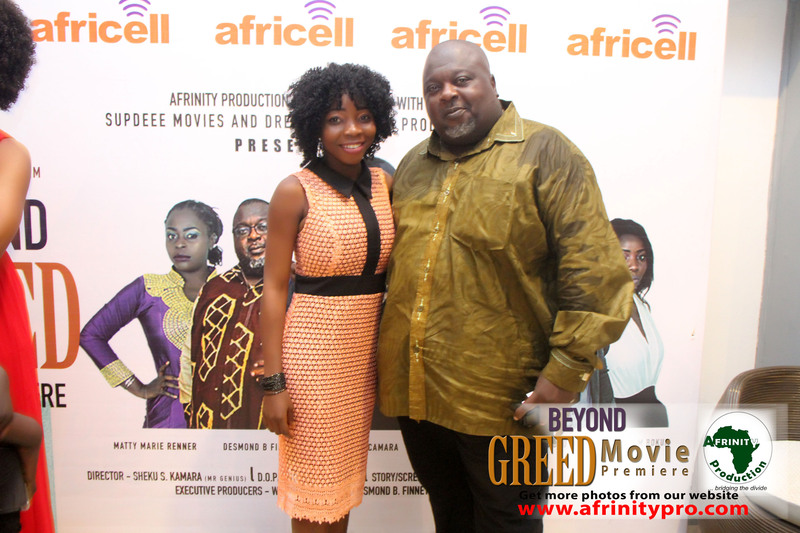 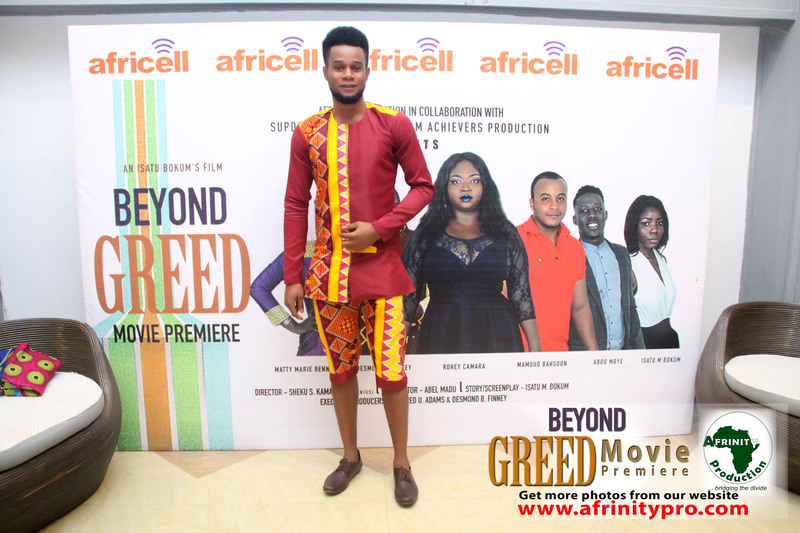 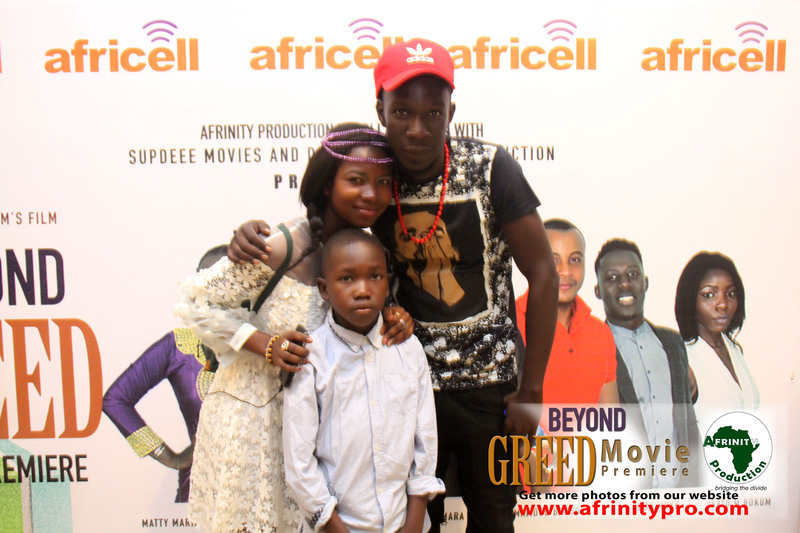 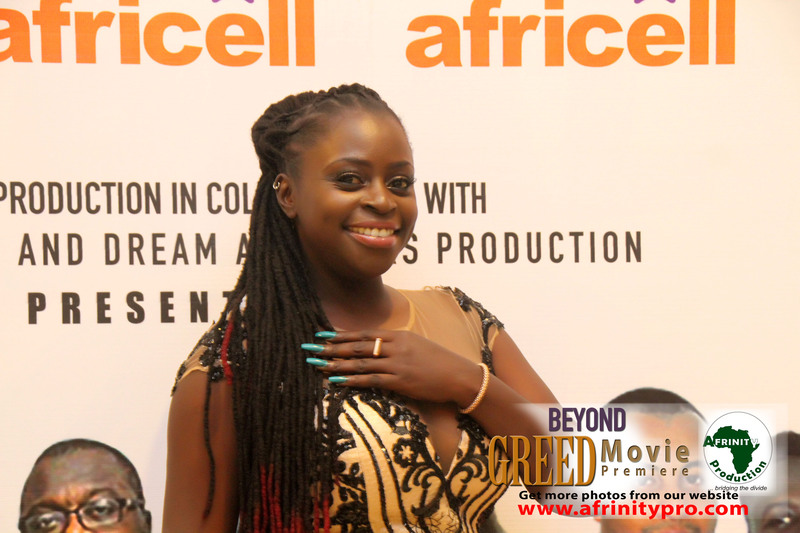 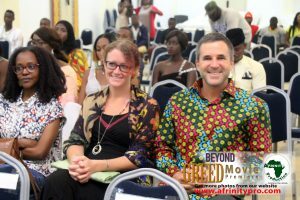 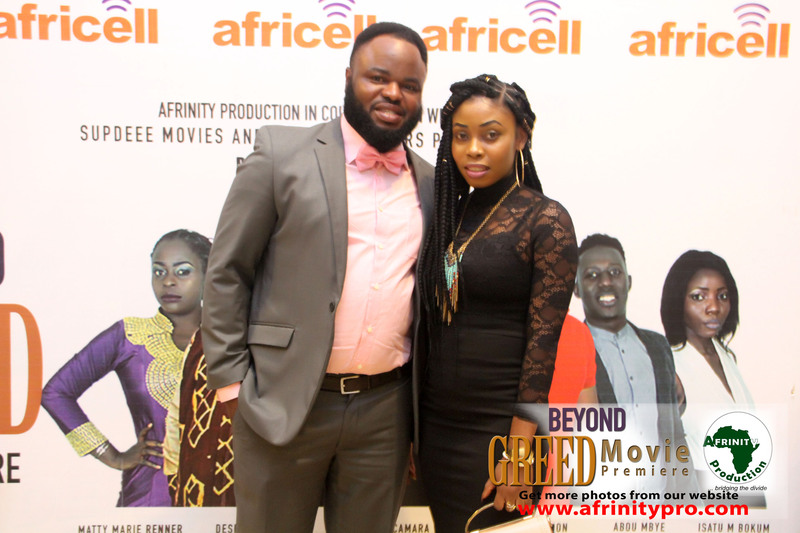 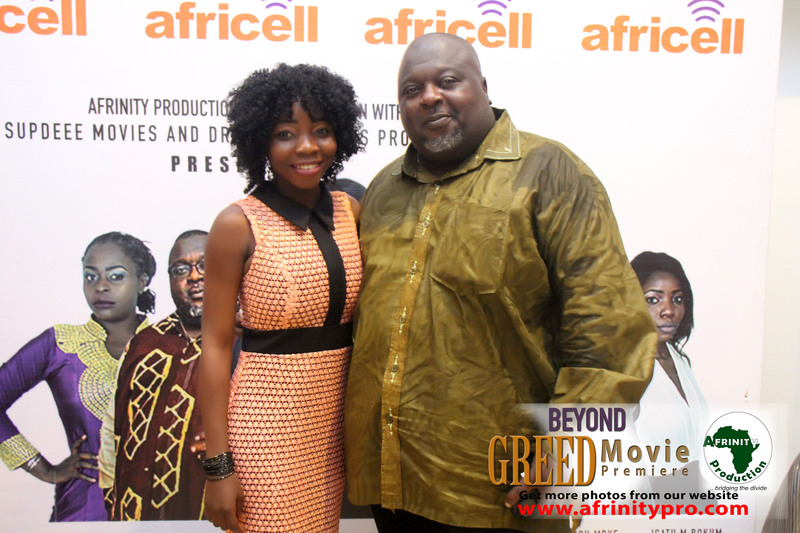 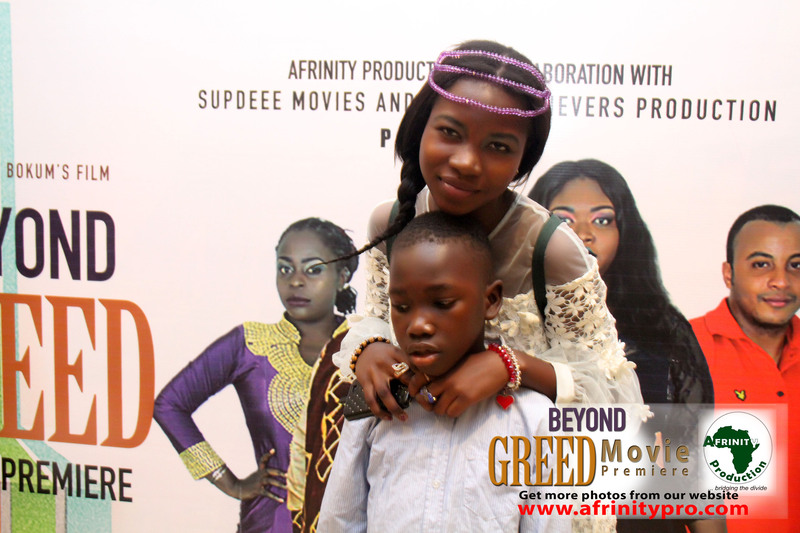 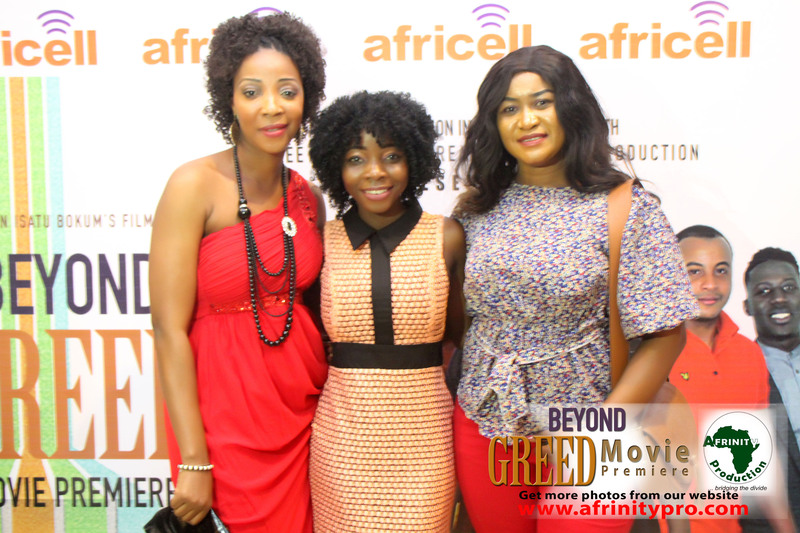 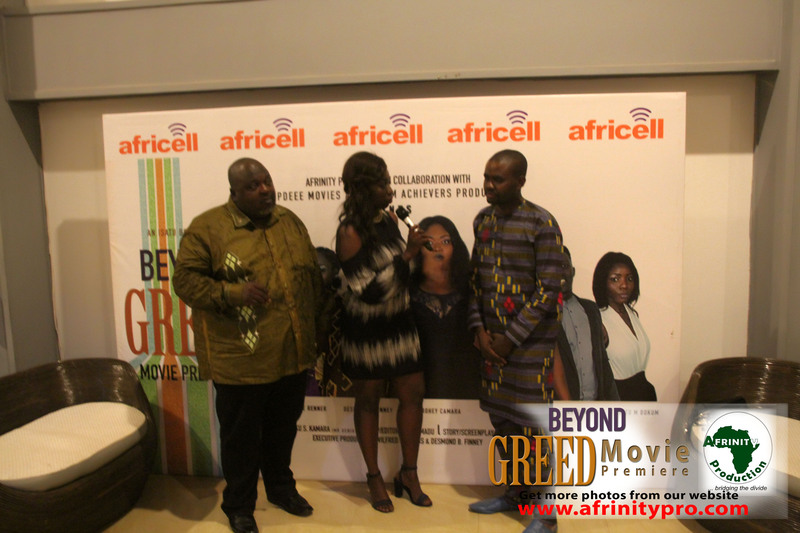 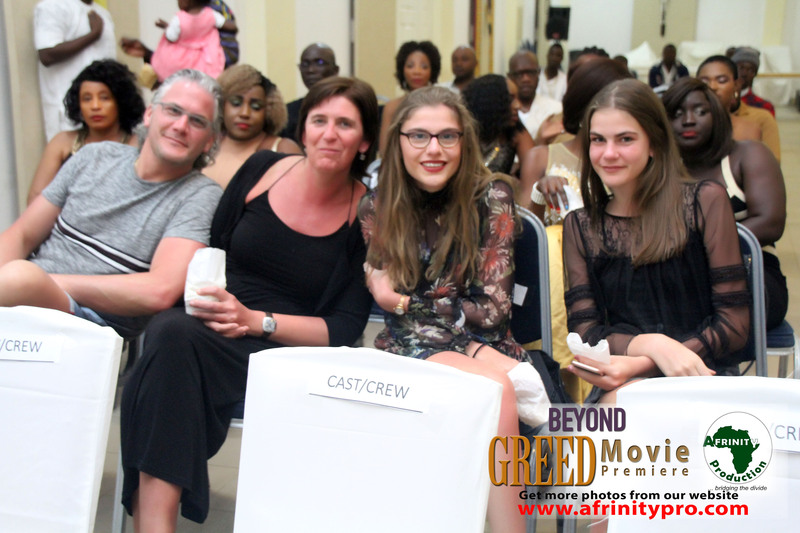 He plays Chief Ousman Saine a multi billionaire in “Beyond Greed” who fell in a trap with the cunning Jankeh. 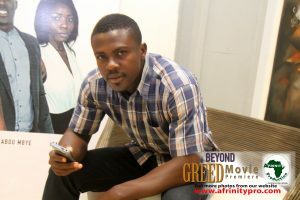 What will he do when he finds out that his only son wants to make her his wife? 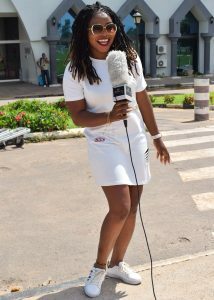 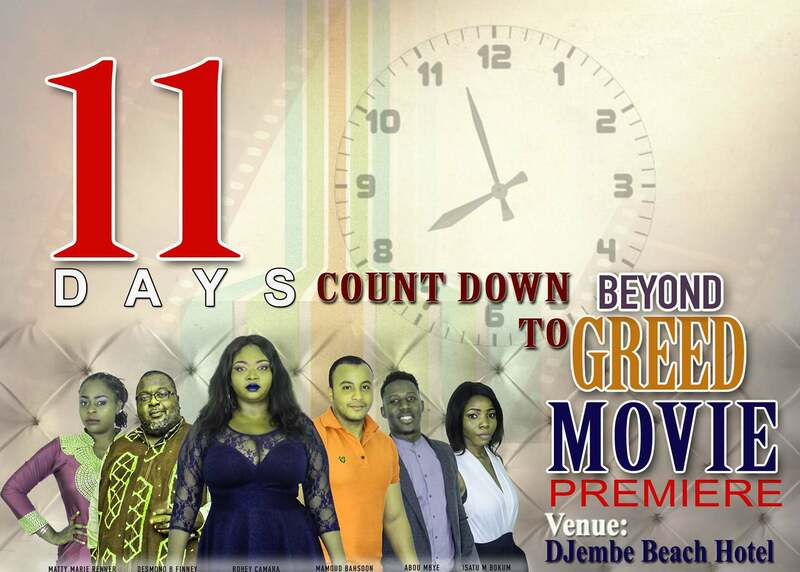 Find out on the 10th of February at DJembe Beach Hotel by 7pm. You won’t want to miss it. 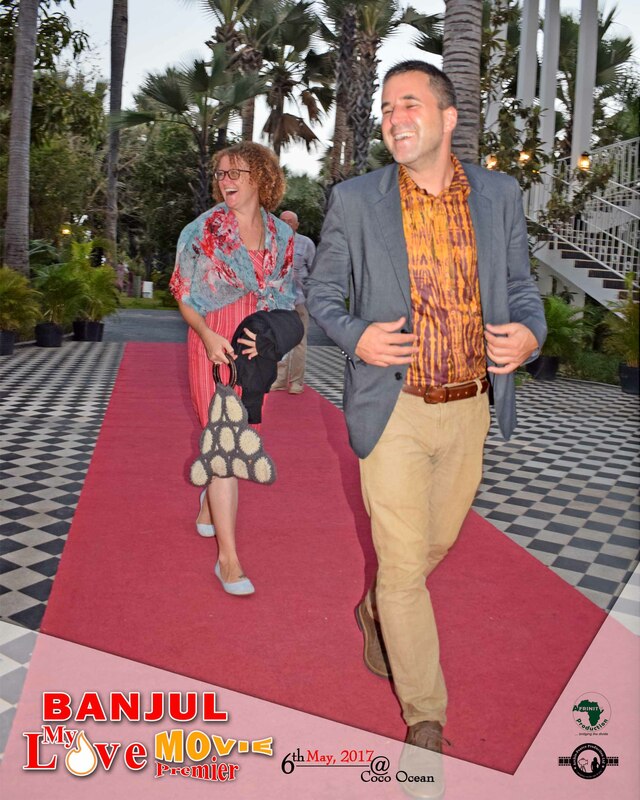 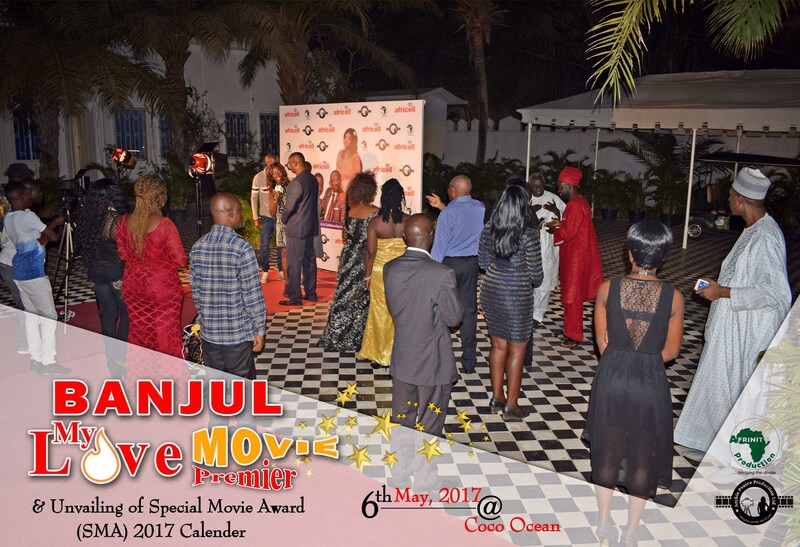 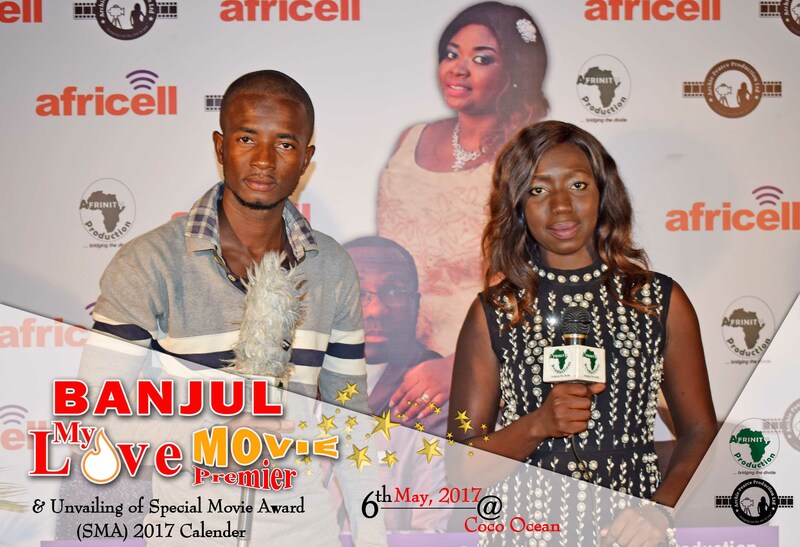 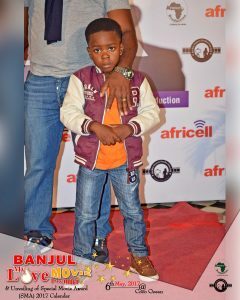 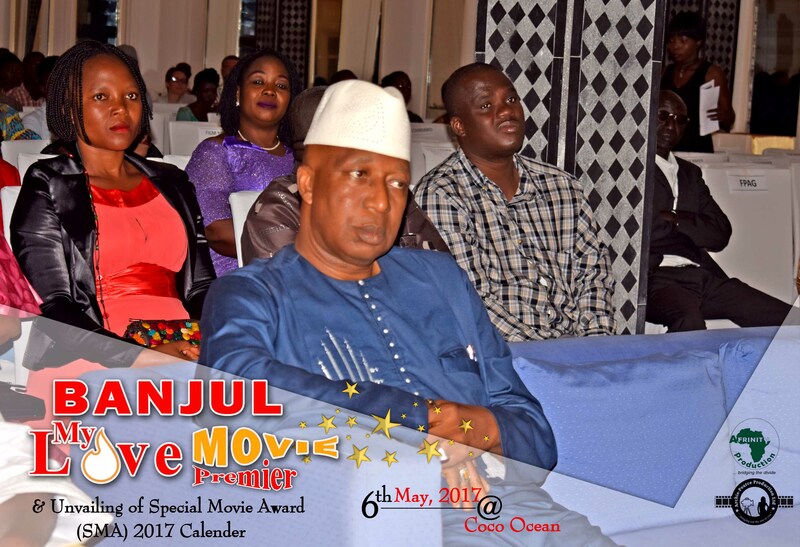 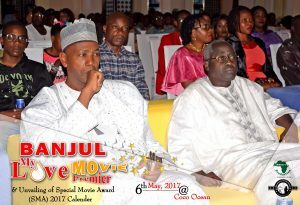 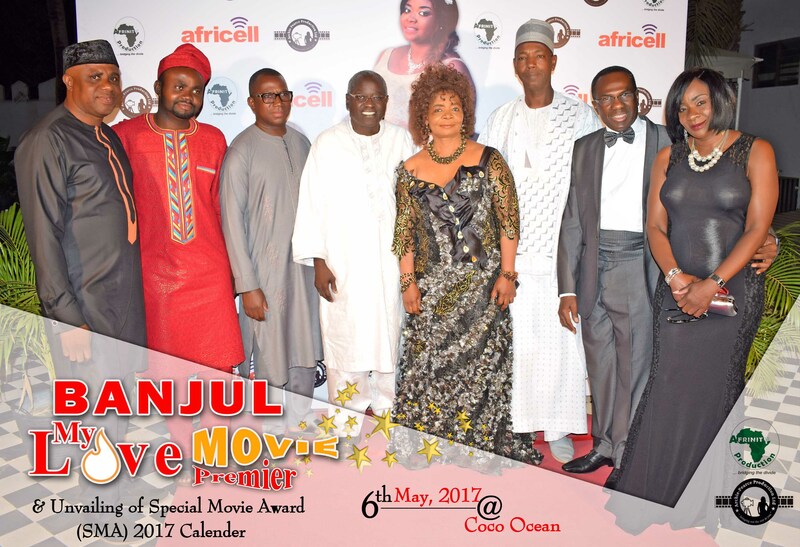 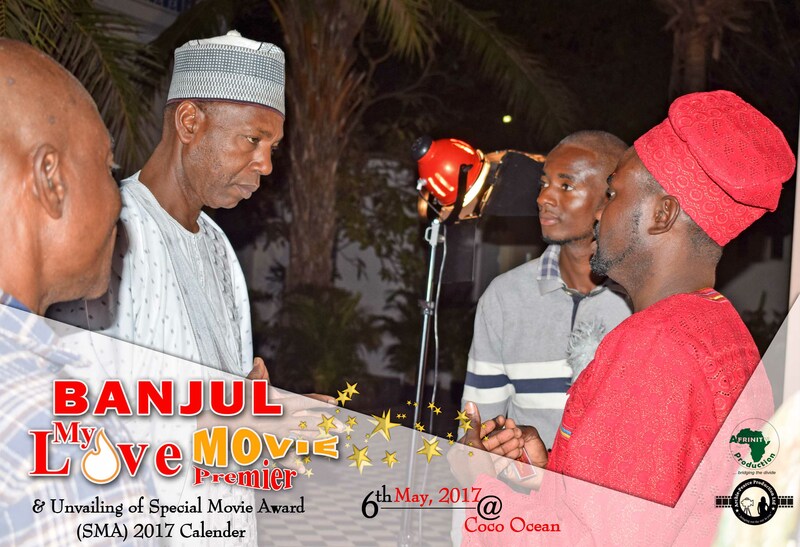 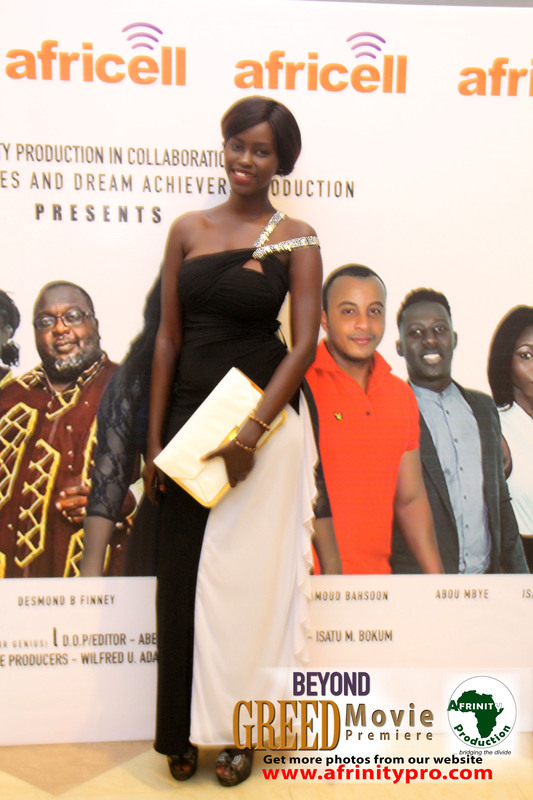 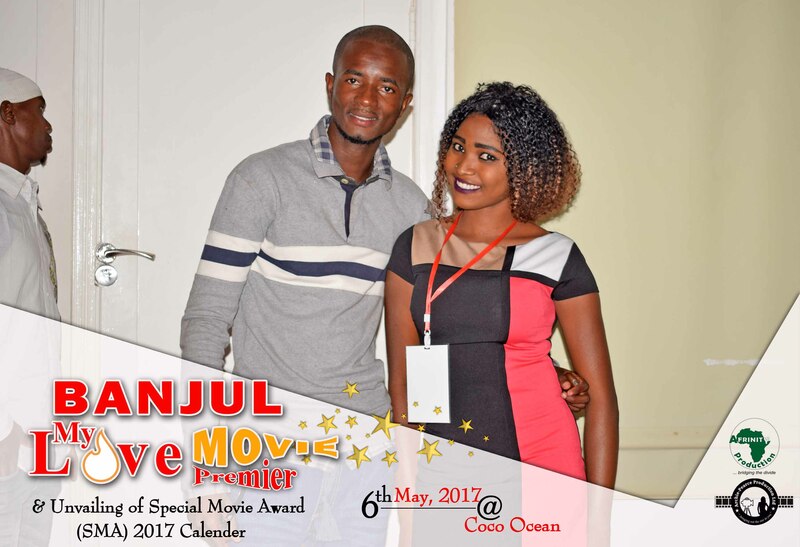 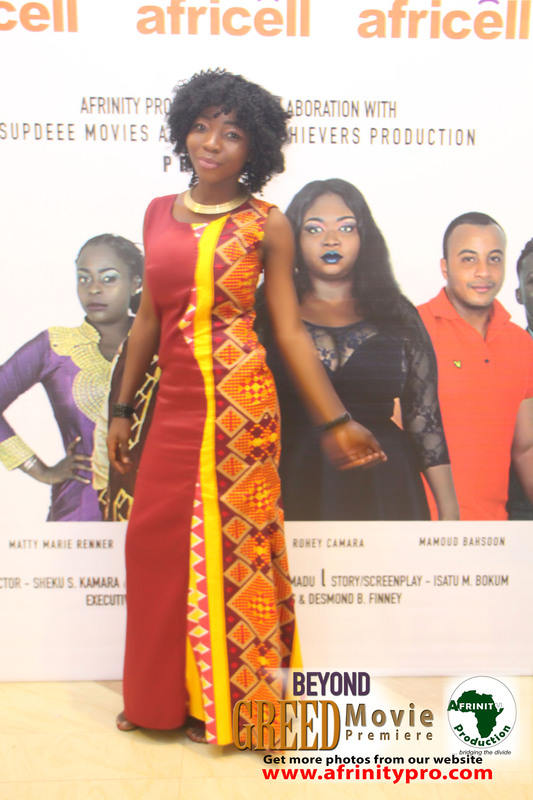 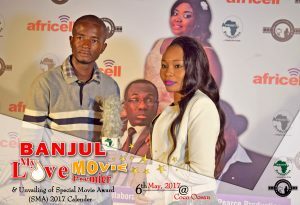 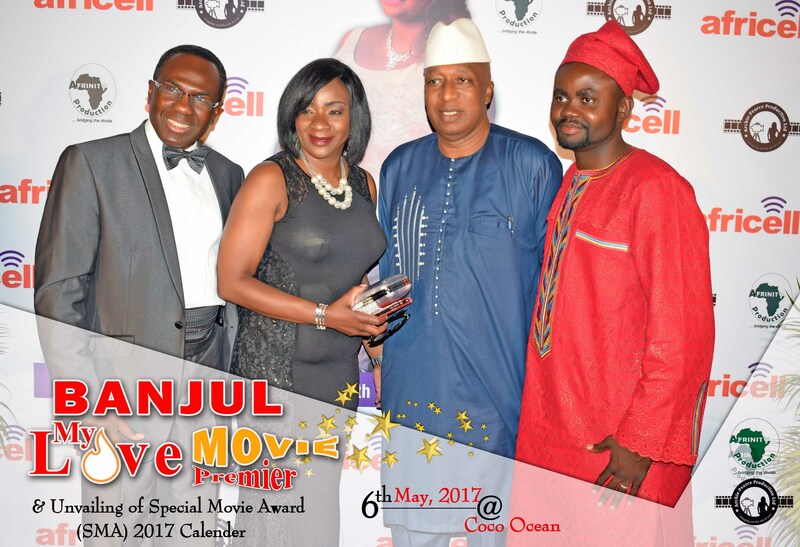 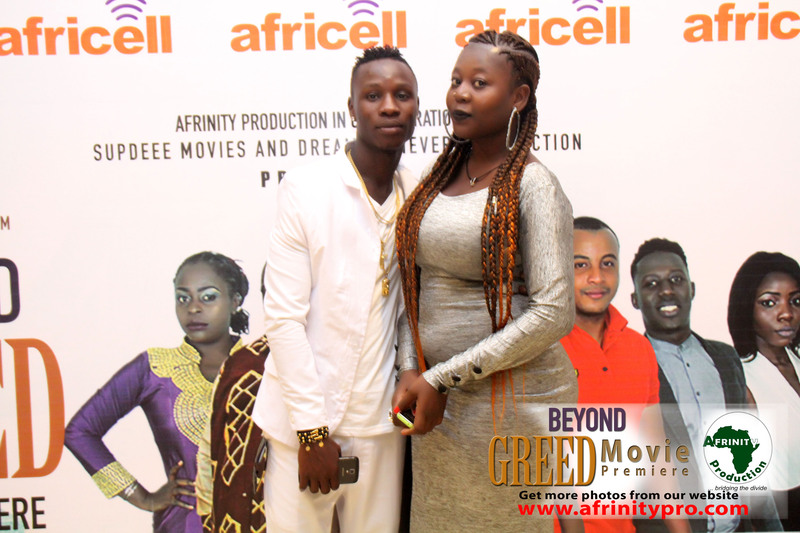 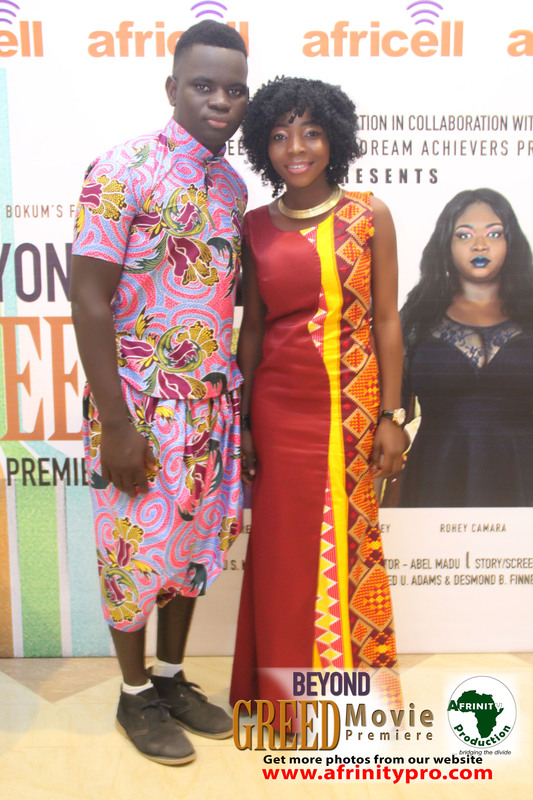 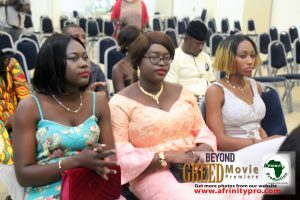 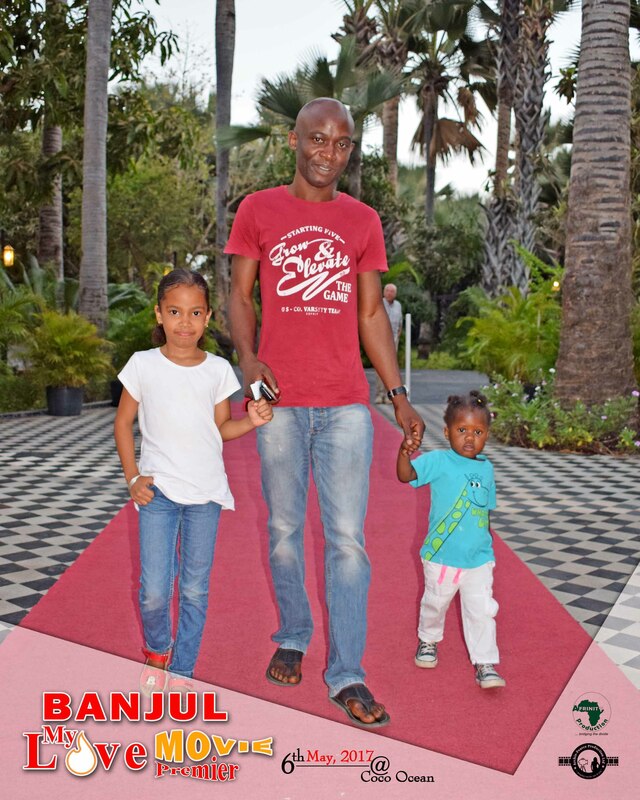 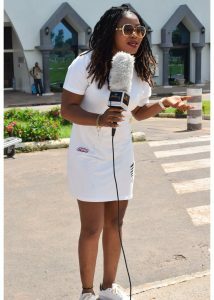 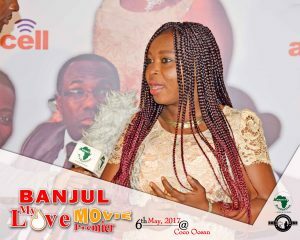 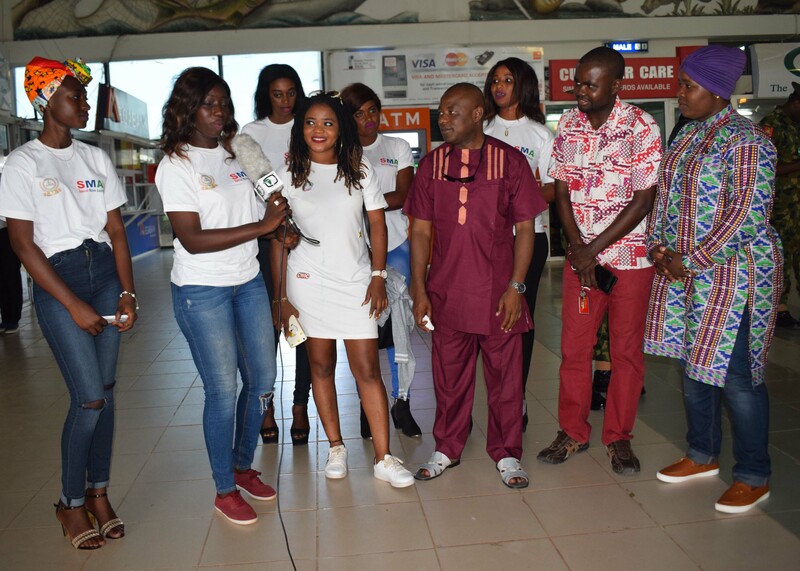 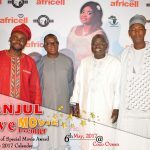 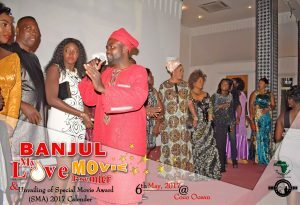 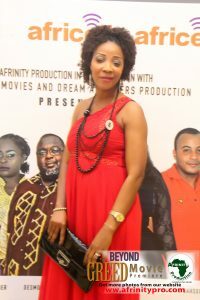 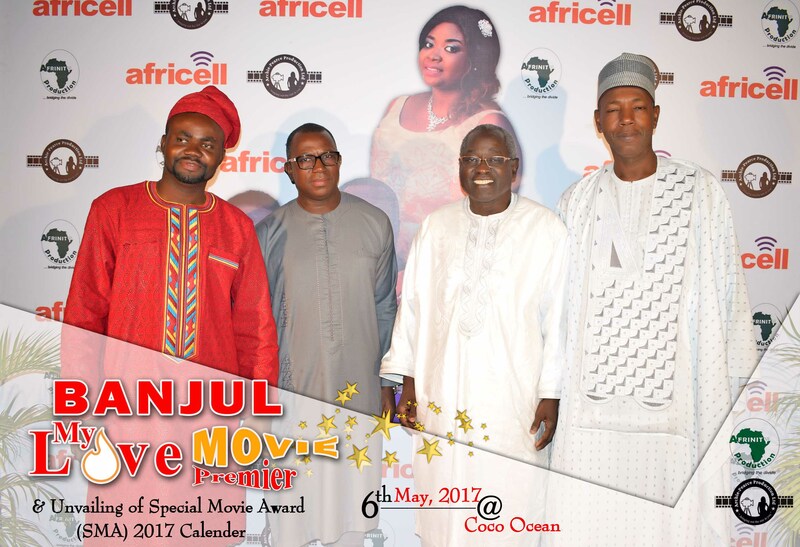 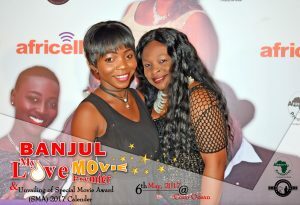 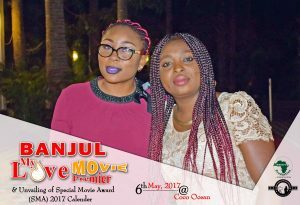 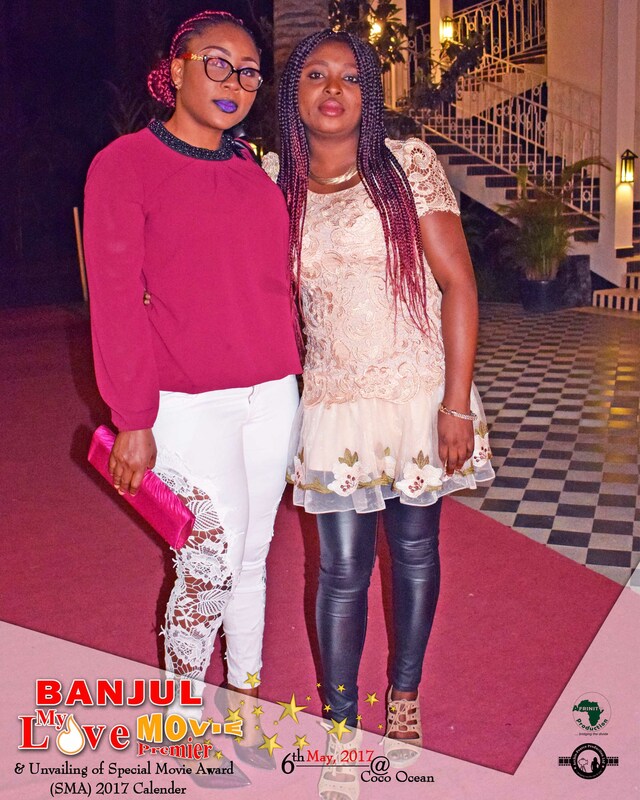 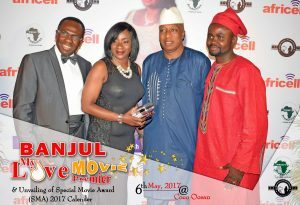 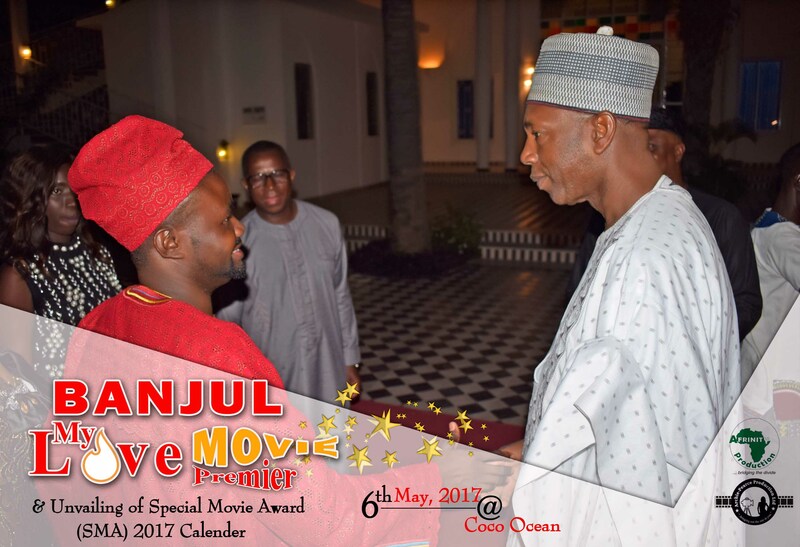 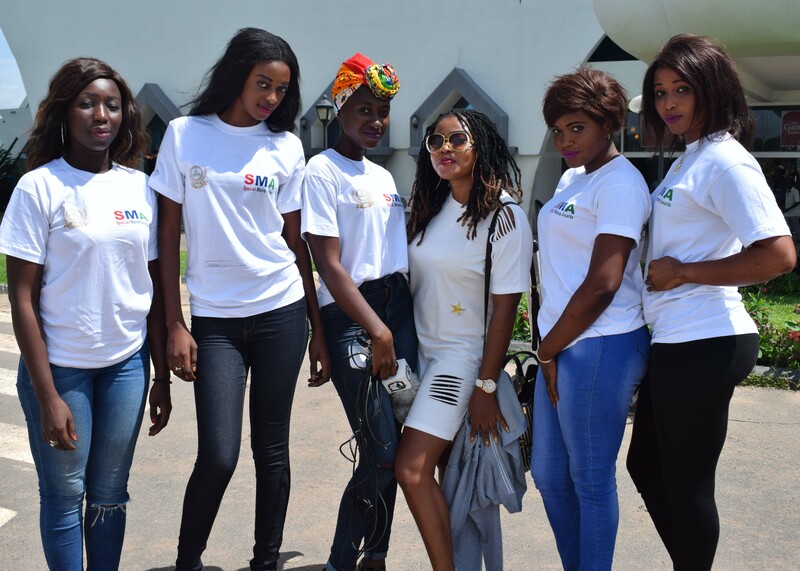 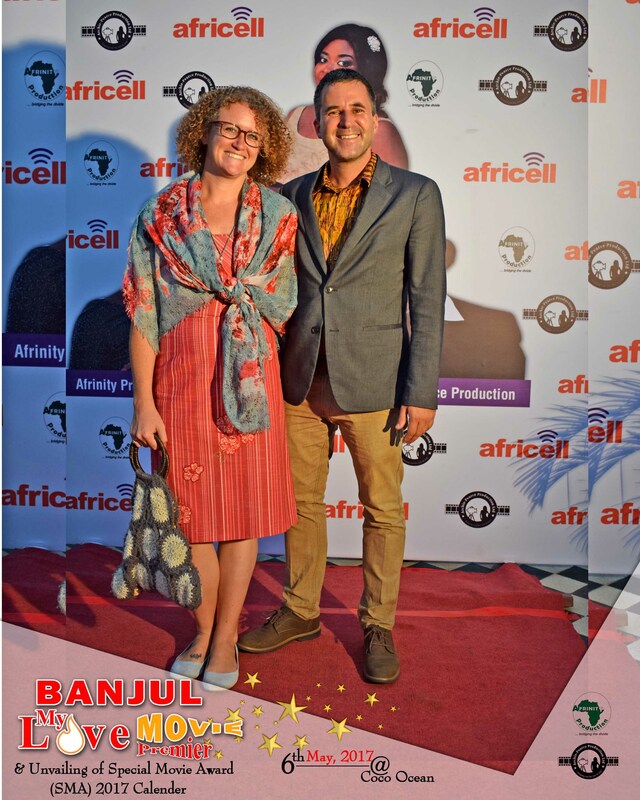 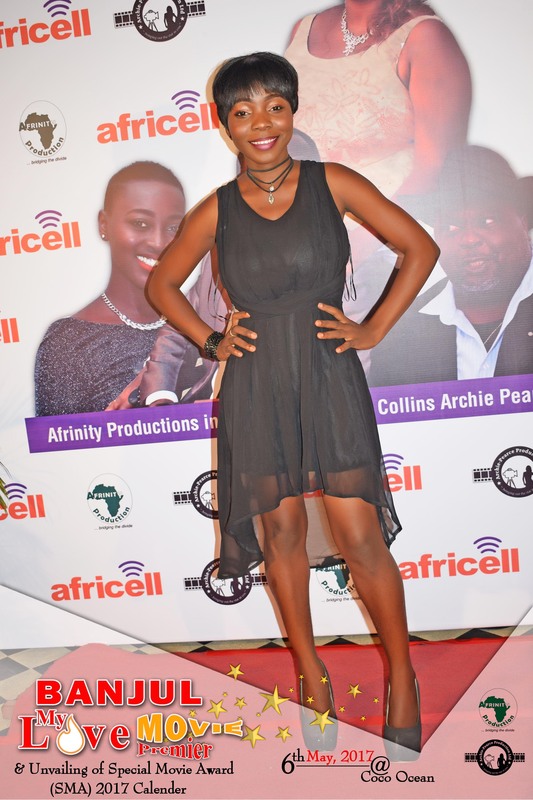 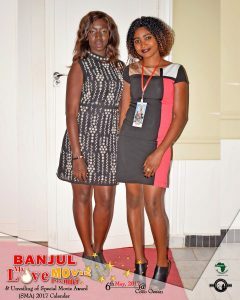 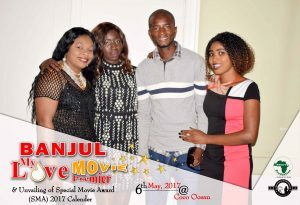 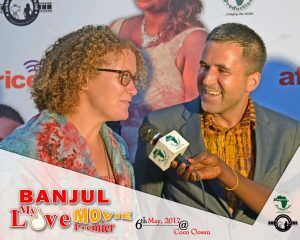 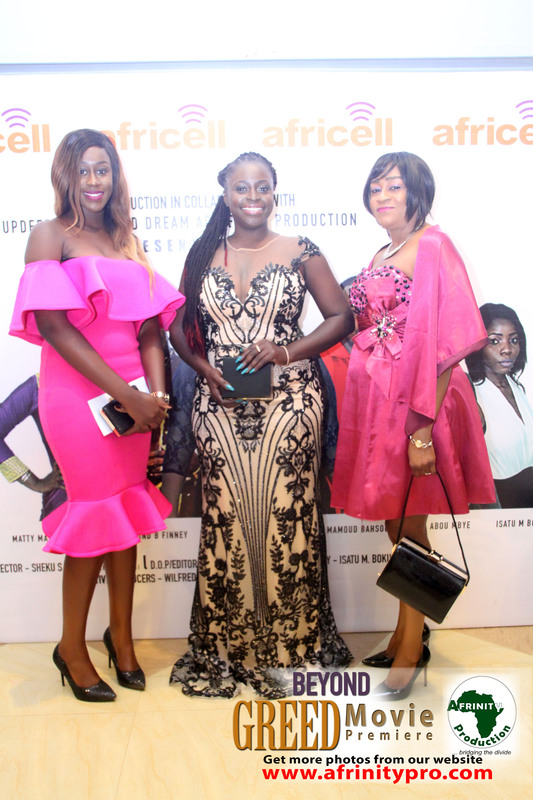 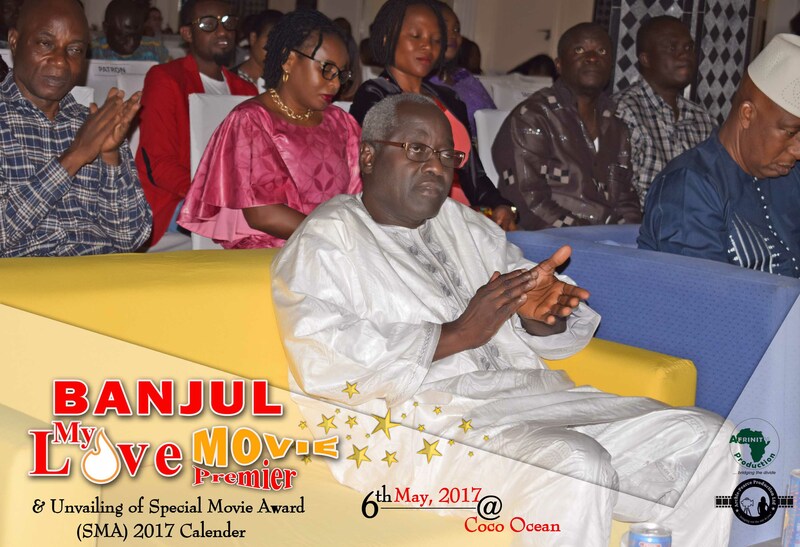 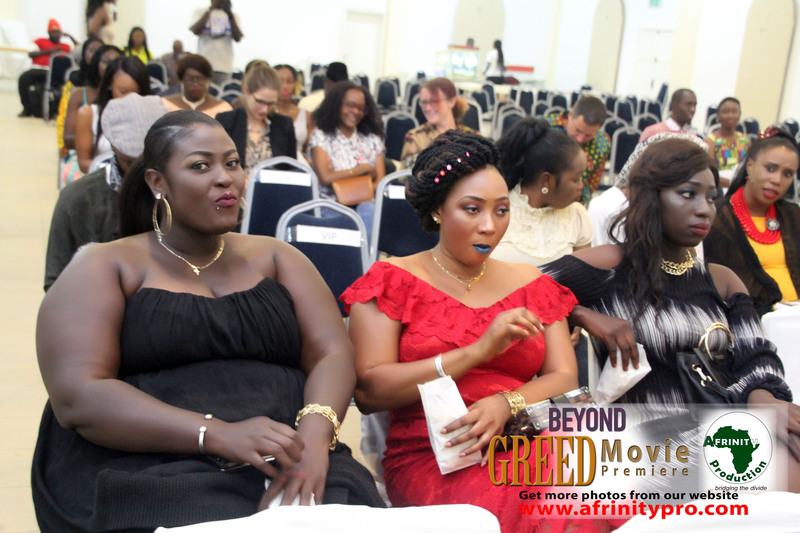 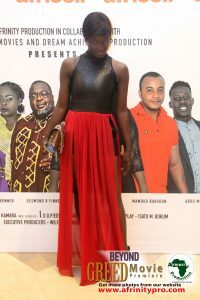 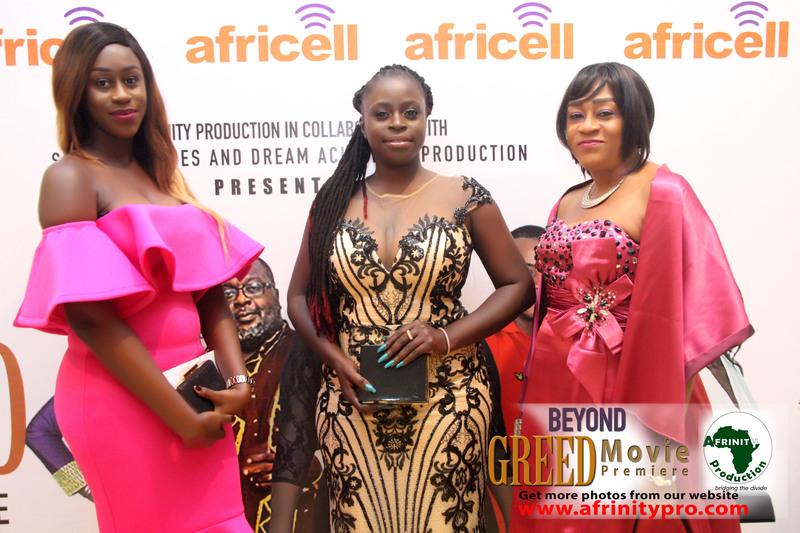 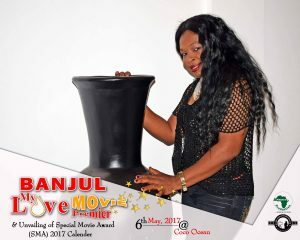 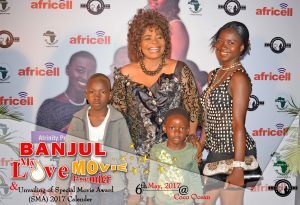 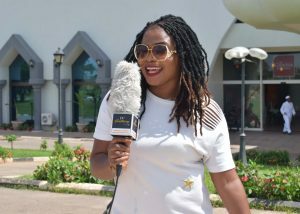 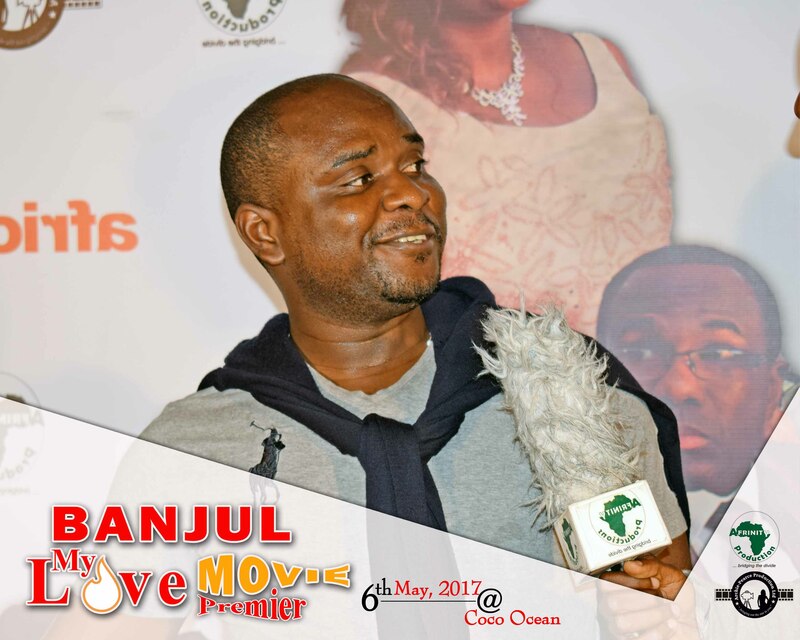 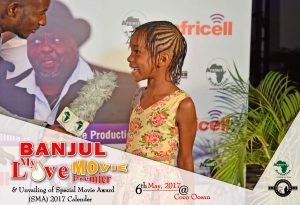 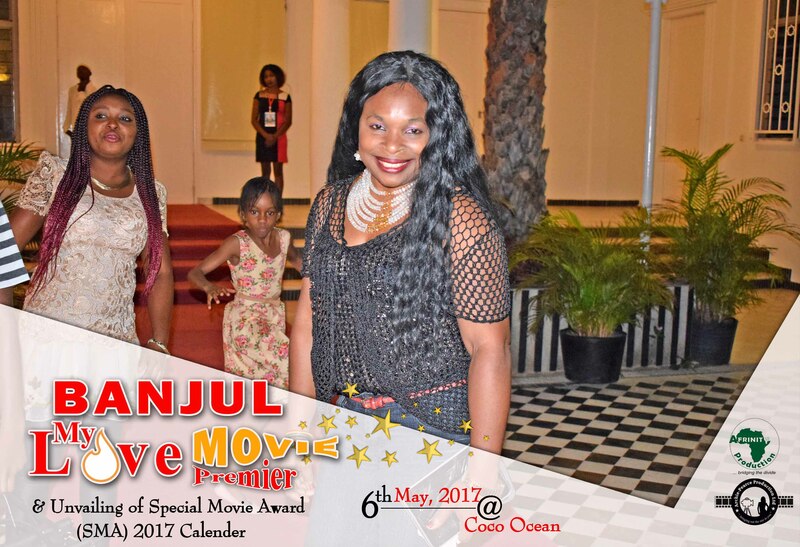 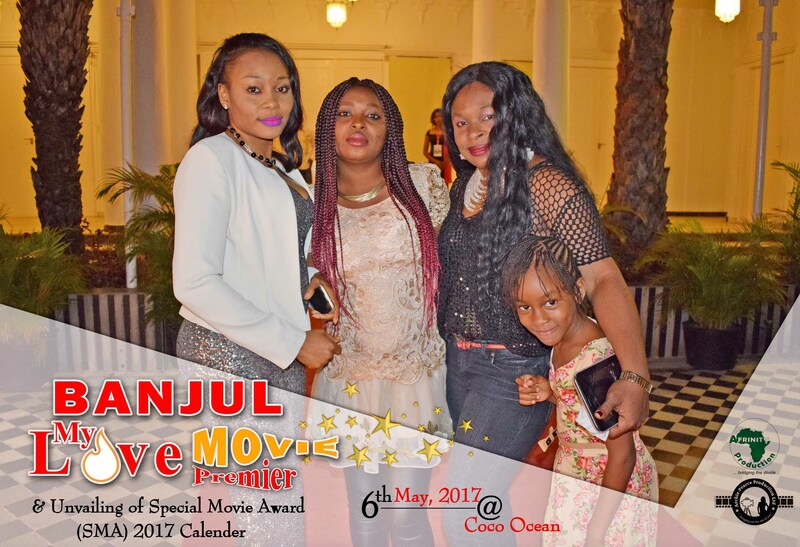 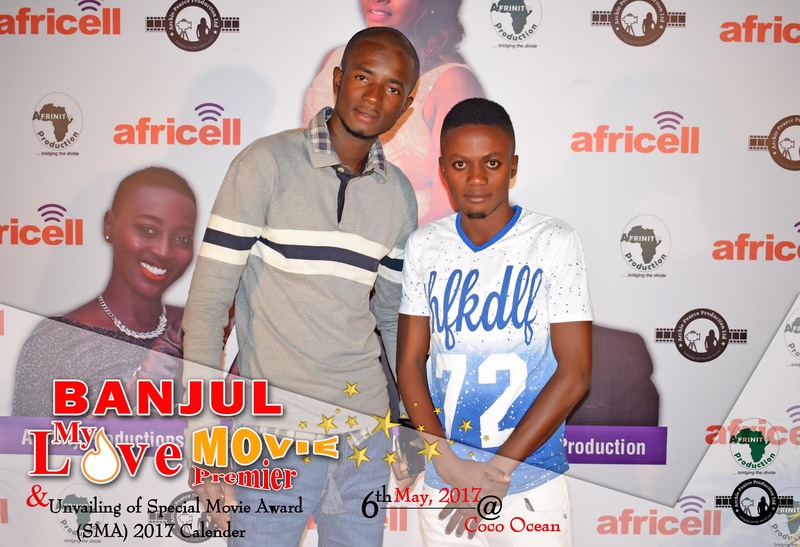 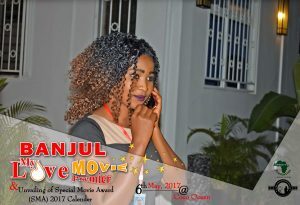 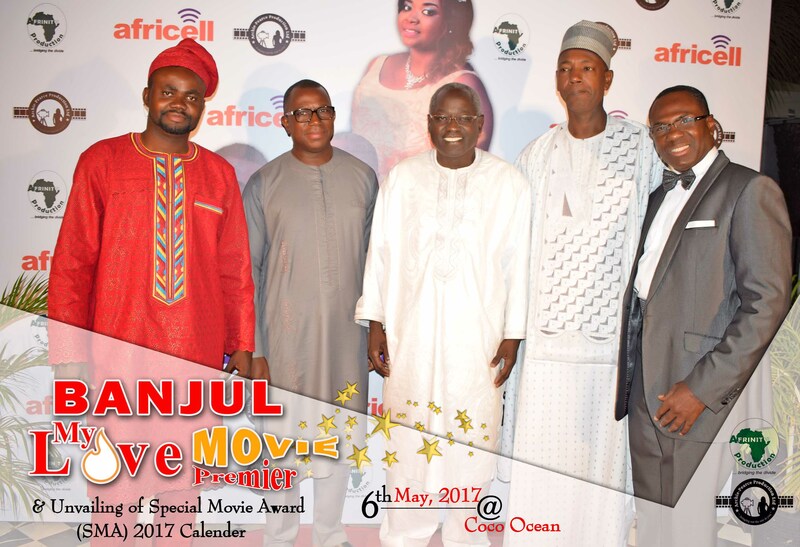 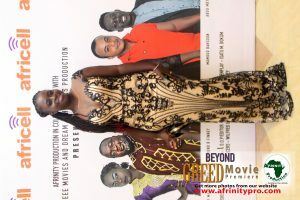 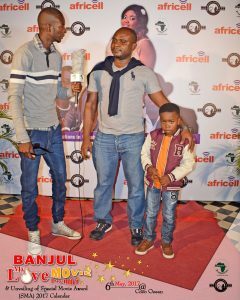 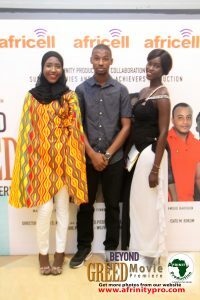 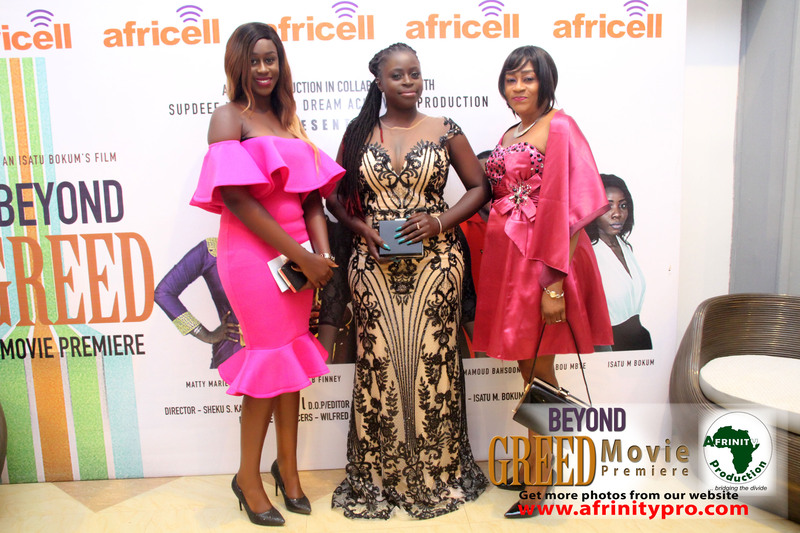 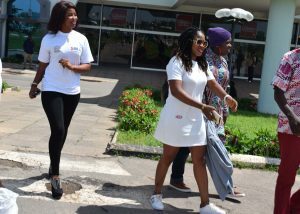 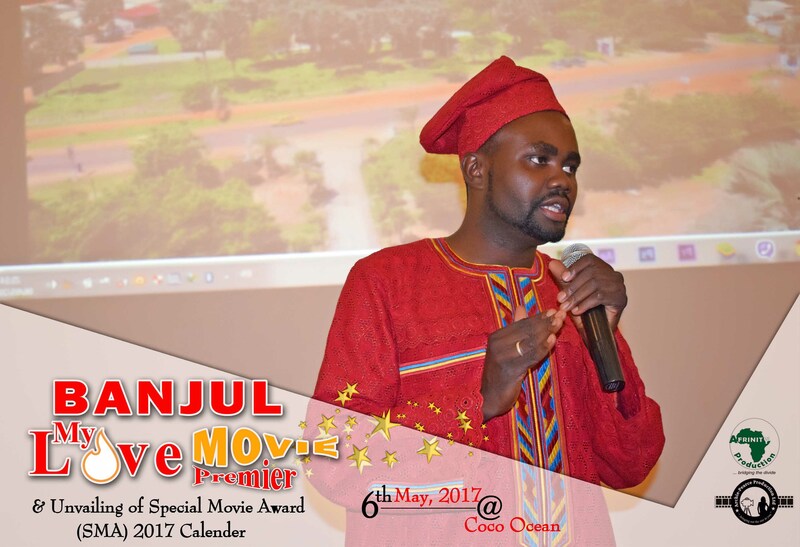 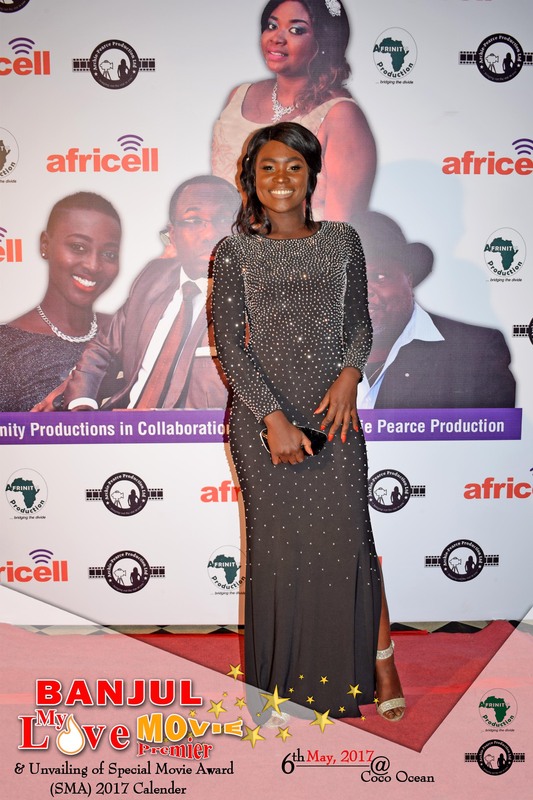 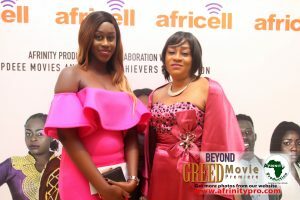 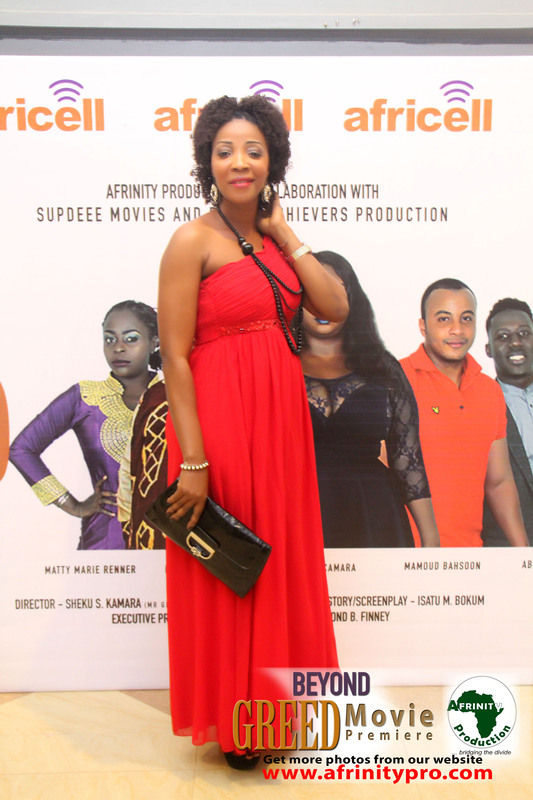 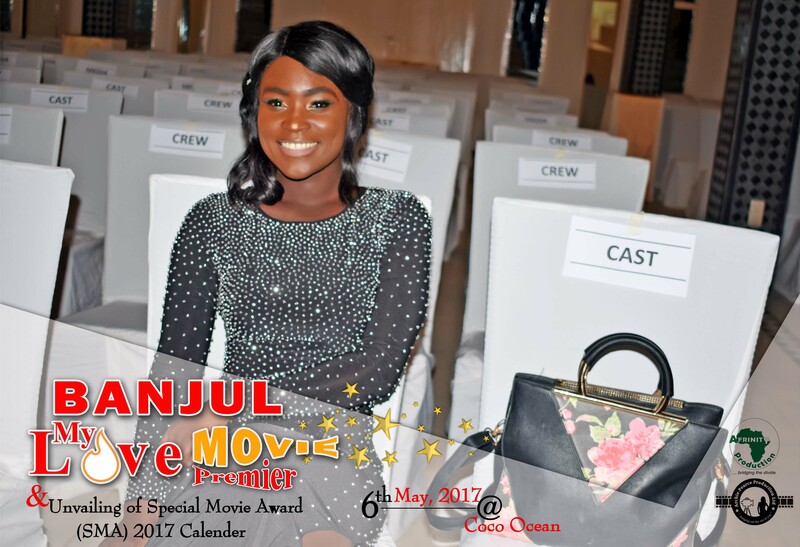 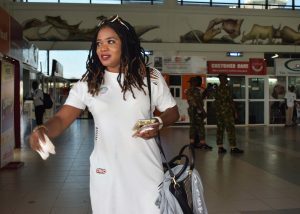 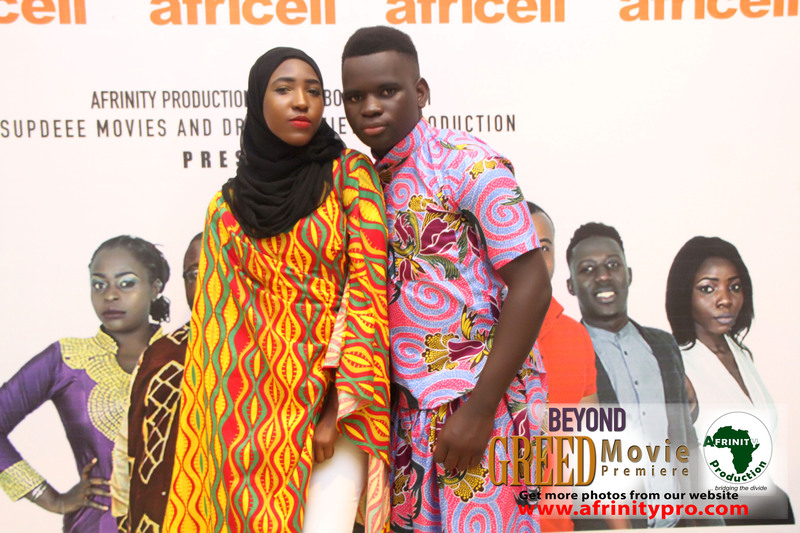 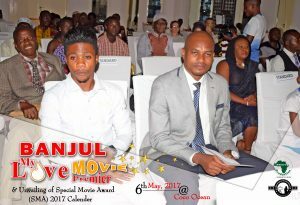 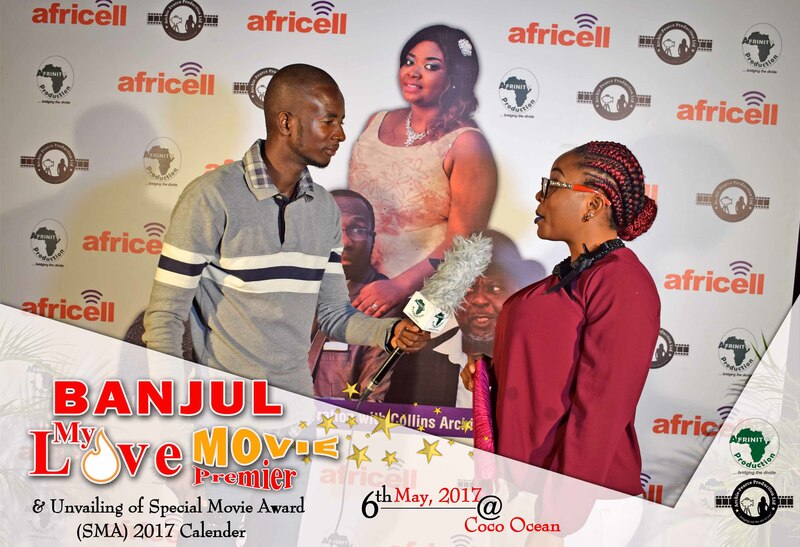 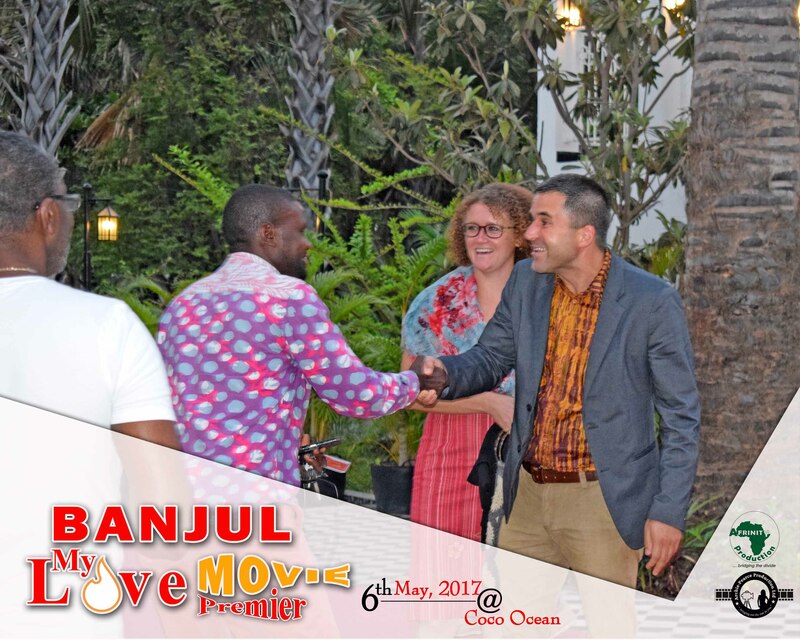 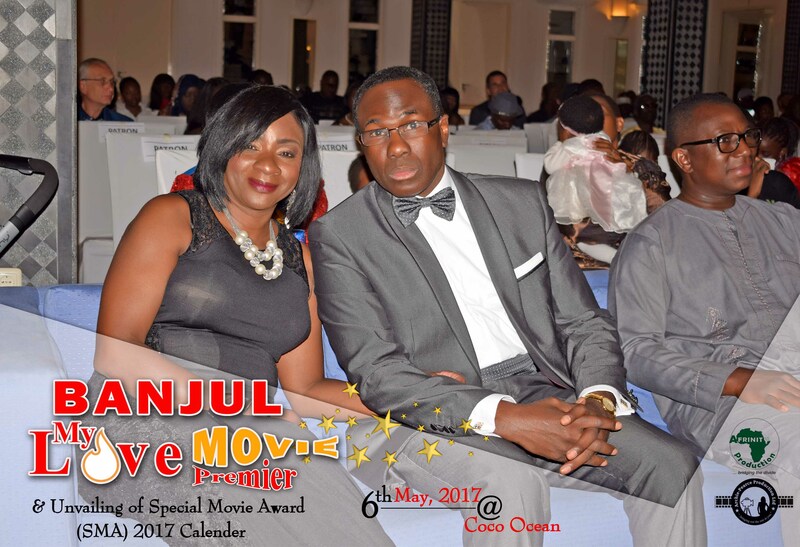 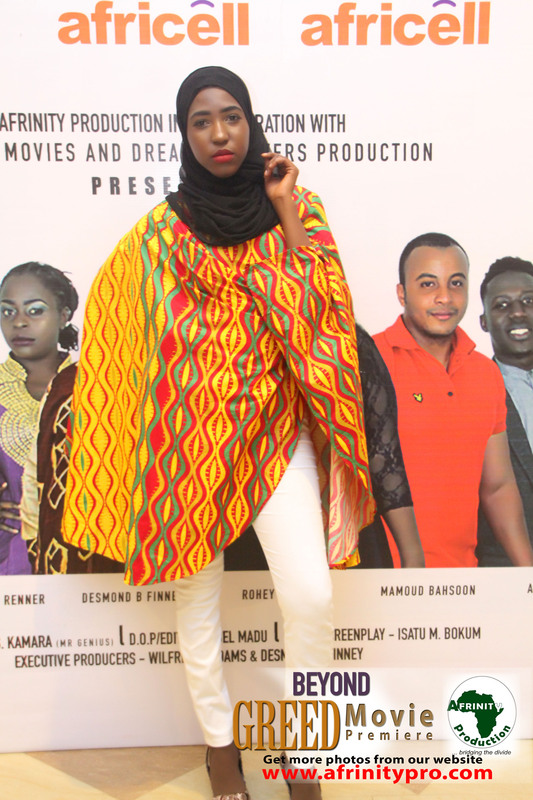 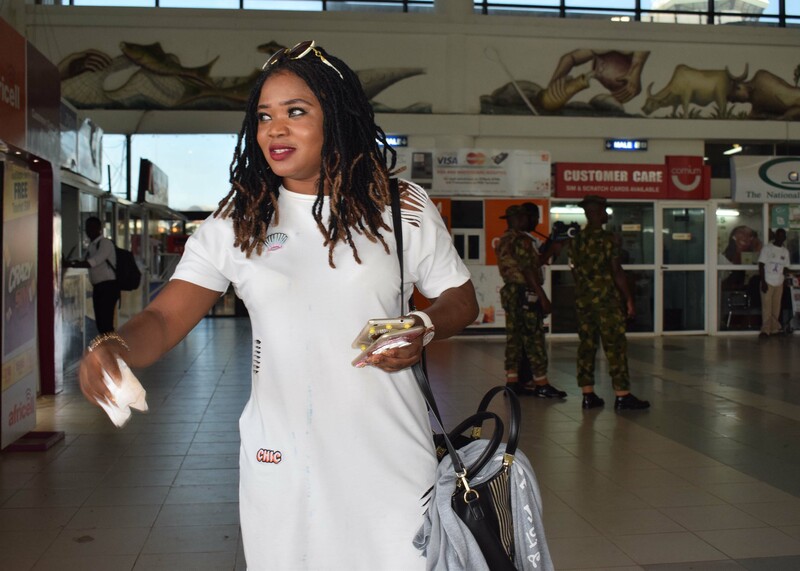 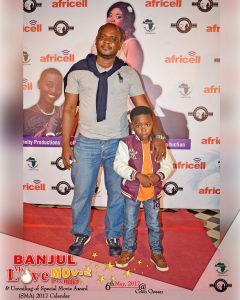 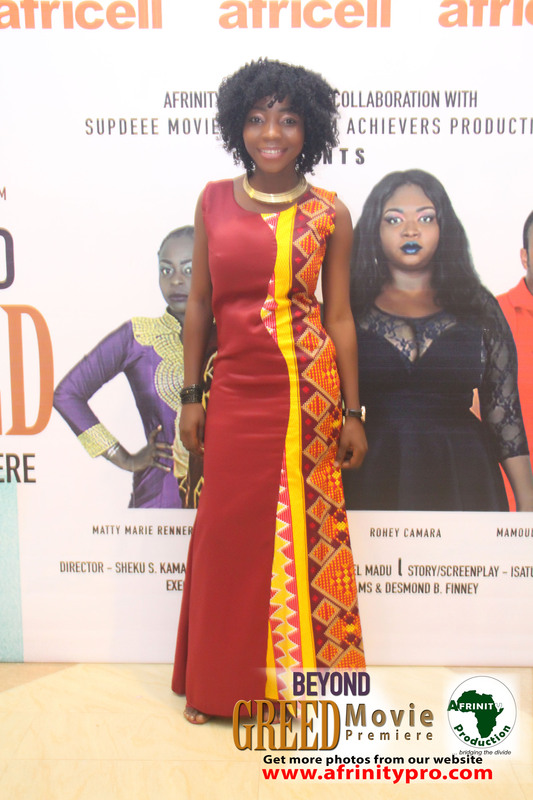 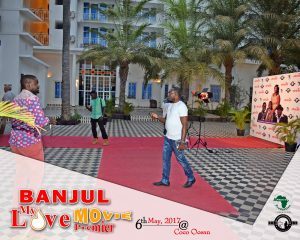 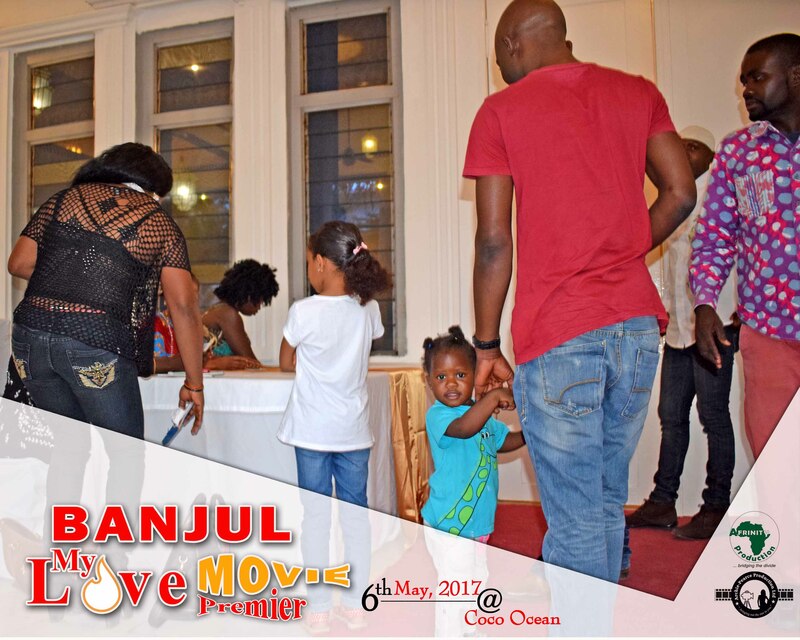 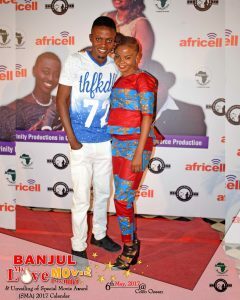 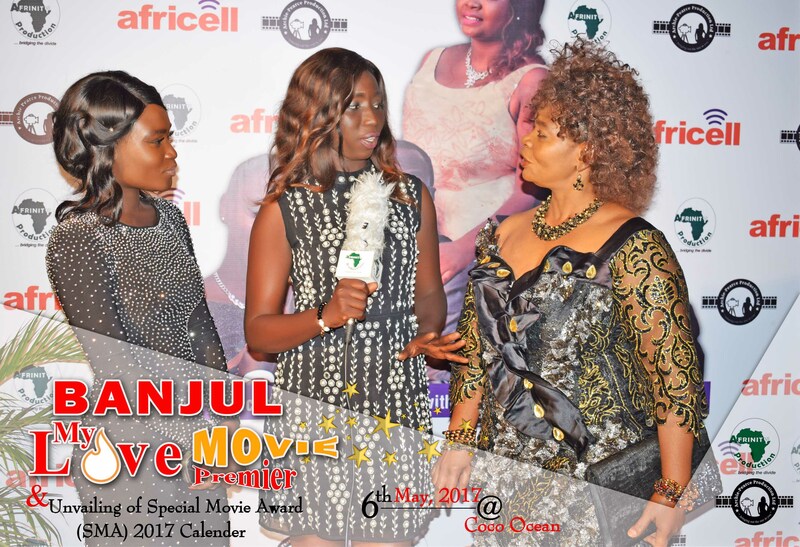 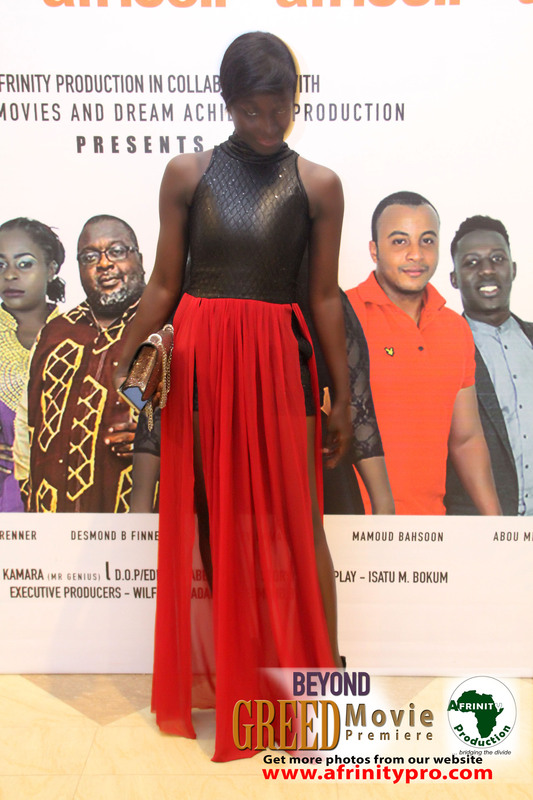 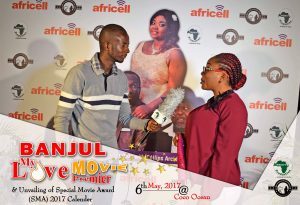 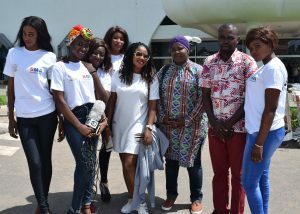 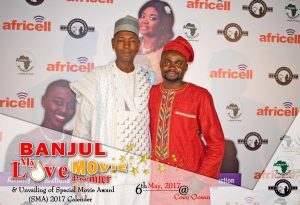 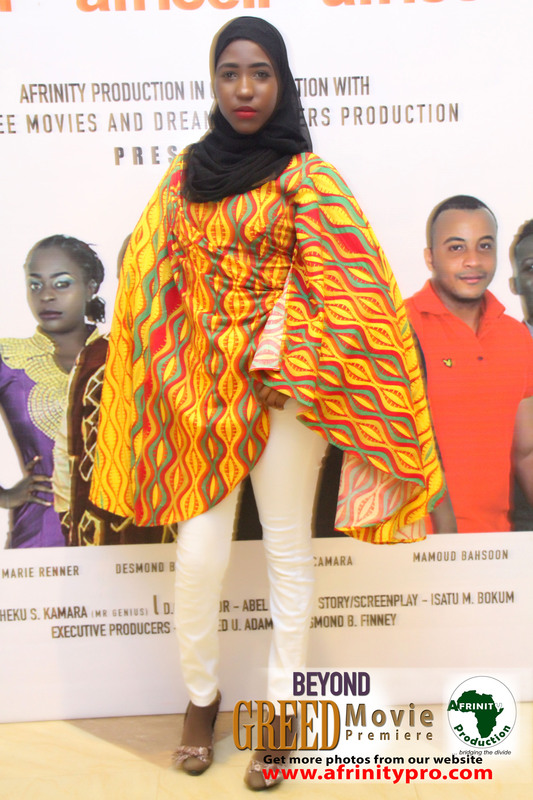 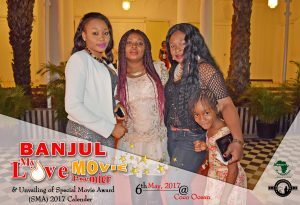 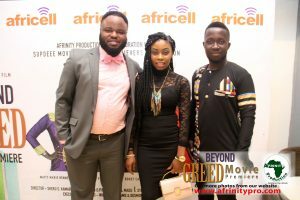 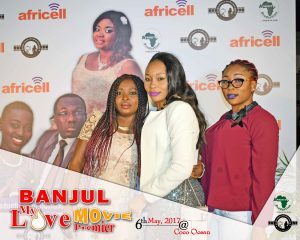 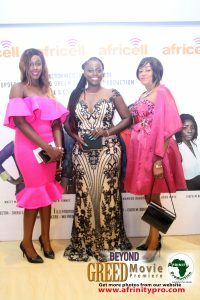 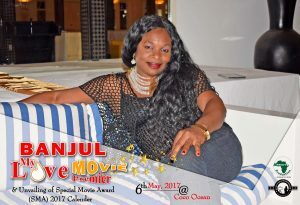 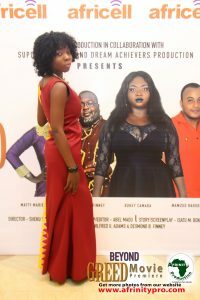 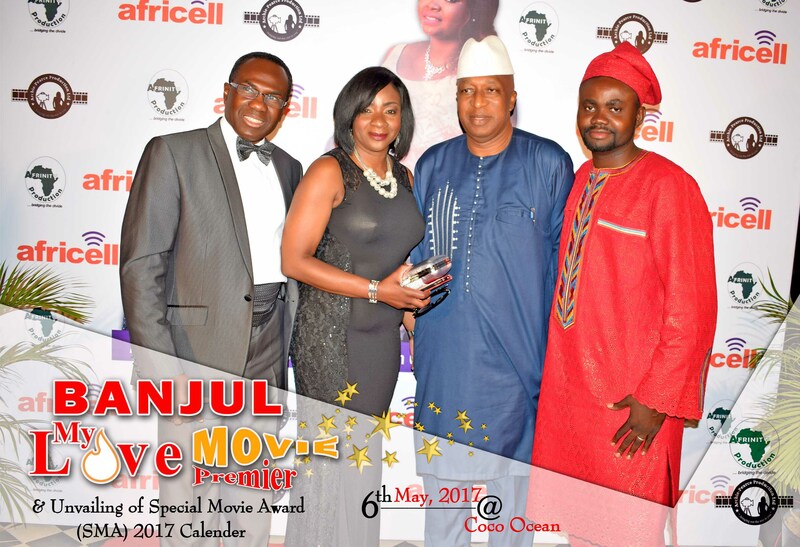 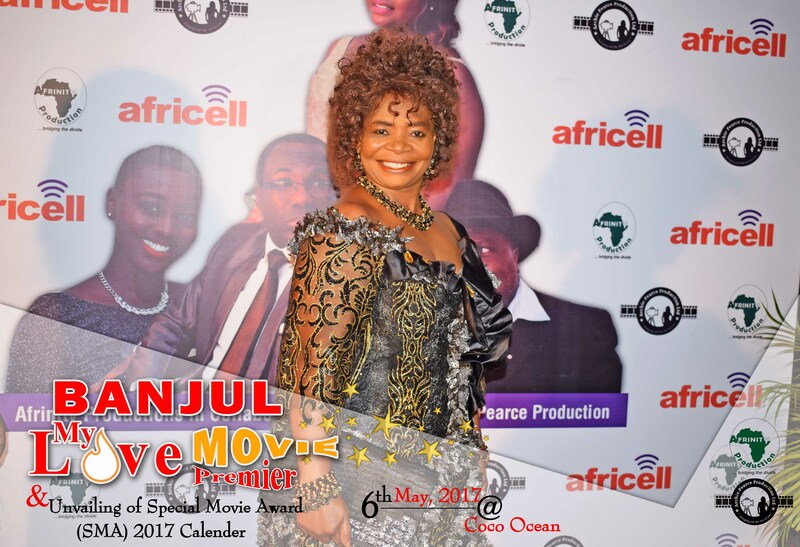 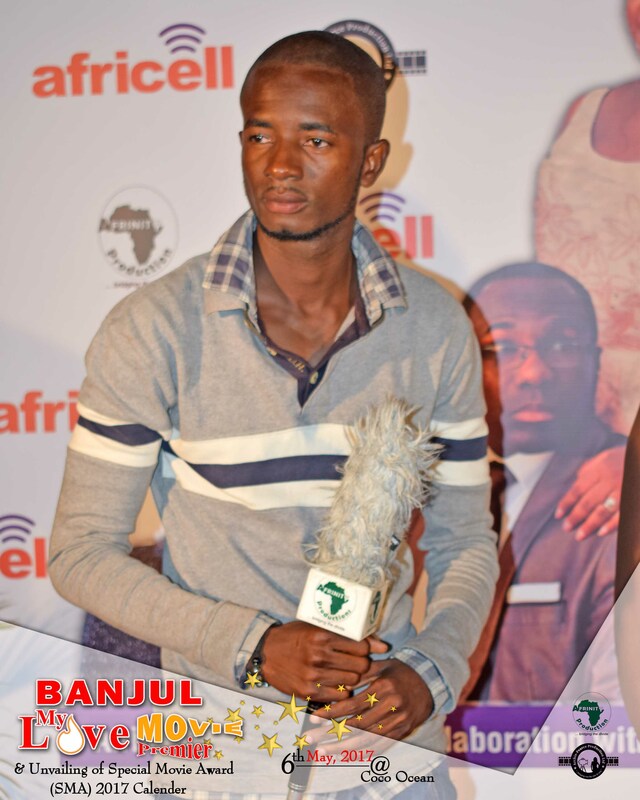 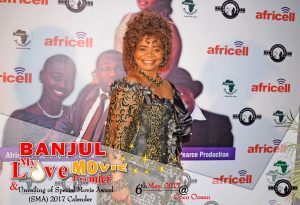 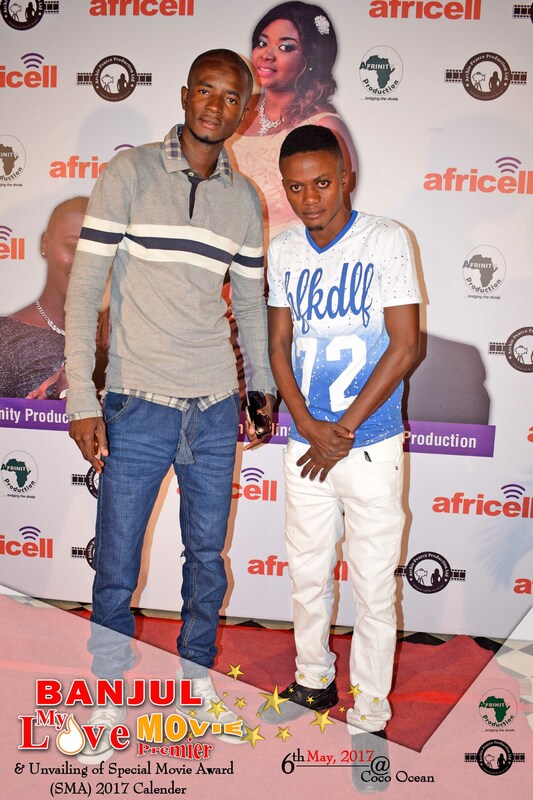 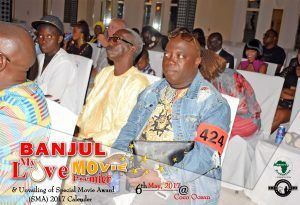 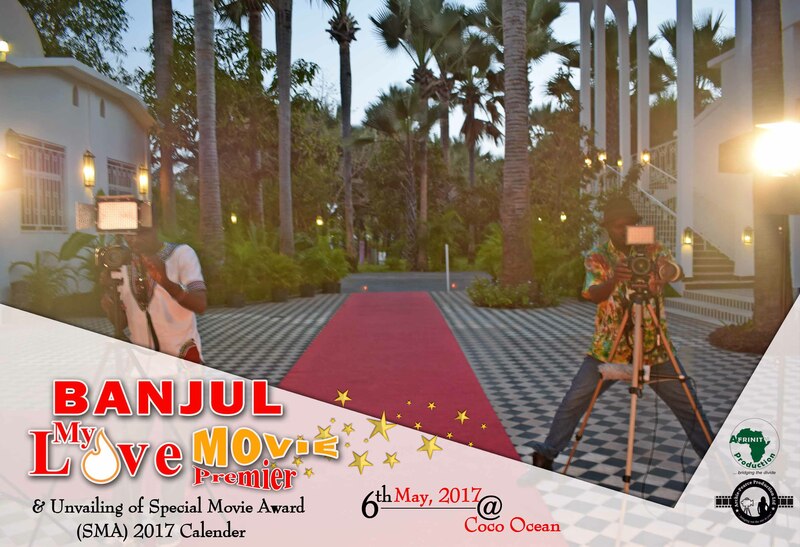 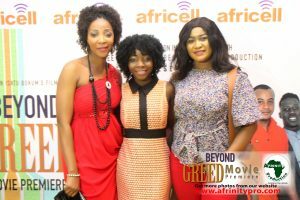 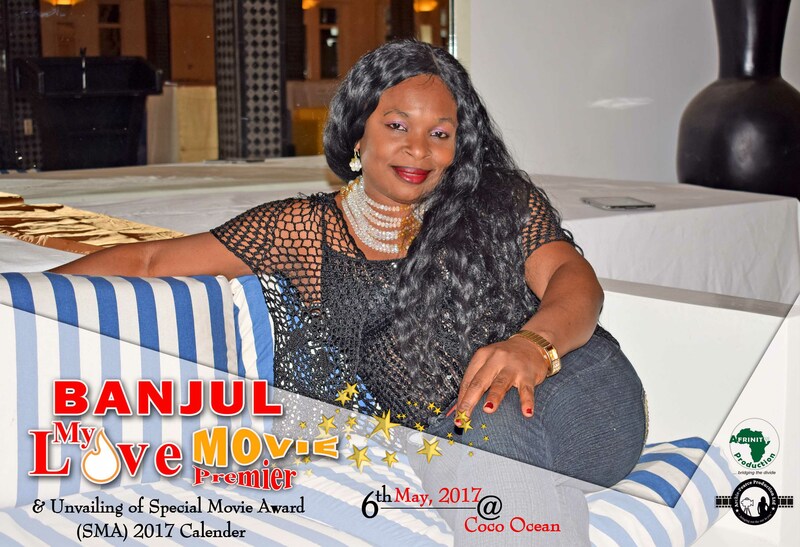 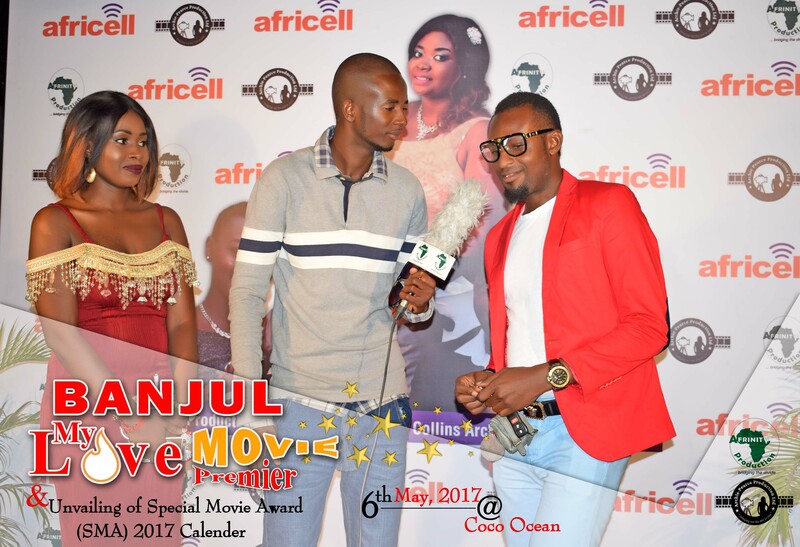 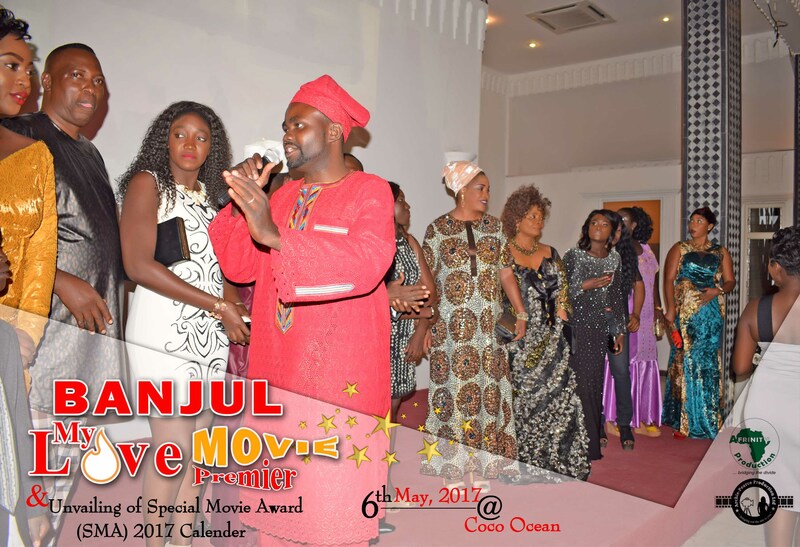 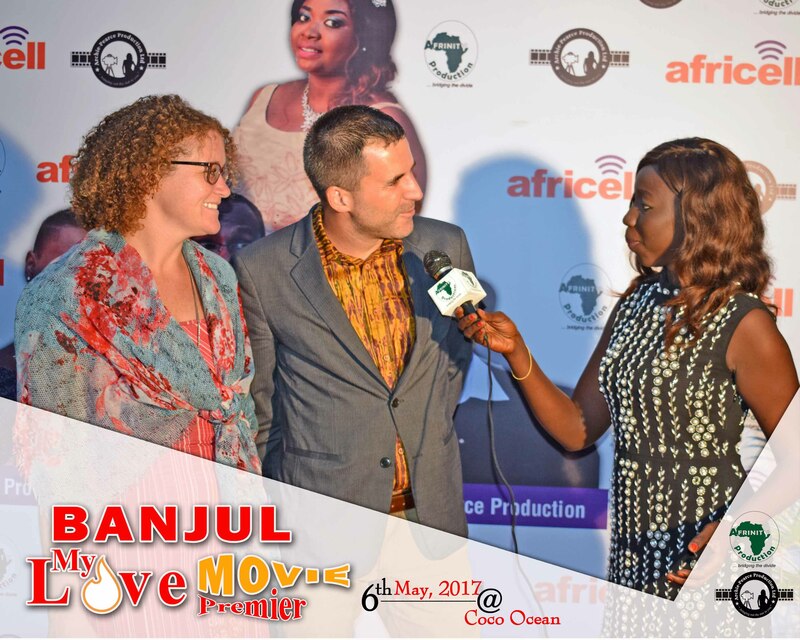 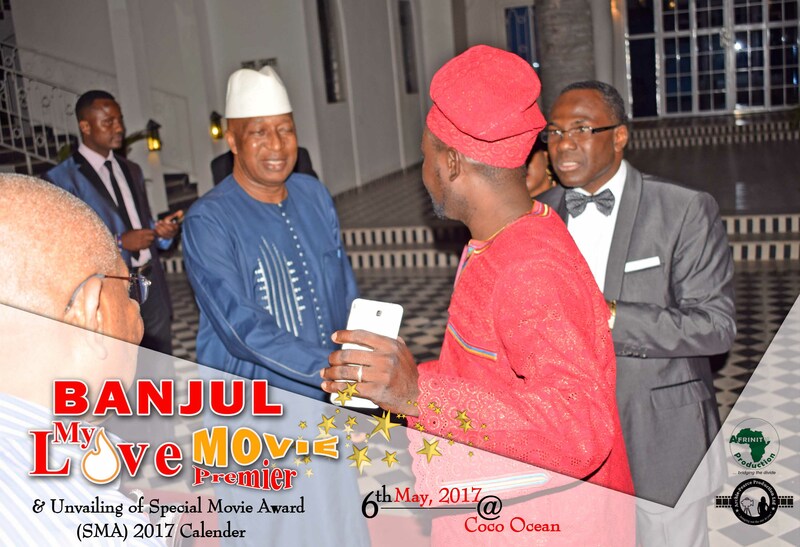 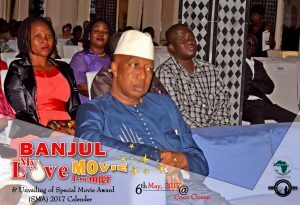 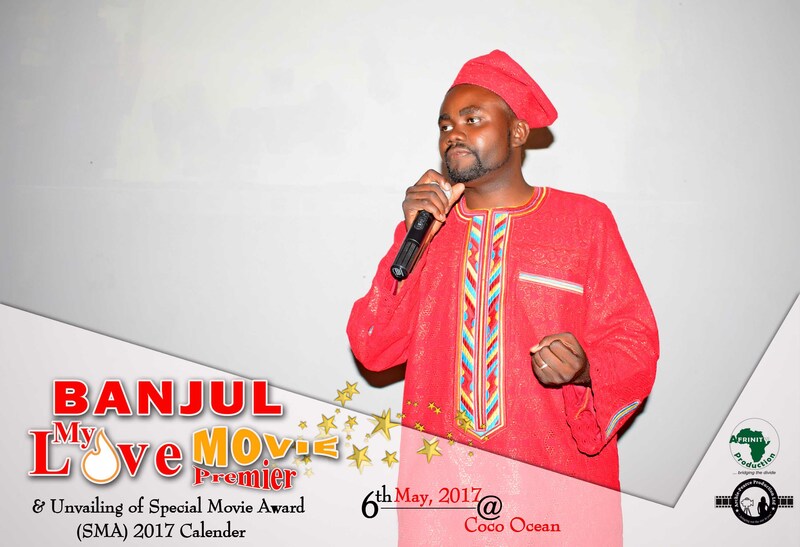 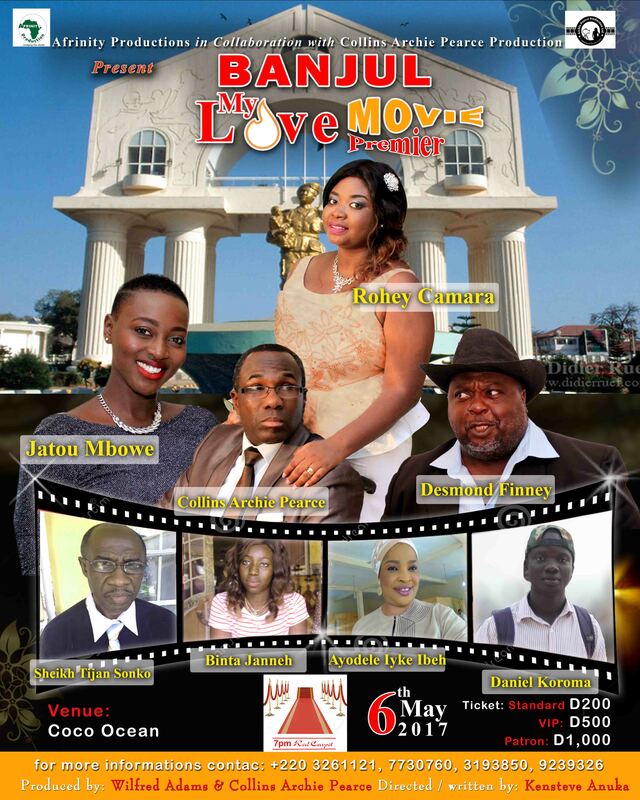 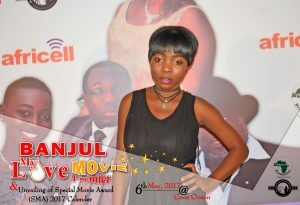 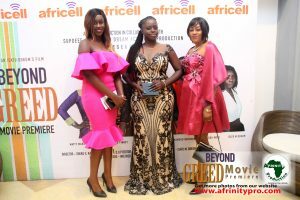 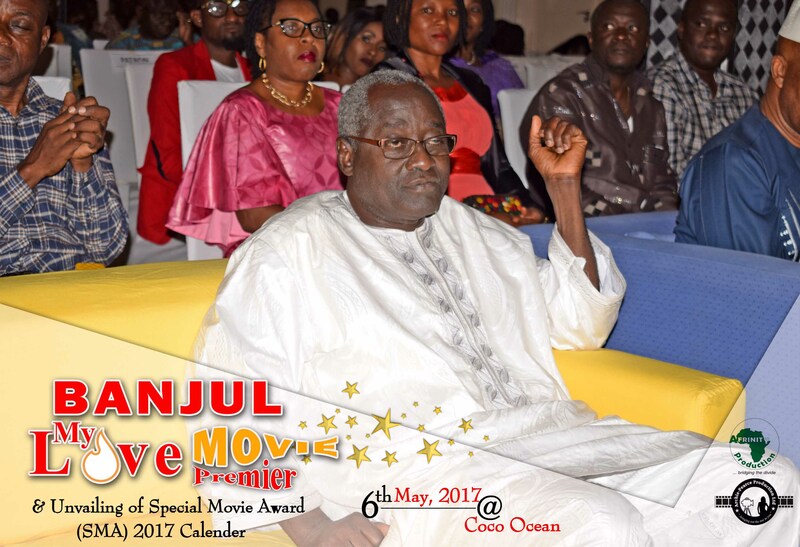 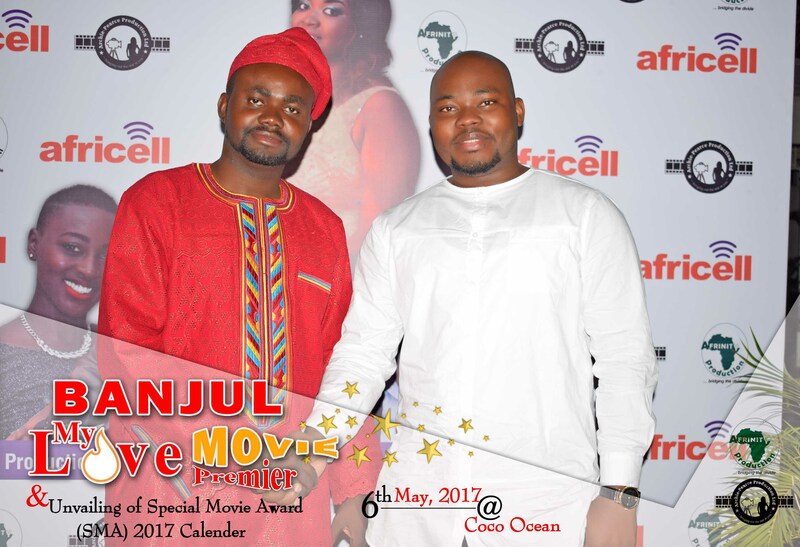 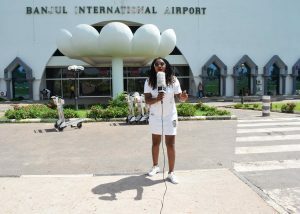 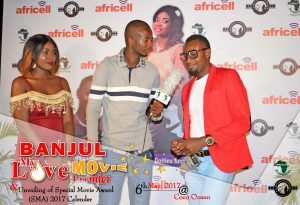 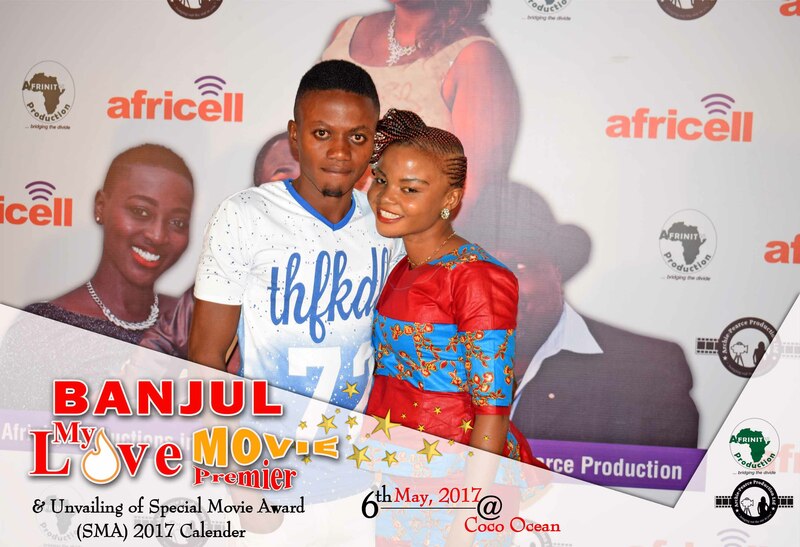 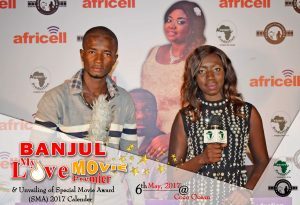 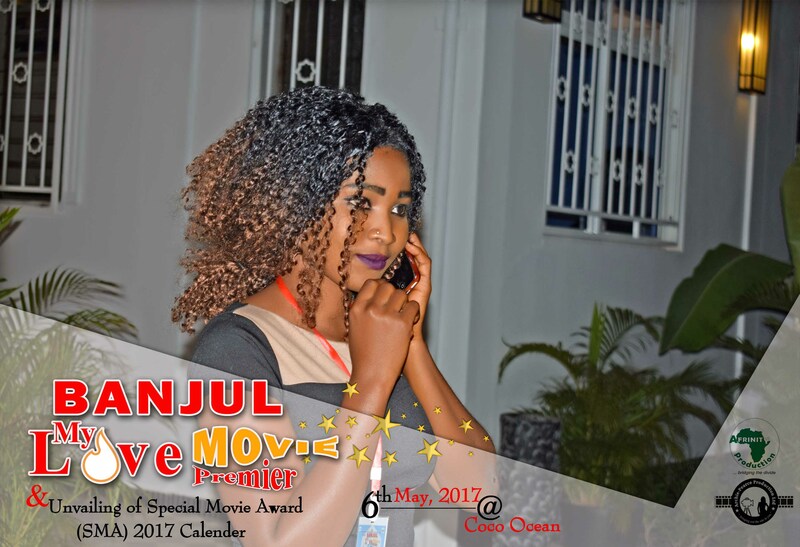 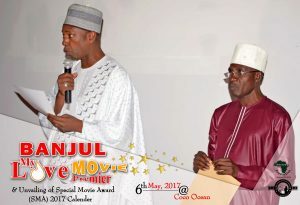 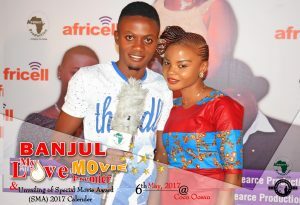 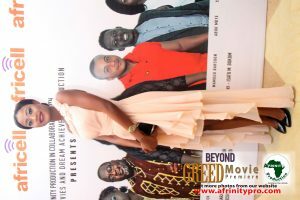 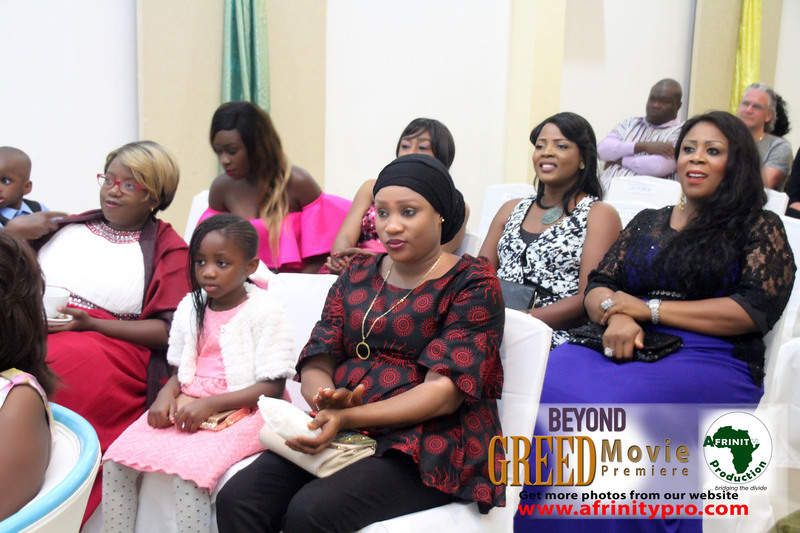 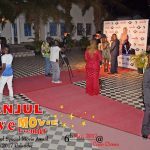 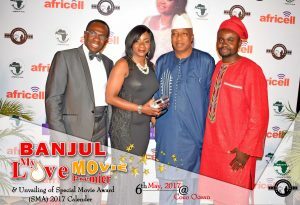 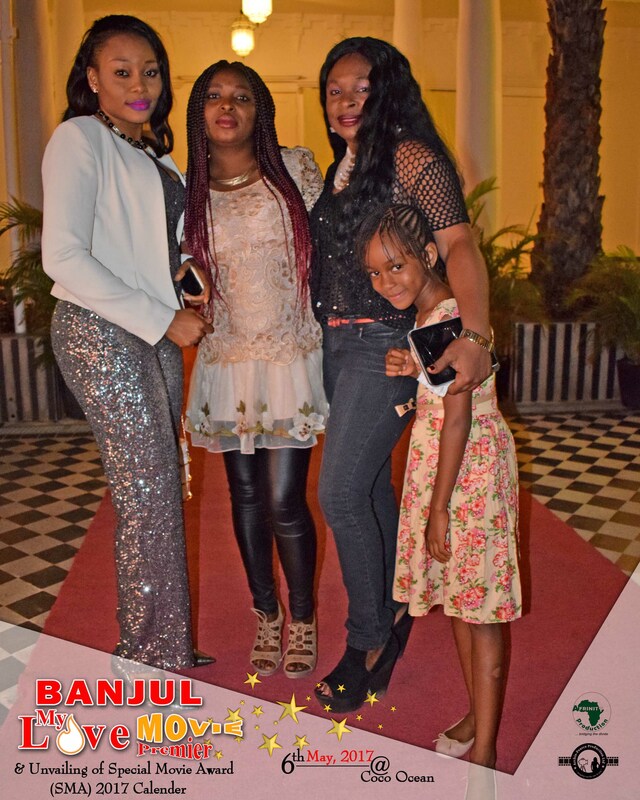 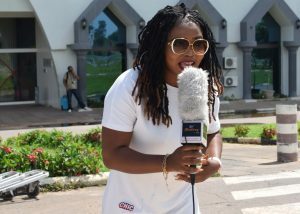 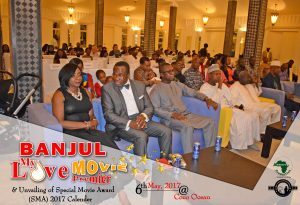 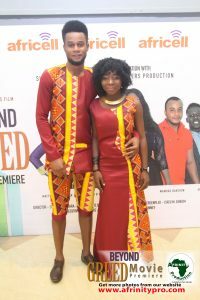 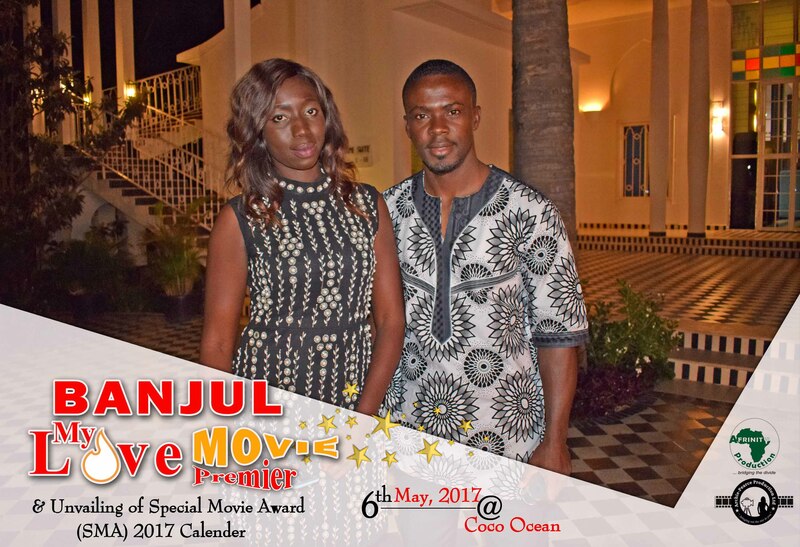 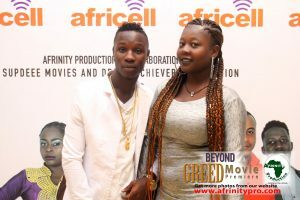 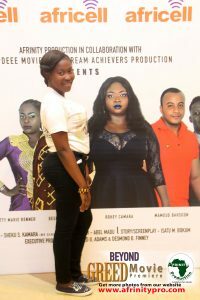 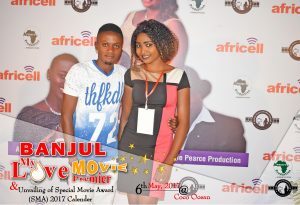 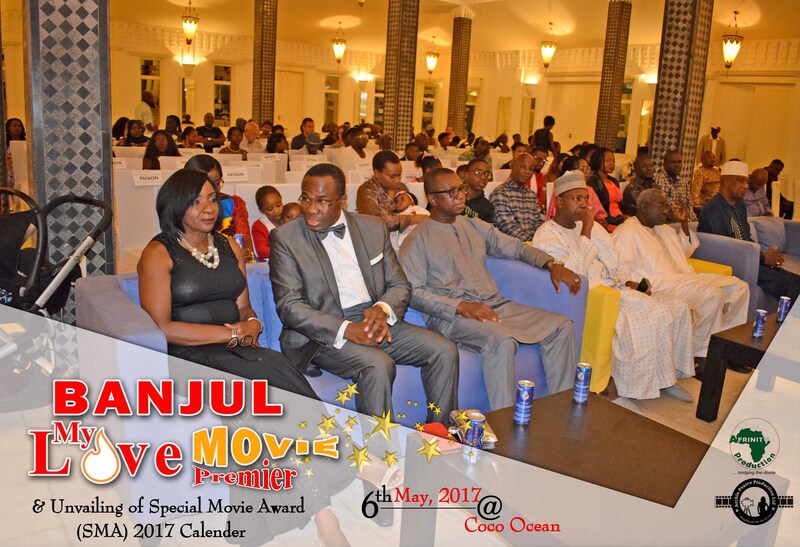 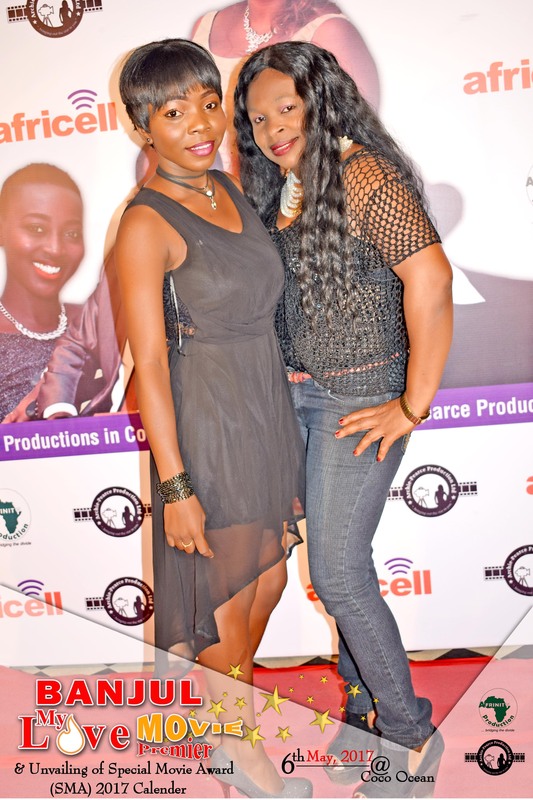 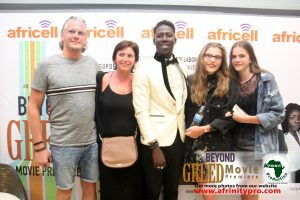 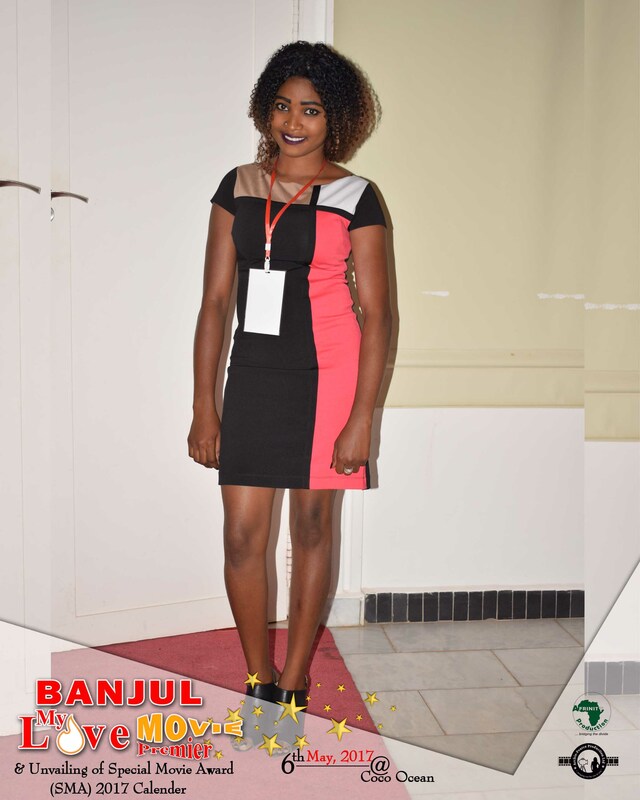 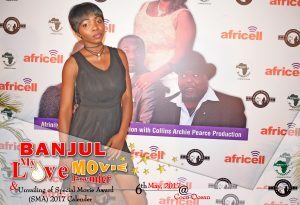 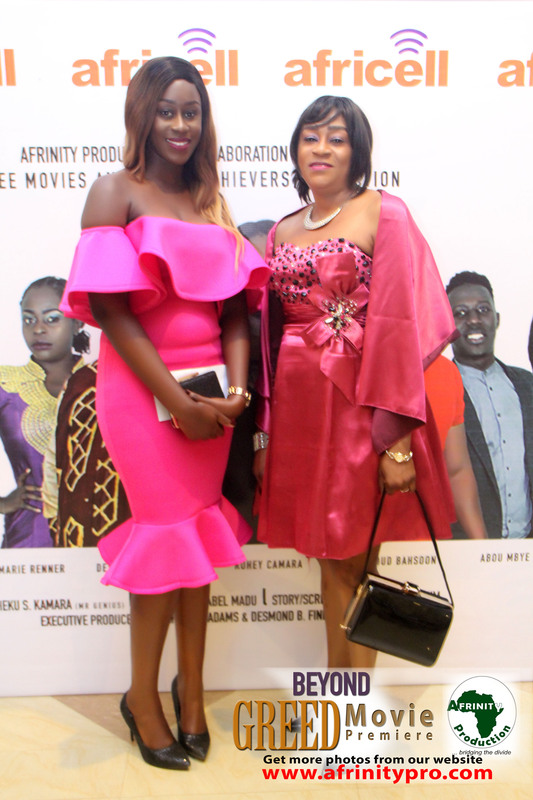 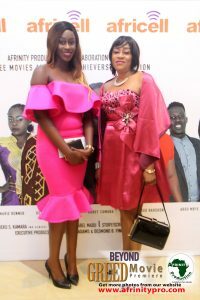 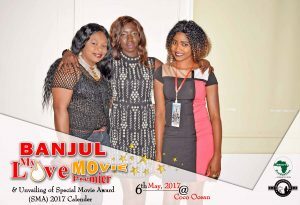 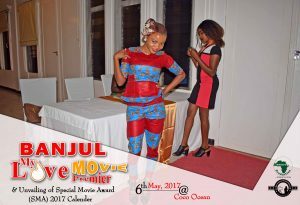 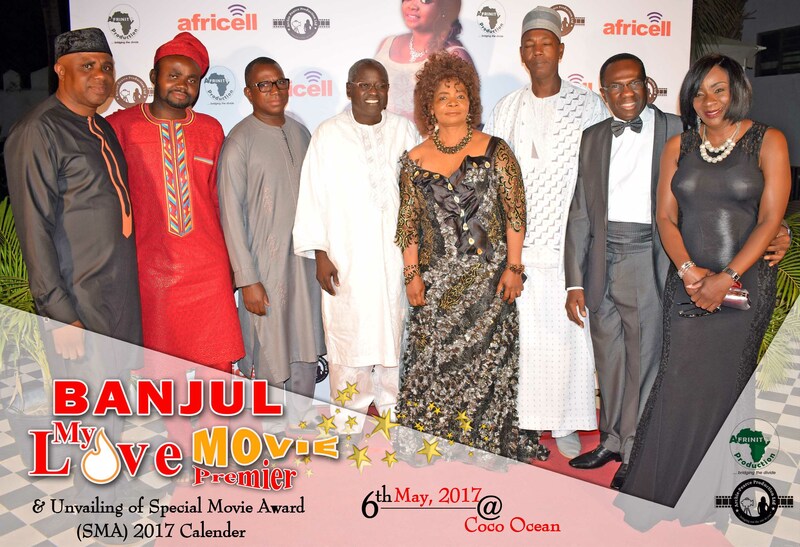 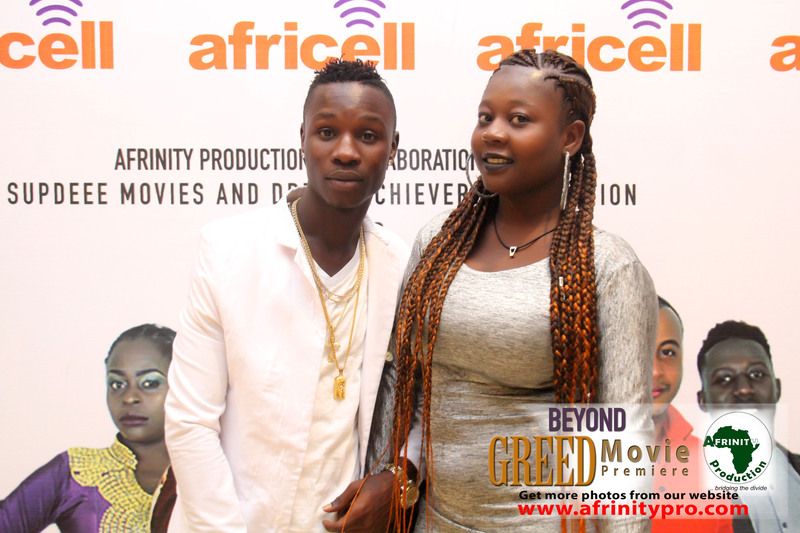 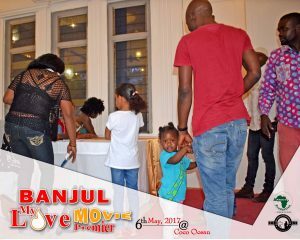 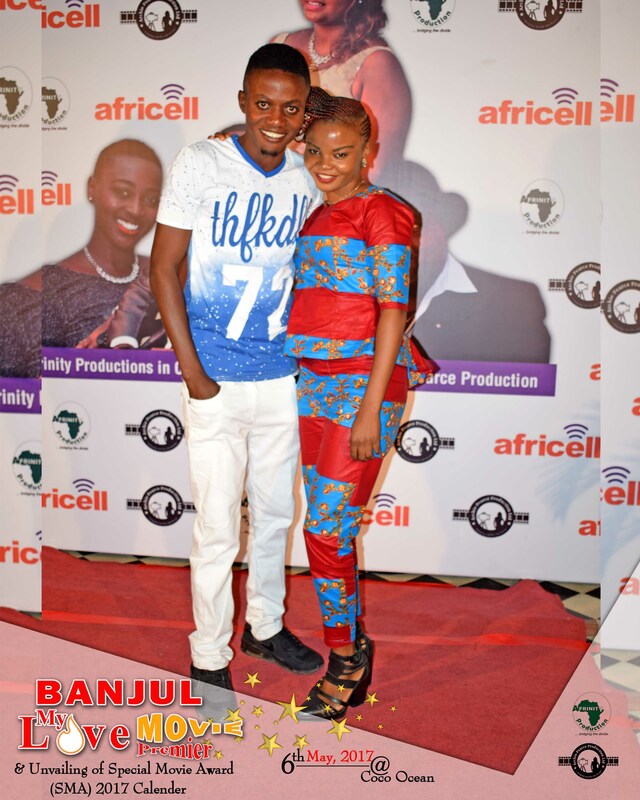 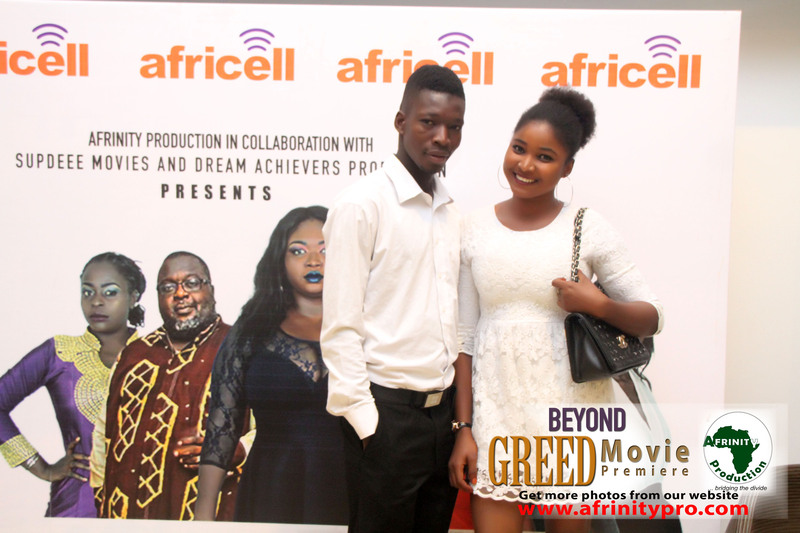 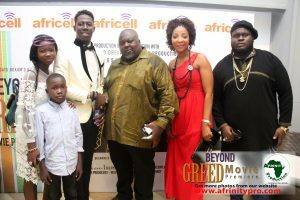 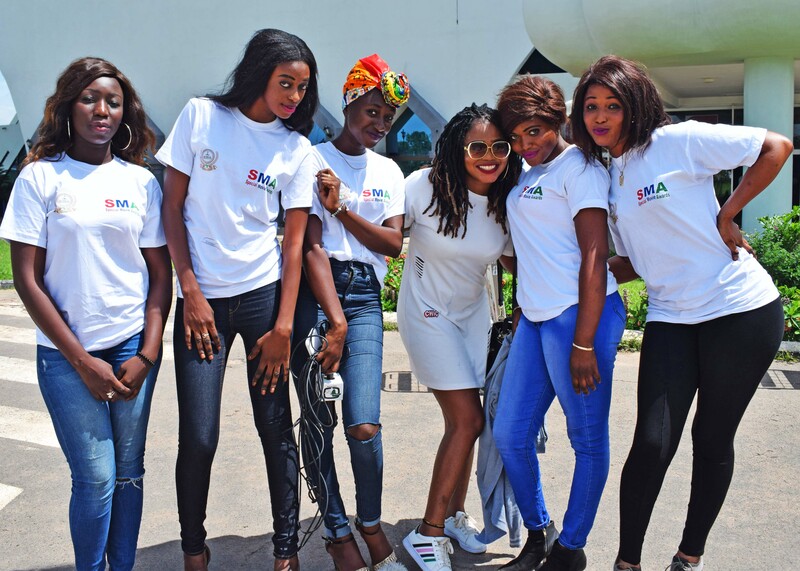 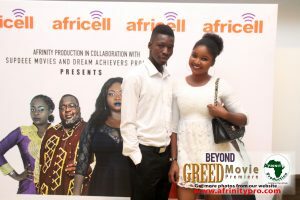 The Premiere of the most talked about movie “Banjul My Love” went down successfully at the prestigious Coco Ocean Resort and Spa on Saturday 6th May 2017. 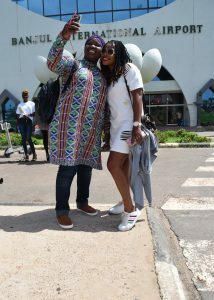 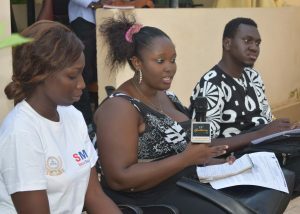 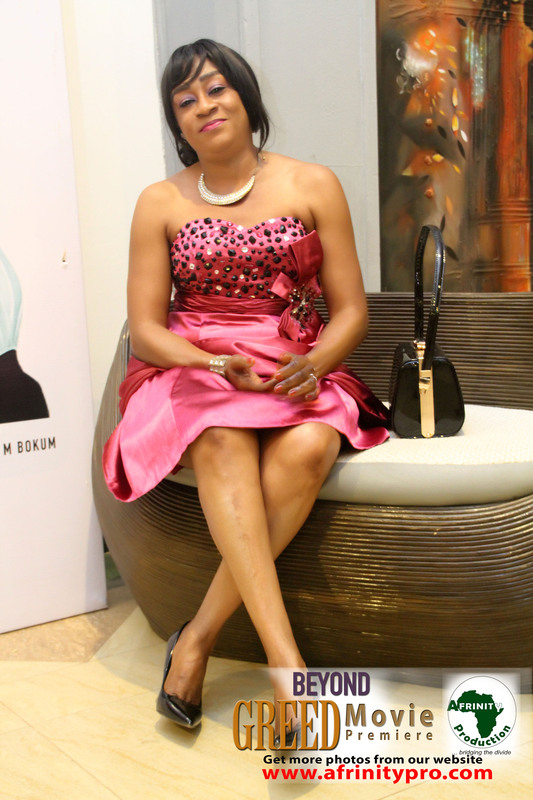 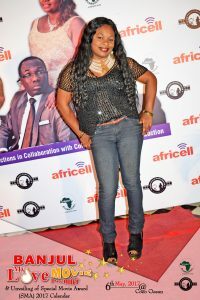 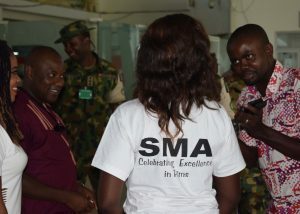 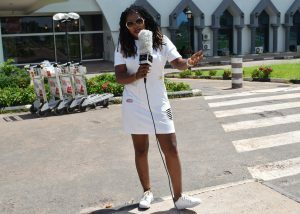 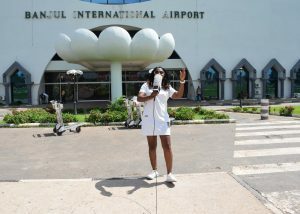 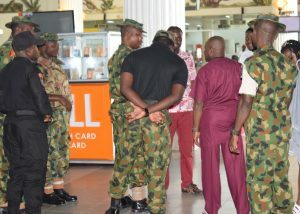 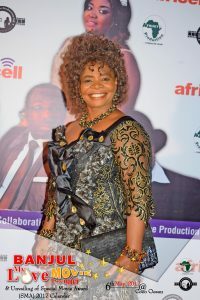 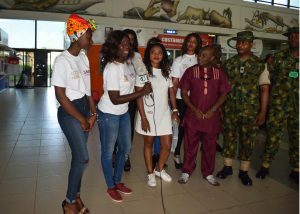 The entire venue was jammed packed with people of different caliber dignitaries, actors and actresses, film makers etc. 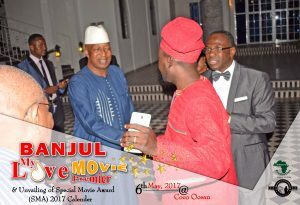 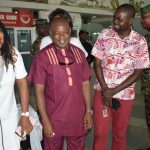 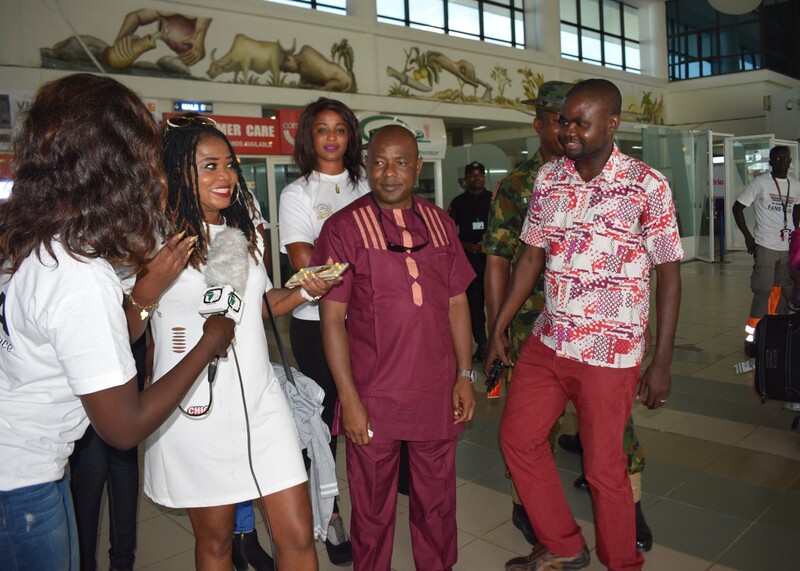 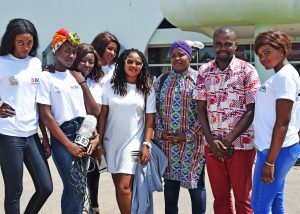 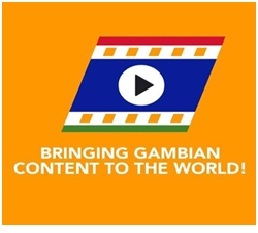 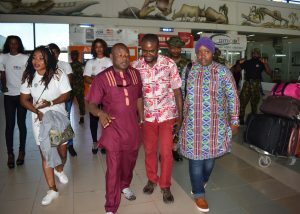 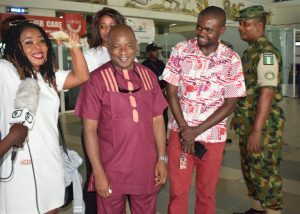 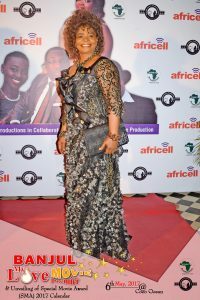 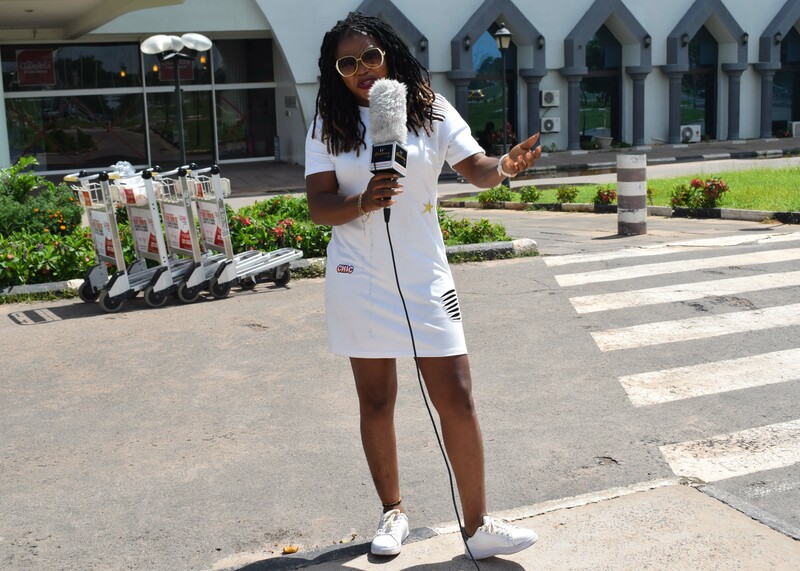 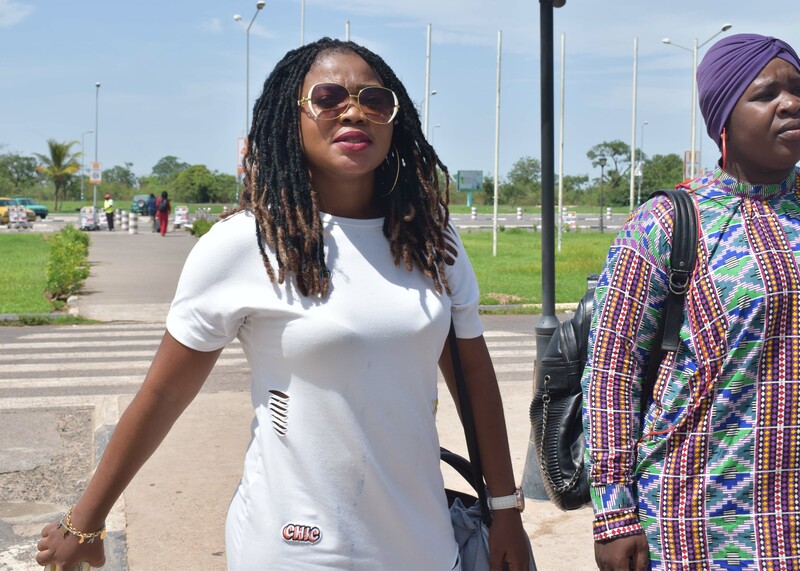 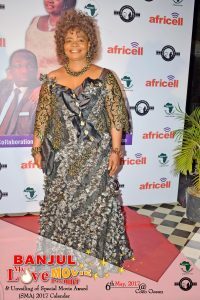 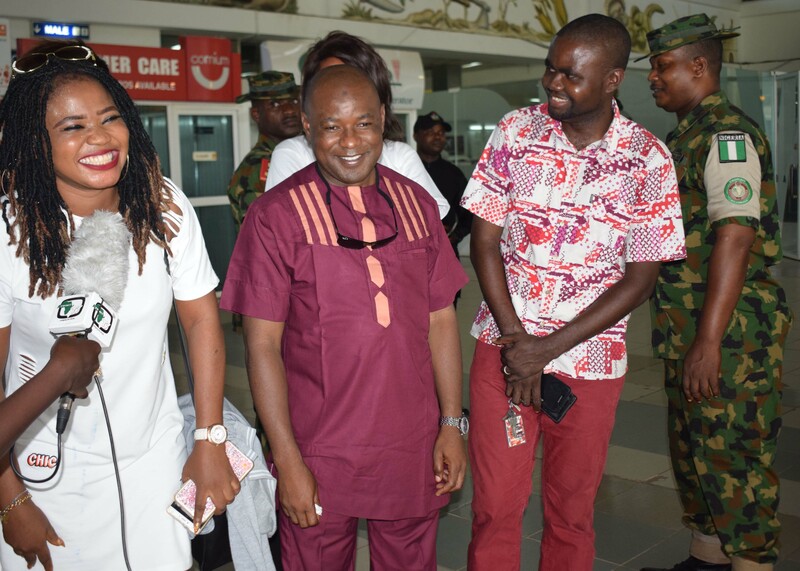 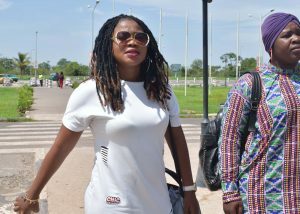 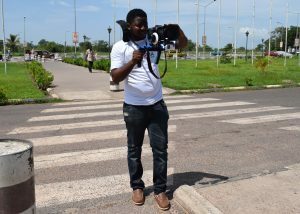 The opening statement was done by the Producer of Special Movie Awards 2016, Shiekh Tijan Sonko who recognized in his speech the presence of the Minister of Tourism and Culture Honourable Hamat Bah who ably represented The President of The Republic of The Gambia, His Excellency Adama Barrow. The Secretary General of P.D.O.I.S Honourable Halifa Sallah a National Assembly Member, Ambassador of Sierraleone Honourable Sulayman Daramy and his delegates from the embassy and Chief Executive Officer of The Gambia Chambers of Commerce and Industry Mr. Alieu Secka were all present for the premiere. 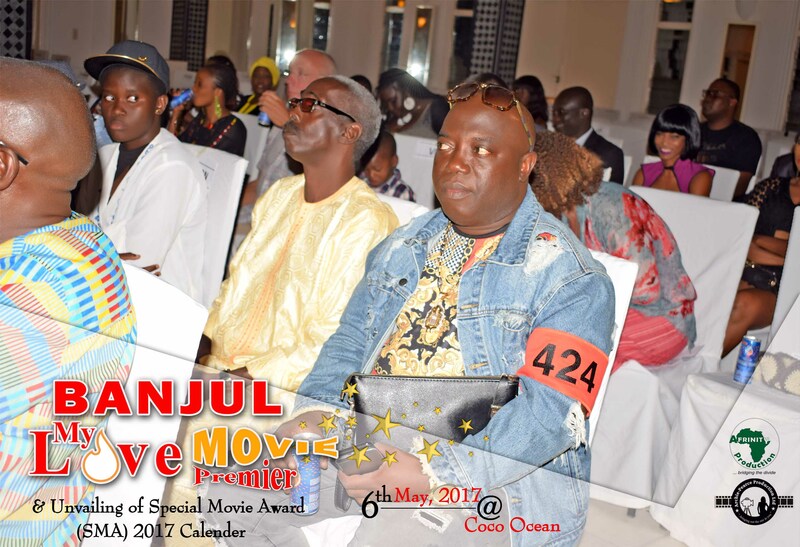 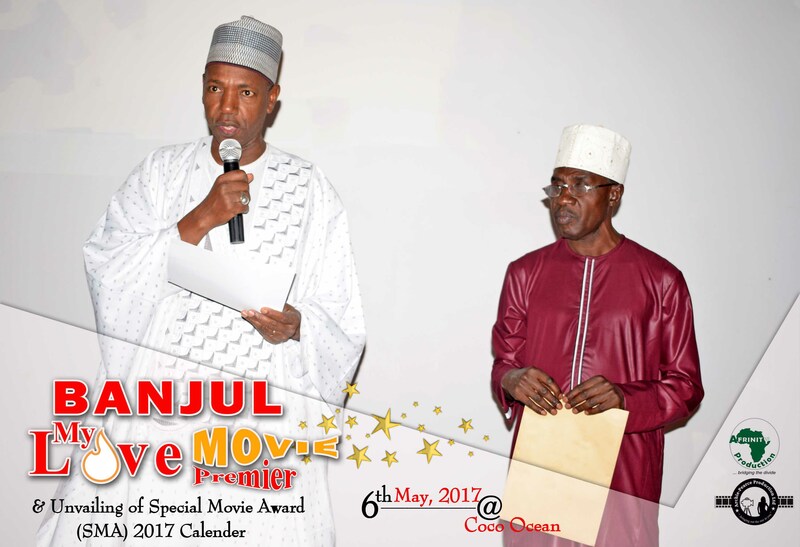 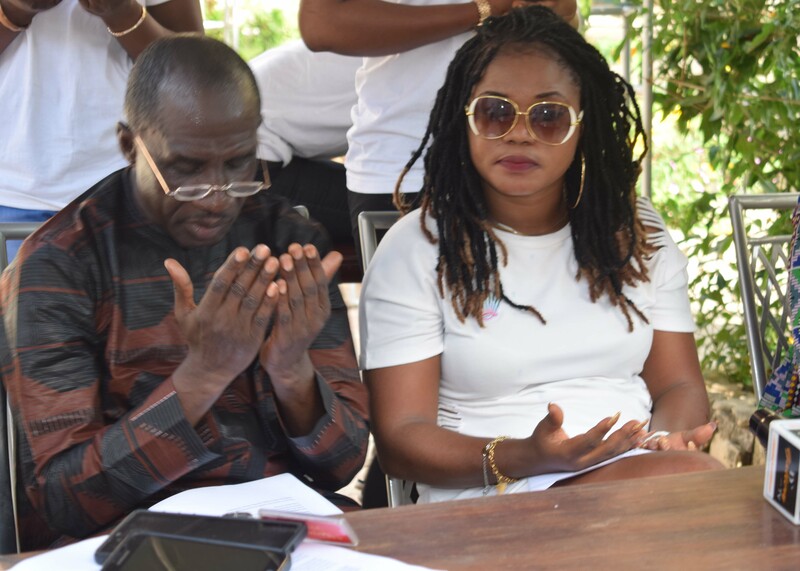 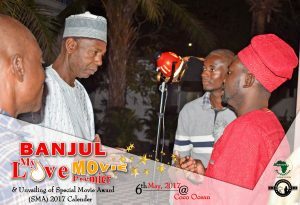 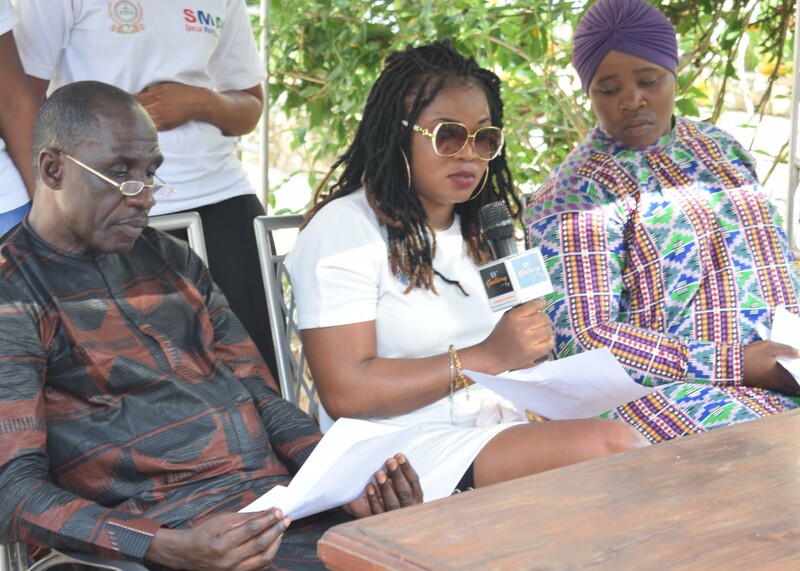 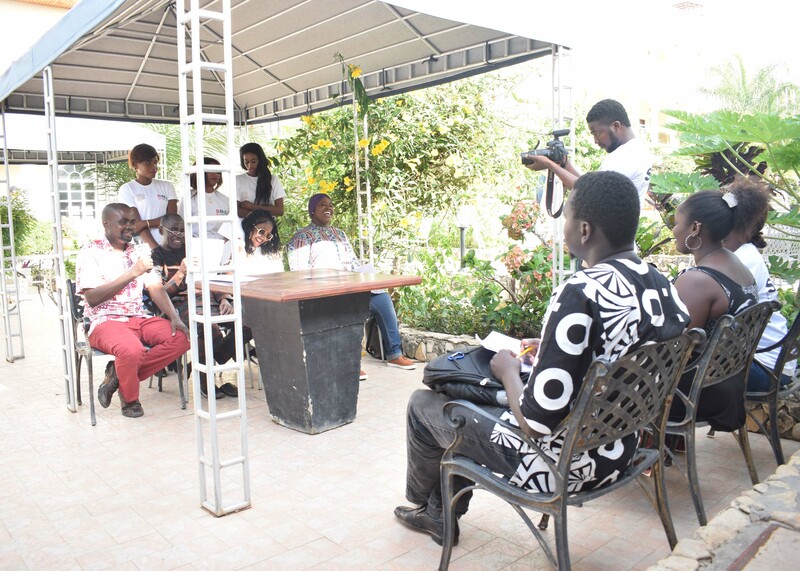 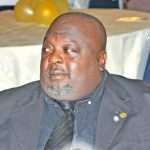 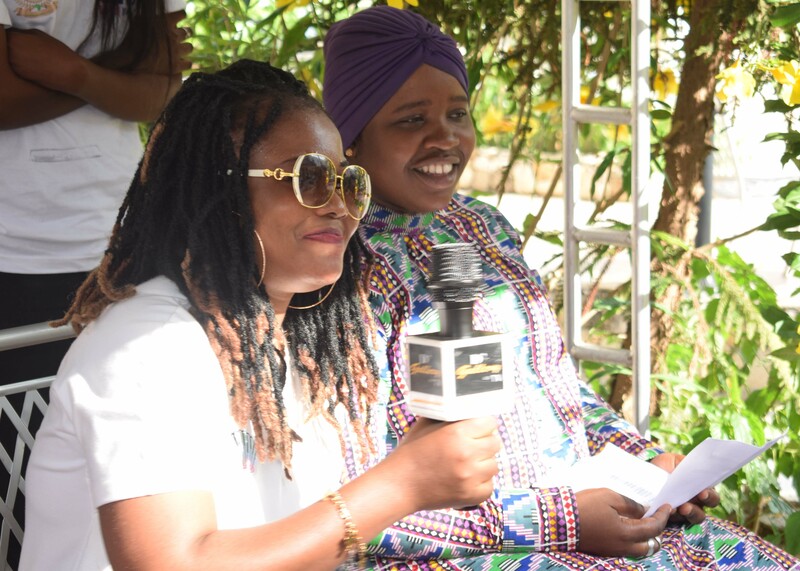 The calendar for 2017 Special Movie Awards was unveiled by Honourable Hamat Bah who emphasized on the importance of the award and its relevance in the film industry of The Gambia. 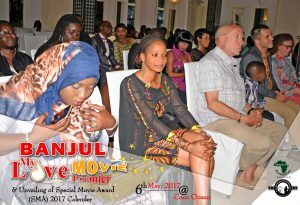 The unveiling of the calendar geared towards informing film makers of the road map for the awards this year. 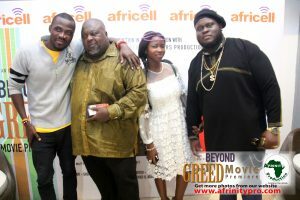 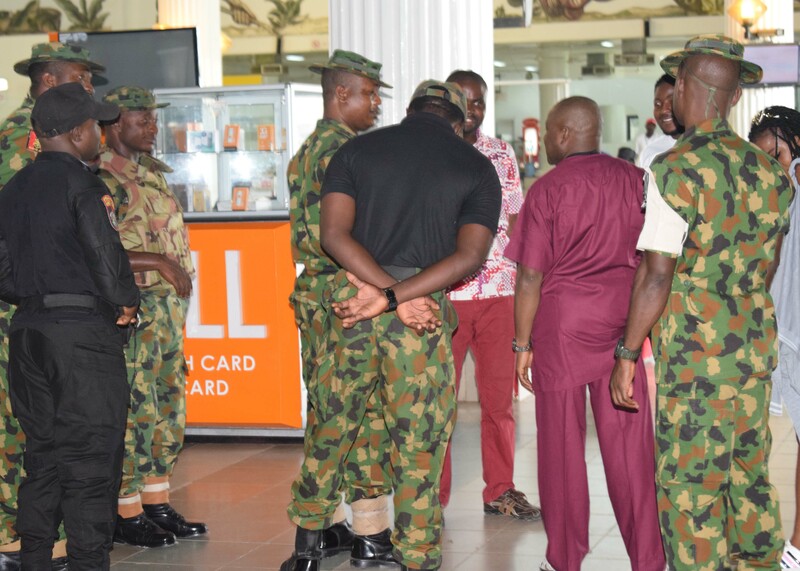 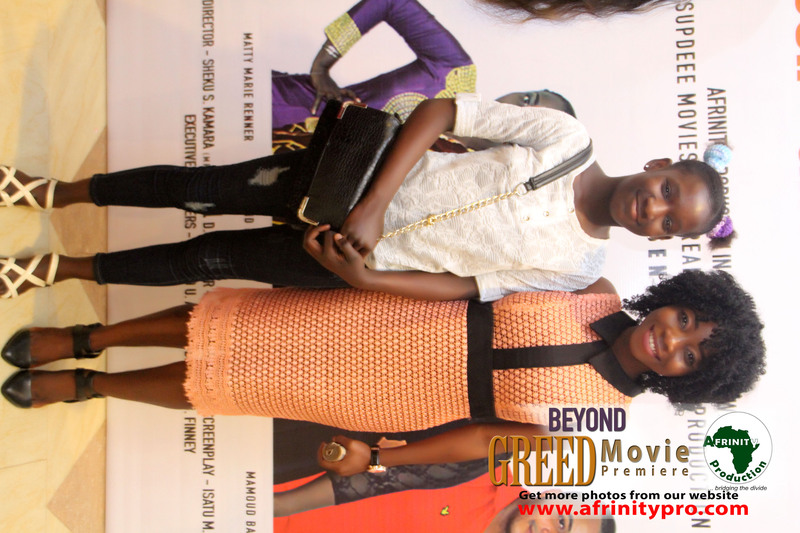 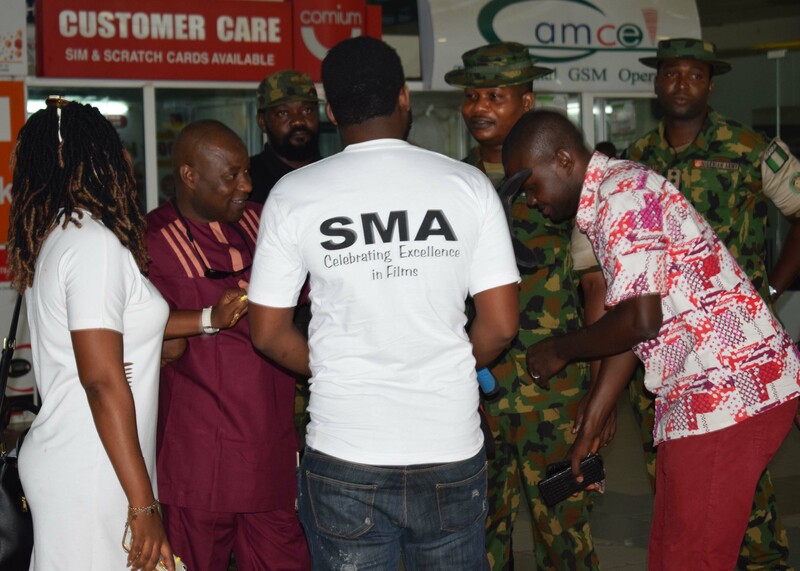 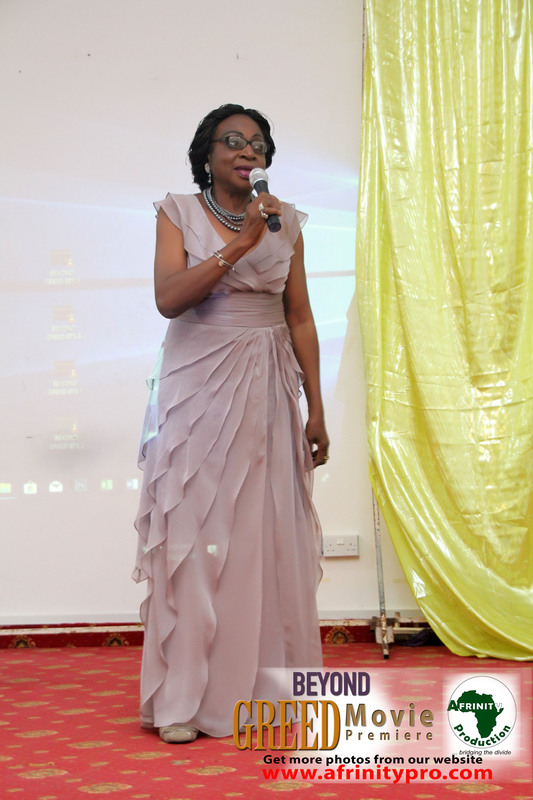 After the screening of the movie, both Hon. Halifa Sallah and Hon. 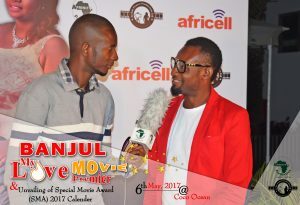 Sulayman Daramy made positive comments about the movie and opt that the team continues the great work. 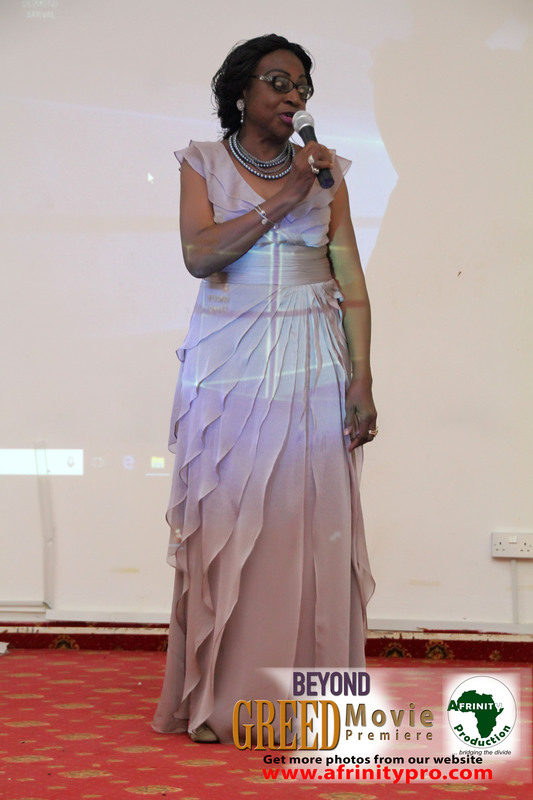 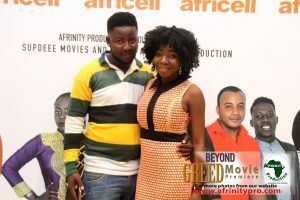 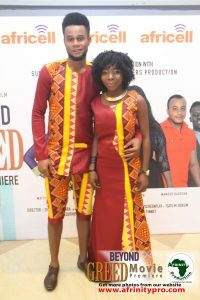 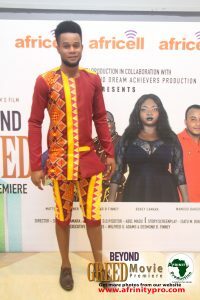 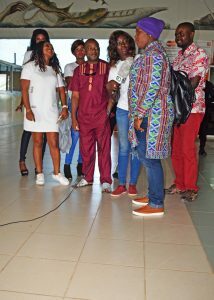 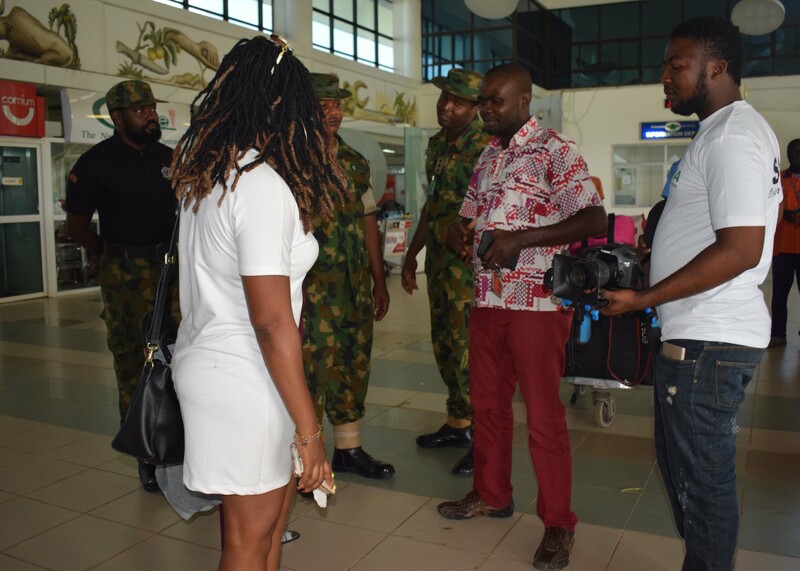 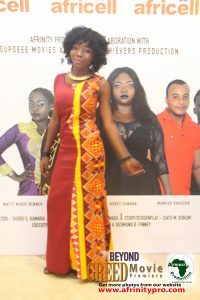 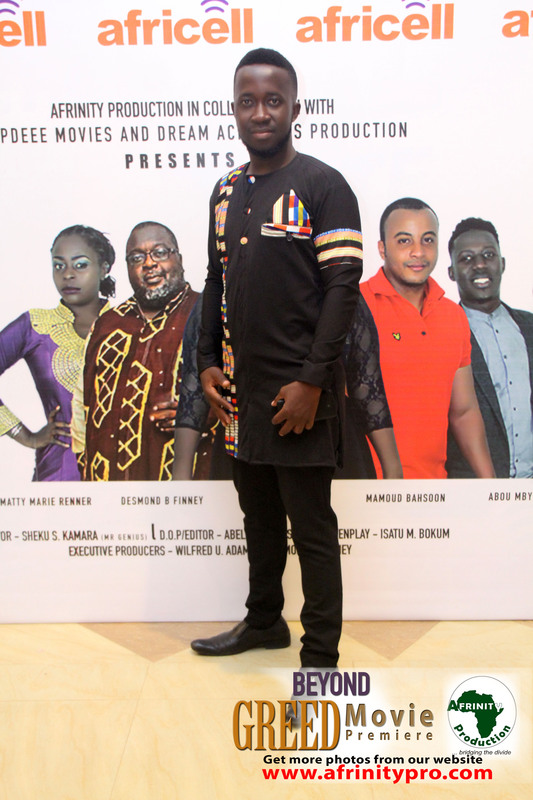 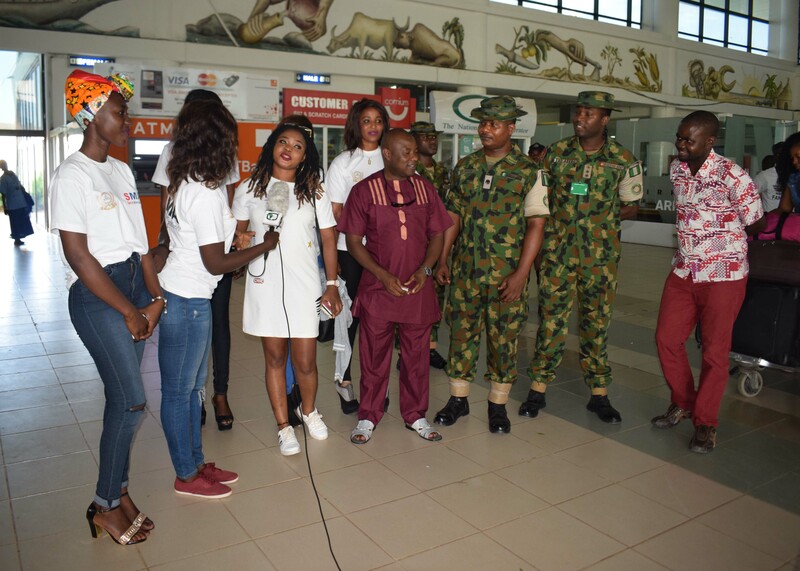 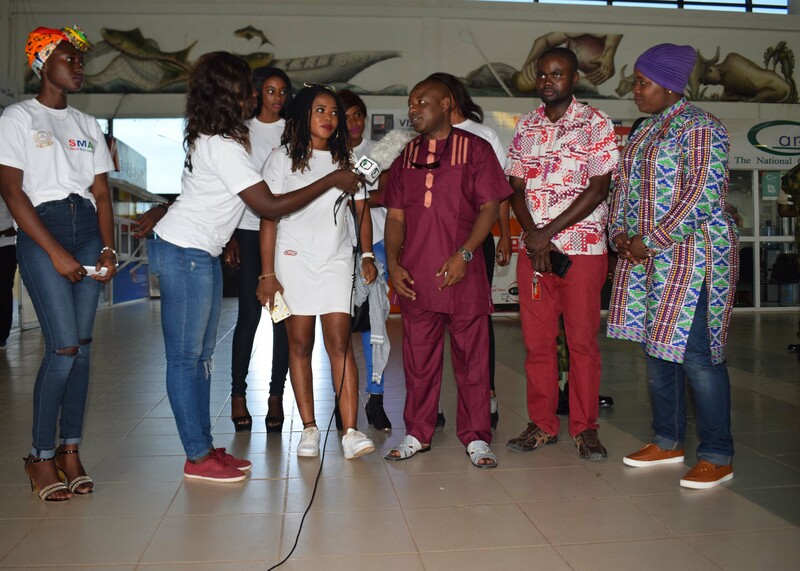 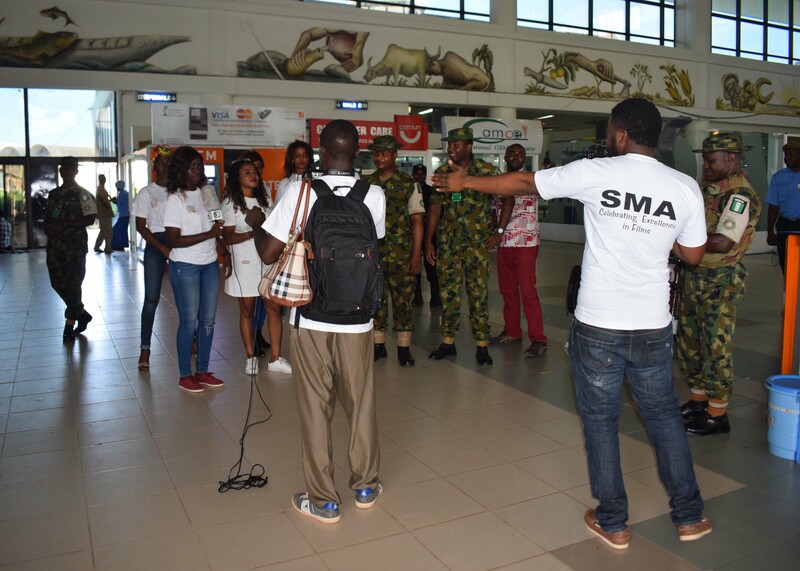 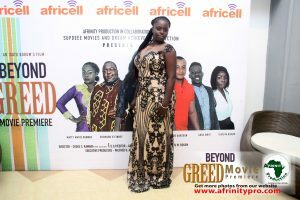 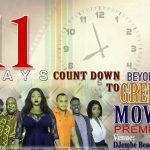 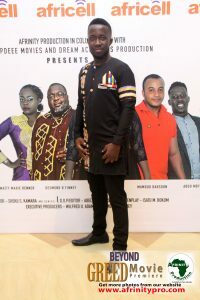 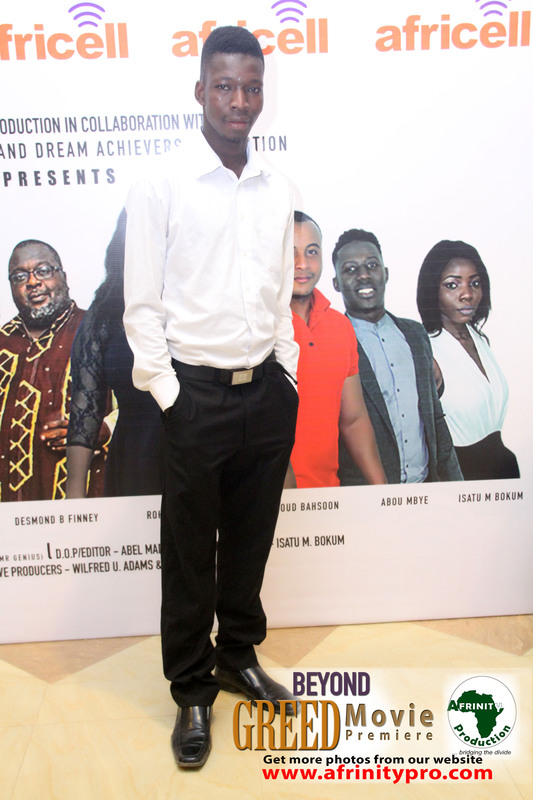 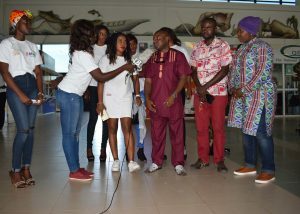 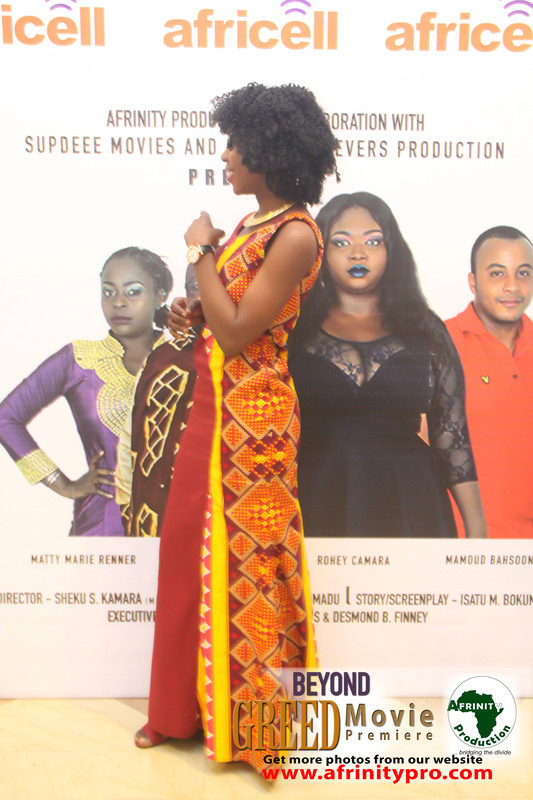 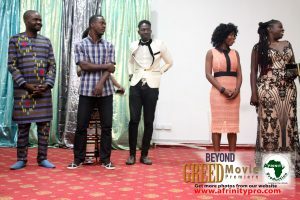 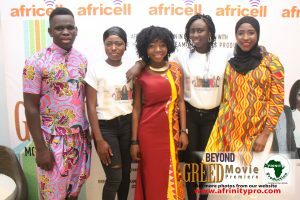 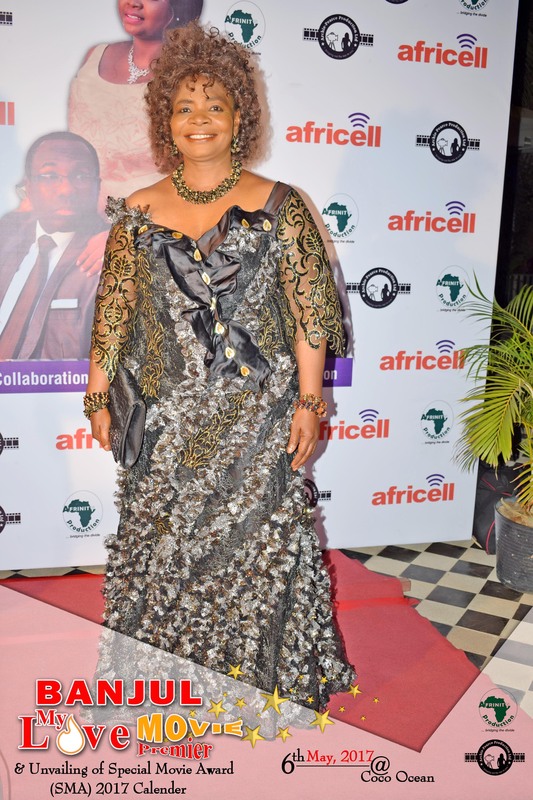 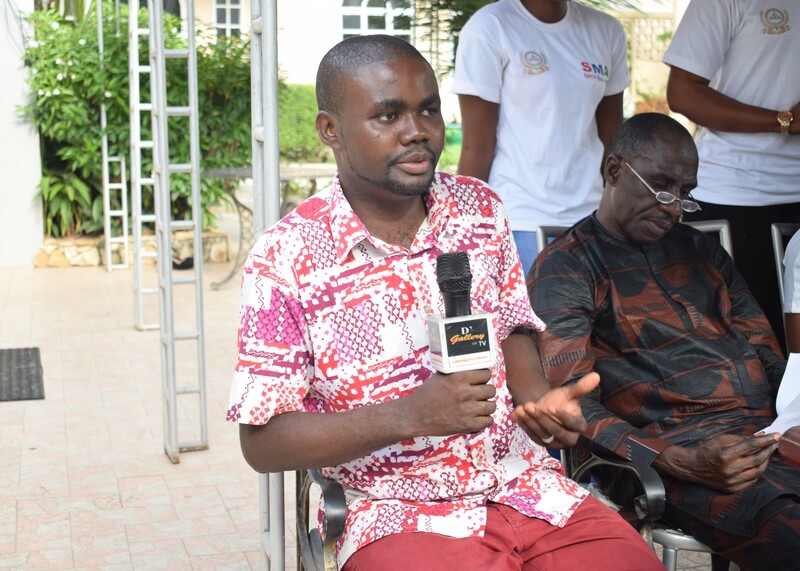 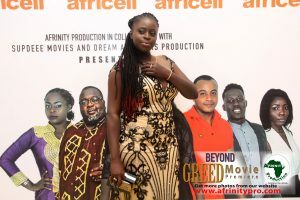 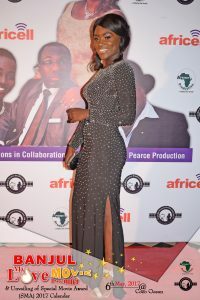 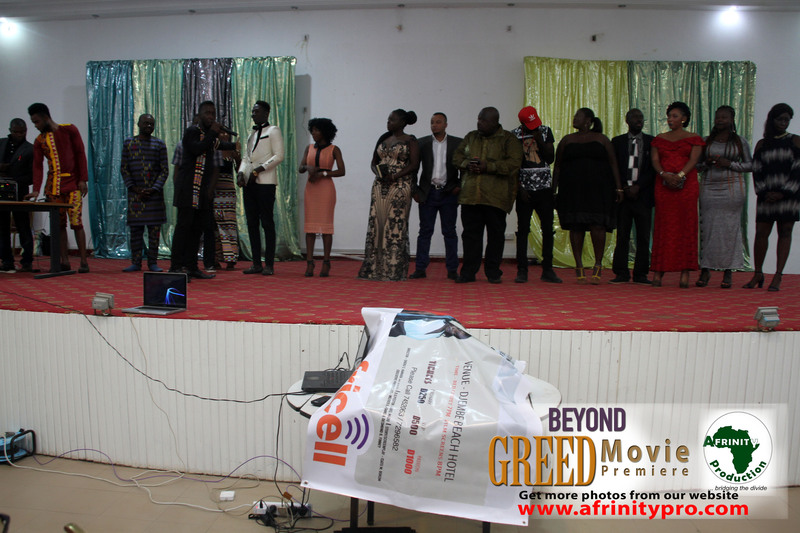 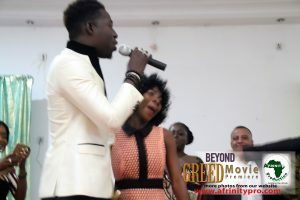 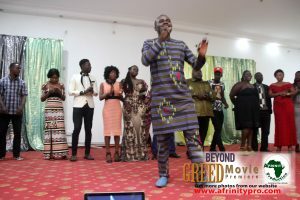 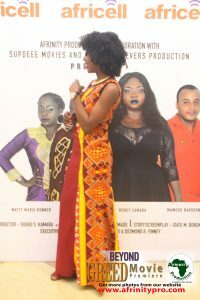 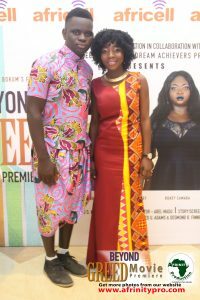 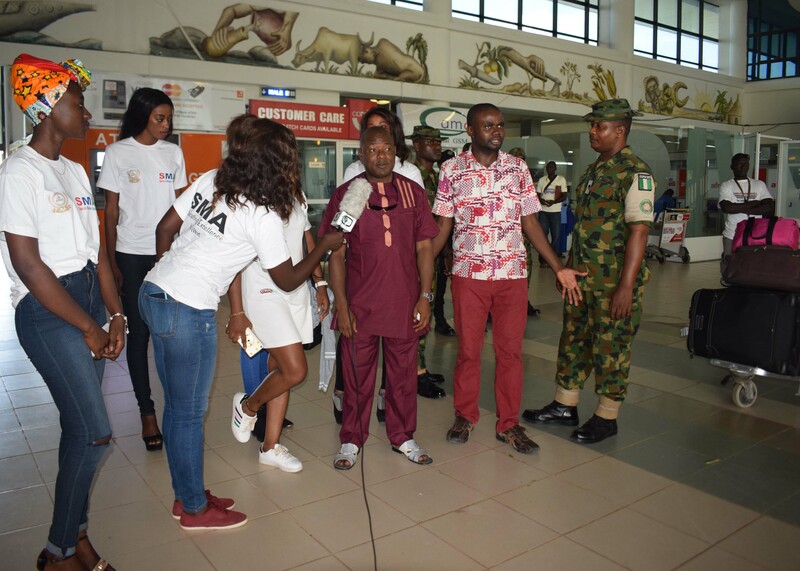 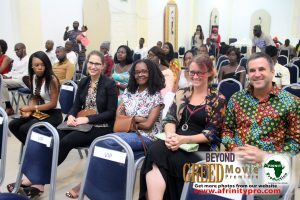 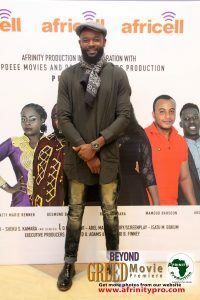 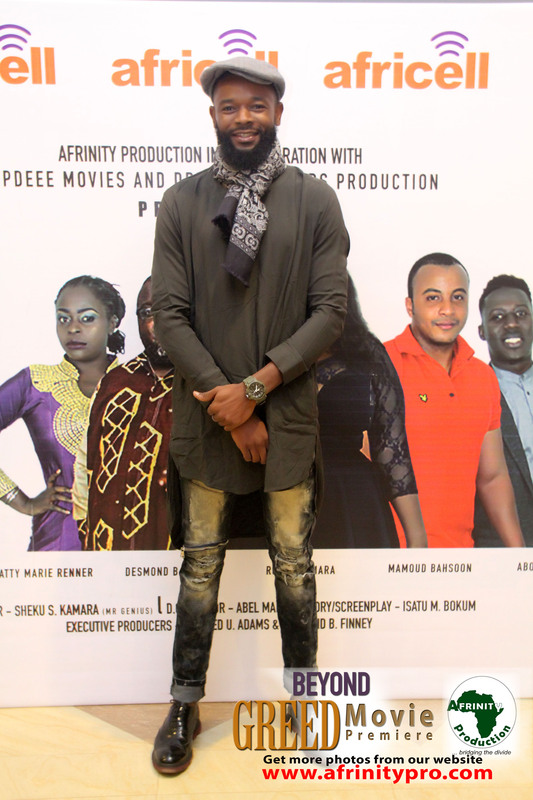 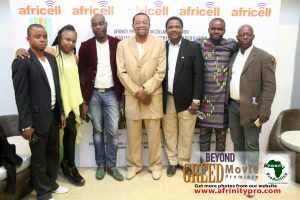 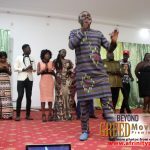 The program ended around 11pm wherein The Executive Producer of Banjul My Love, Mr. Wilfred Adams called on stage the entire cast and crew of the movie. 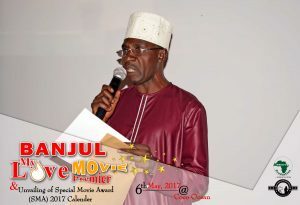 In his closing statement he thanked His Excellency President Adama Barrow and The Government of The Gambia and each and everyone who immensely contributed to the success of the event. 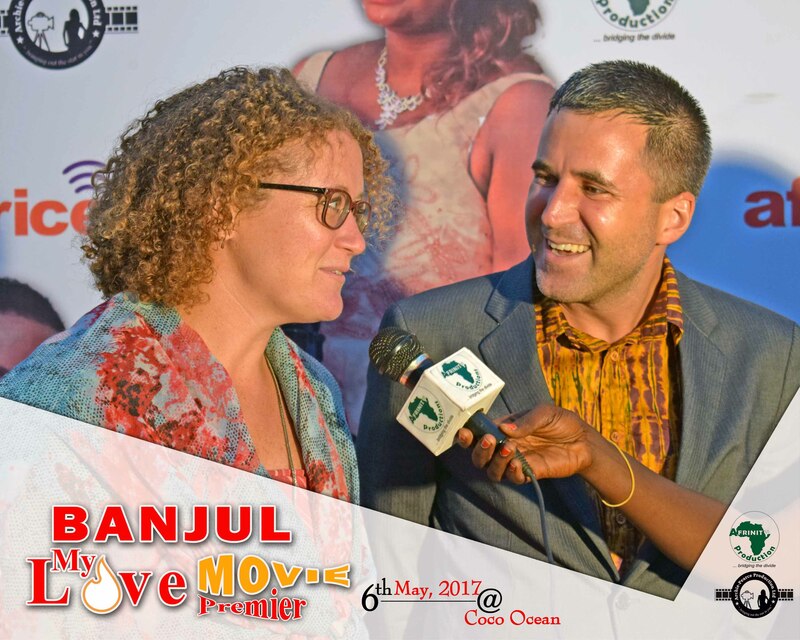 He gave special thanks to his Co Producer Collins Archie Pearce for coming all the way from the United Kingdom to grace the occasion.